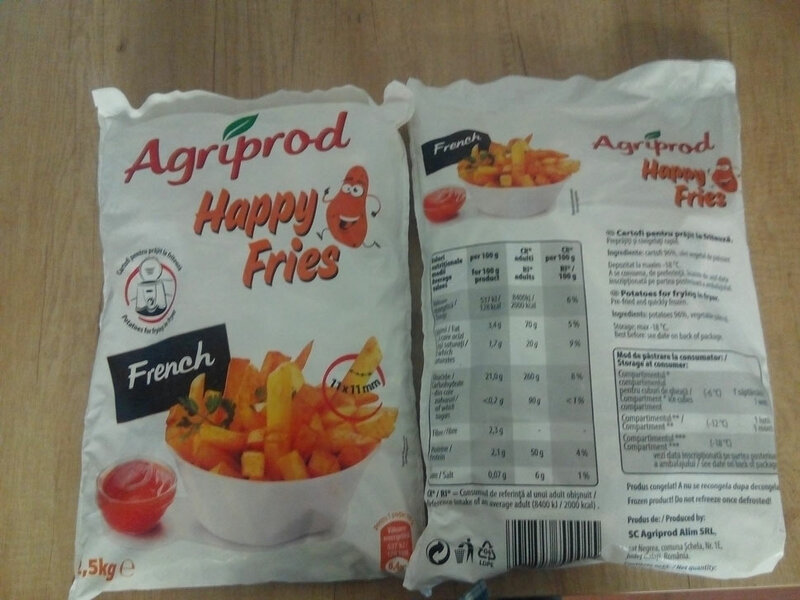 Agriprod was founded in 2015 by a family with a long lasting tradition of over 15 years in the food production sector. 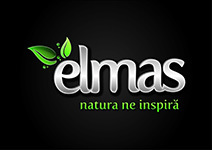 The processing plant wasequipped with brand new cutting edge technology and production machinery.Another advantage that sets us apart comes from the position of our production facility; this is located in Negrea, Romania between two vegetable basins which allow us to offer our customers a very diverse range of freshly harvested products. 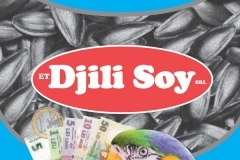 Moreover, due to the fact that on a 80km radius there are over 100 suppliers we strive to position ourselves as one of the best price/quality products provider. Nevertheless, our location has great connections to both roads and sea ports facilitating fast access to the EU, Eastern Europe and the Middle East. 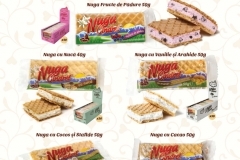 Address: SAT NEGREA 1 E COM. 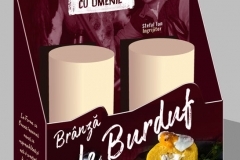 SCHELA judet GALATI. 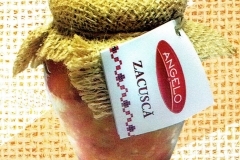 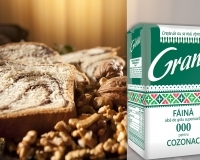 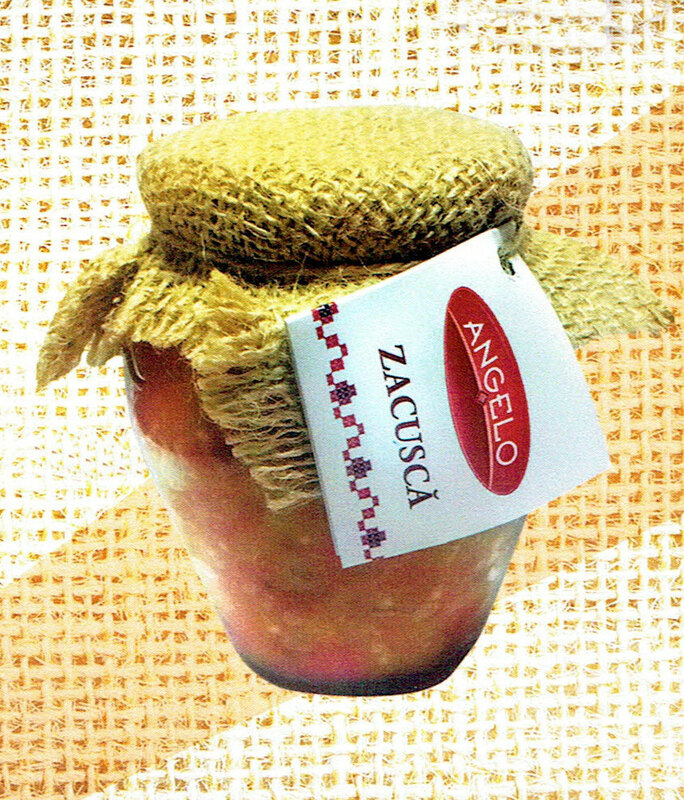 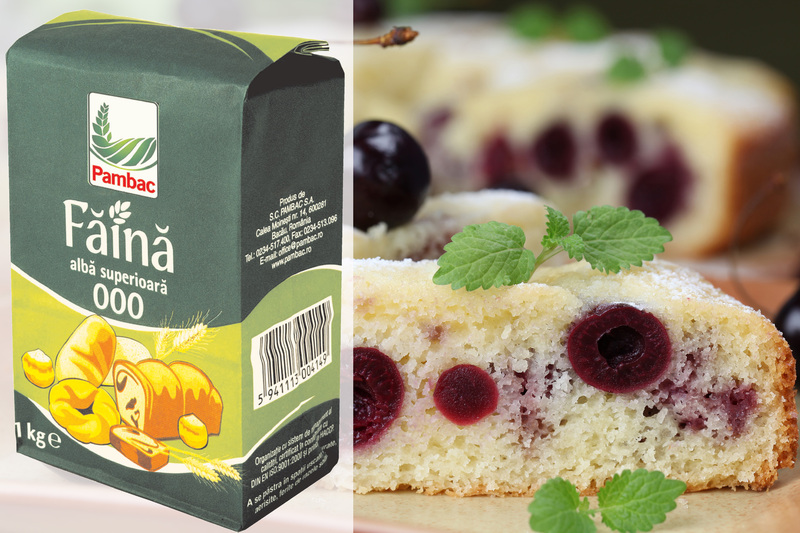 The story of AGROSEMCU began in 2012 when, by implementing the project “Establishing a Factory of Bread and Fresh Products”, it was built the most modern factory of its kind in Prahova county. 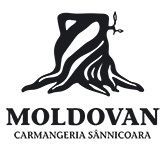 The project, worth € 4,671,177, was completed in early 2014. 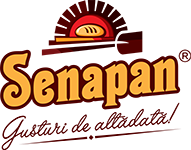 The first products were manufactured on January 21, 2014 and since then our portfolio has been expanded with a wide range of traditional products, offering our customers the “taste of the past” under SENAPAN brand. 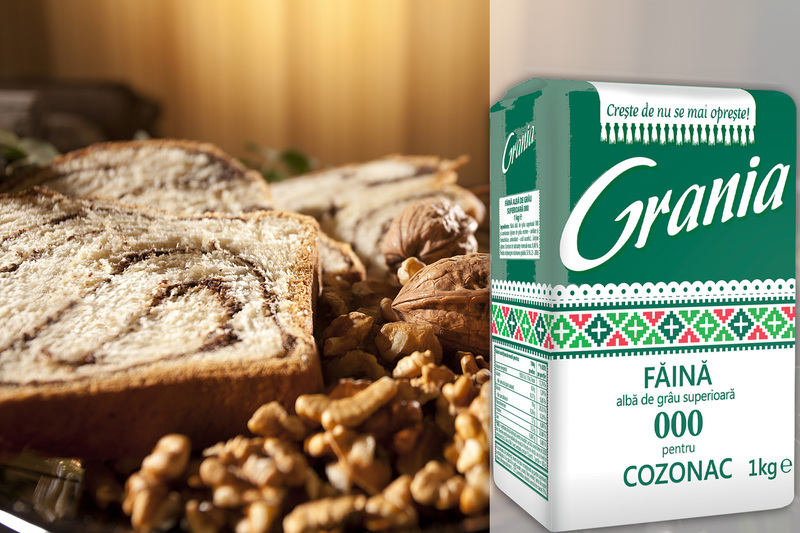 – The fully automated “Tunnel” bread production line has a production capacity of 30 tons of finished product in 24 hours. 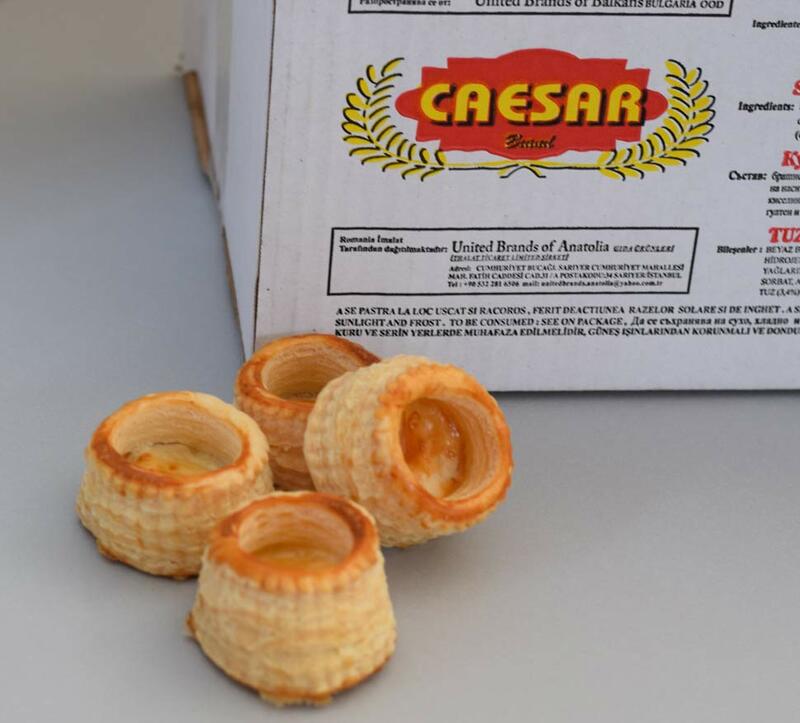 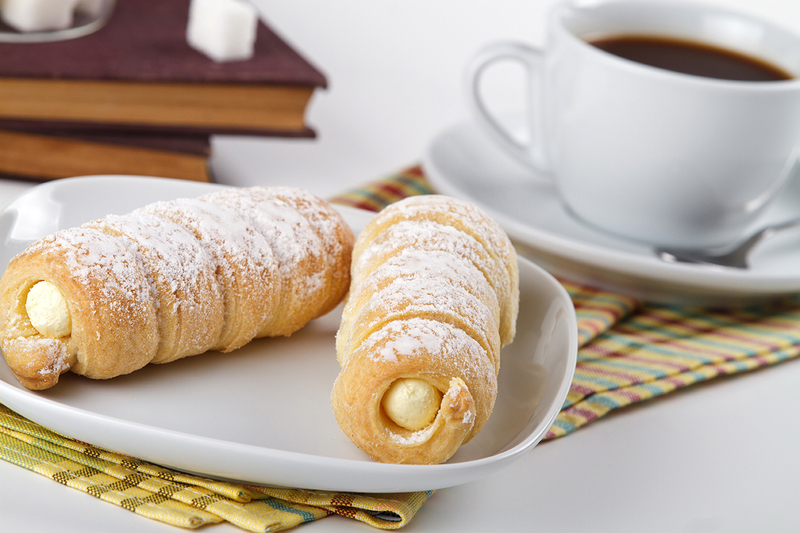 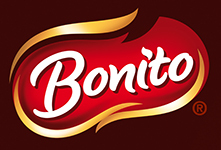 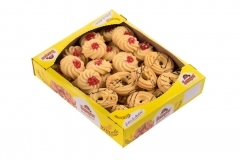 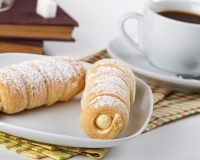 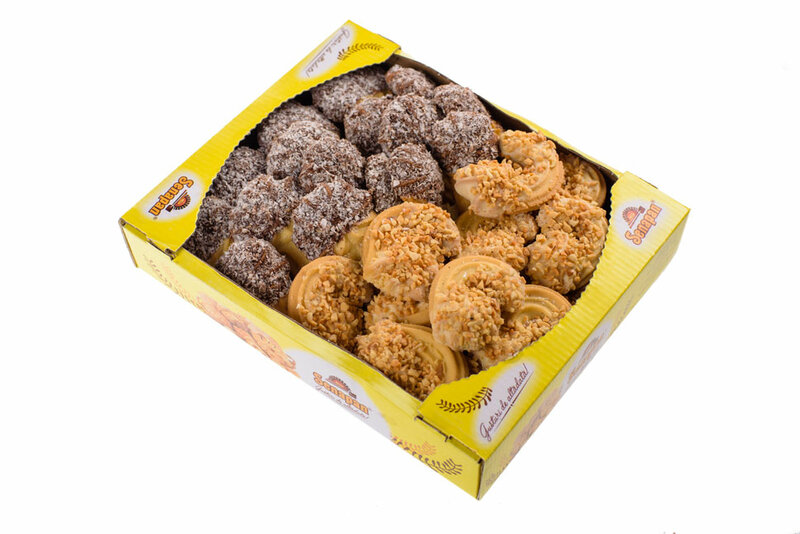 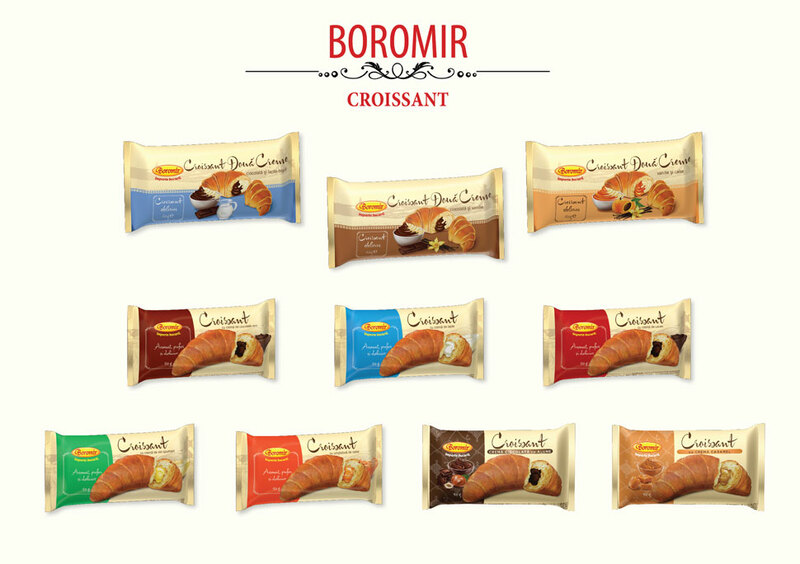 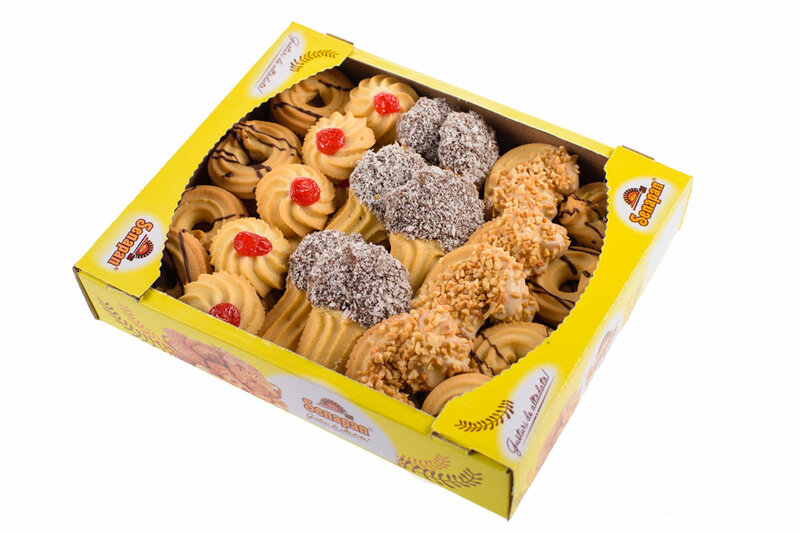 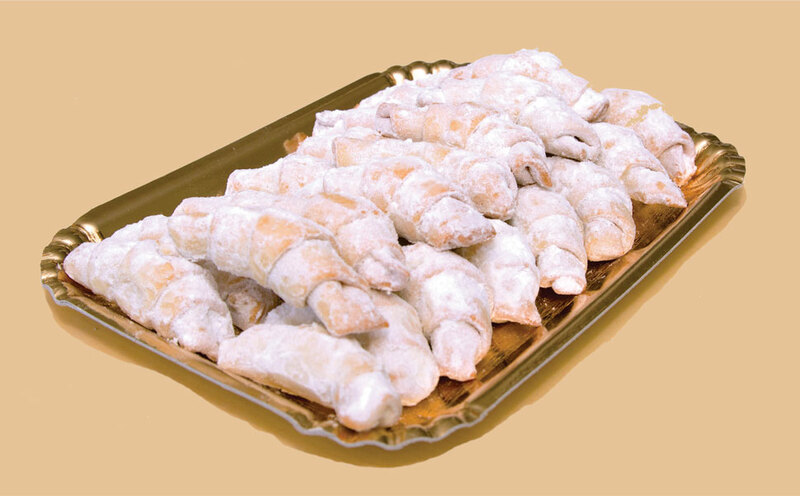 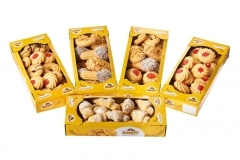 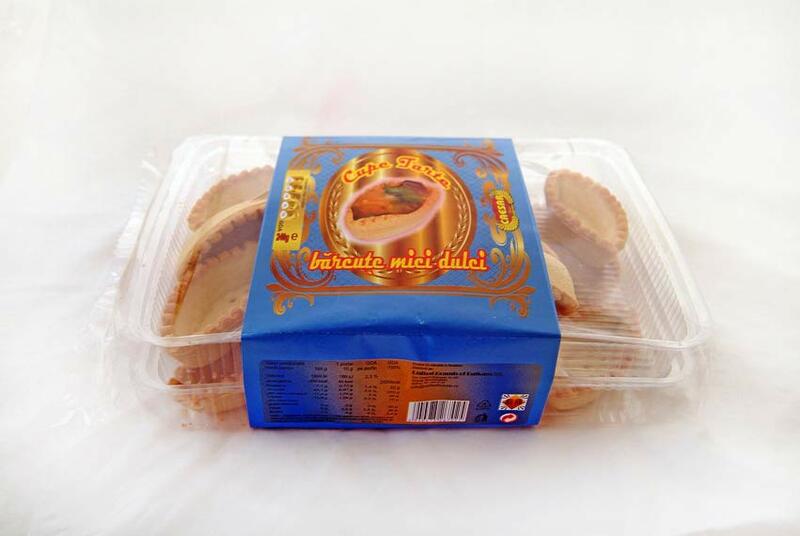 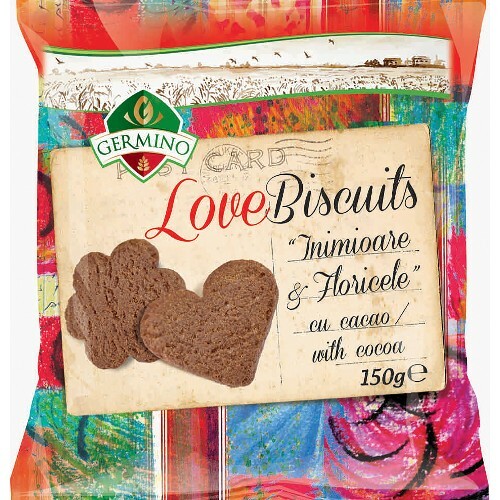 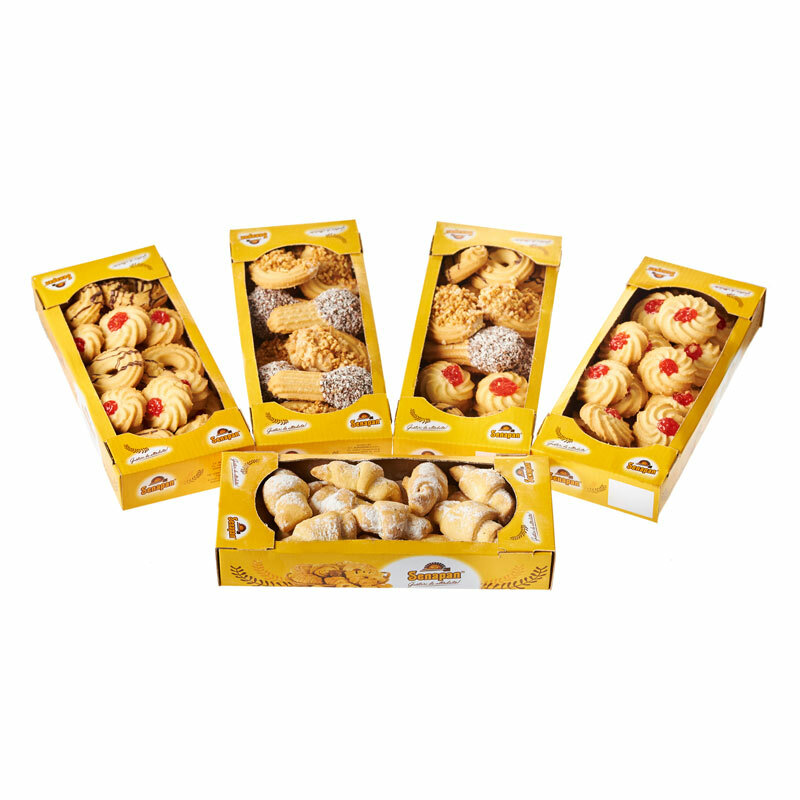 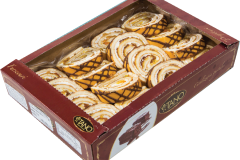 – The production line of cookies and cornets has a production capacity of 400 kg of finished product in 24 hours. 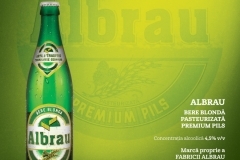 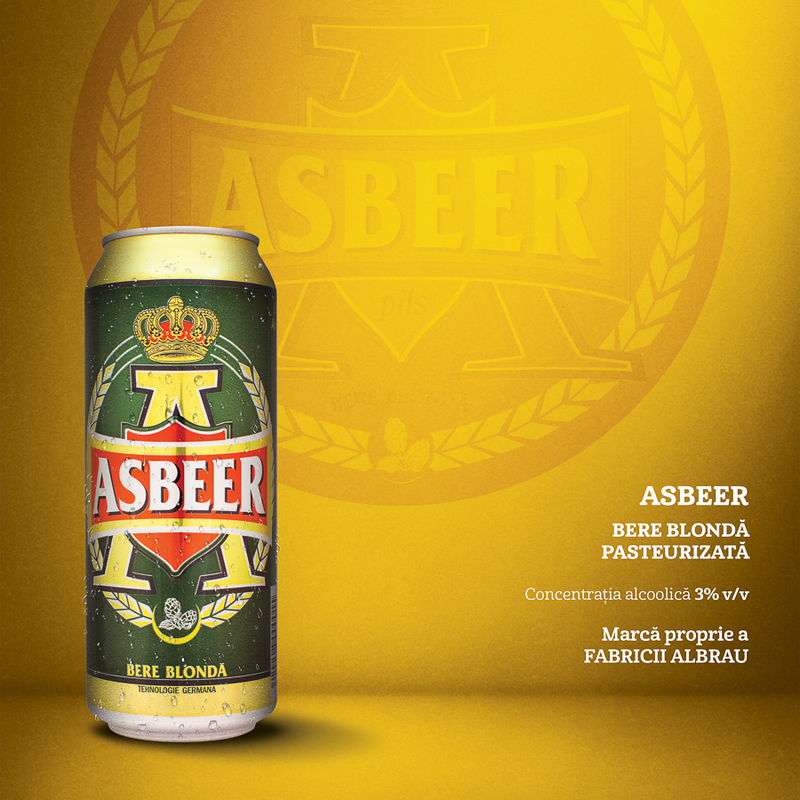 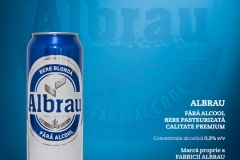 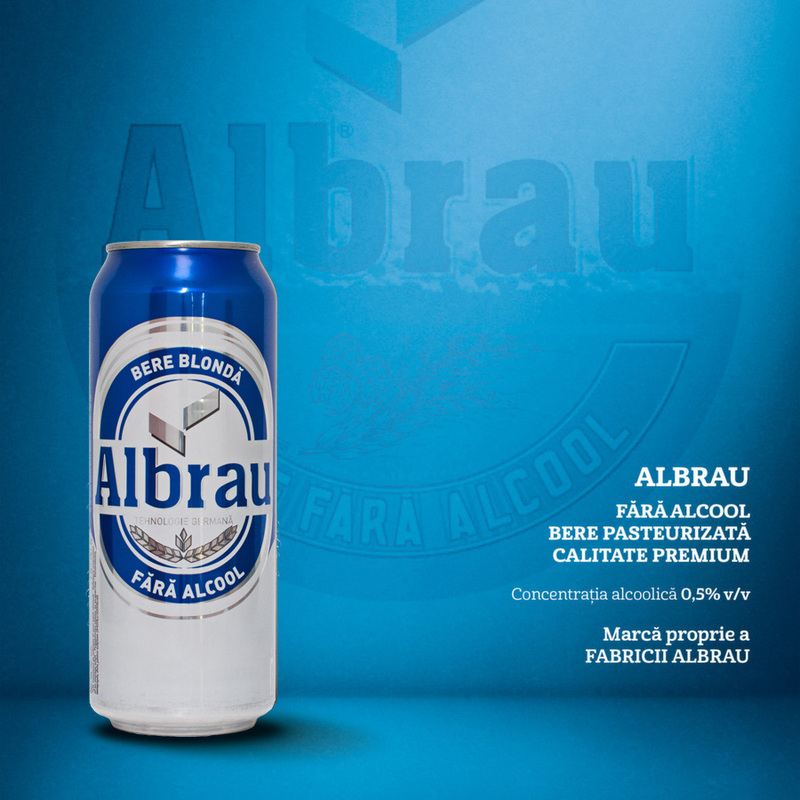 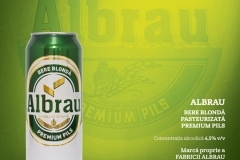 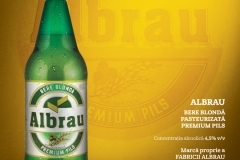 SC ALBRAU PROD SA is a pasteurized beer producer, packed at N.R.W. 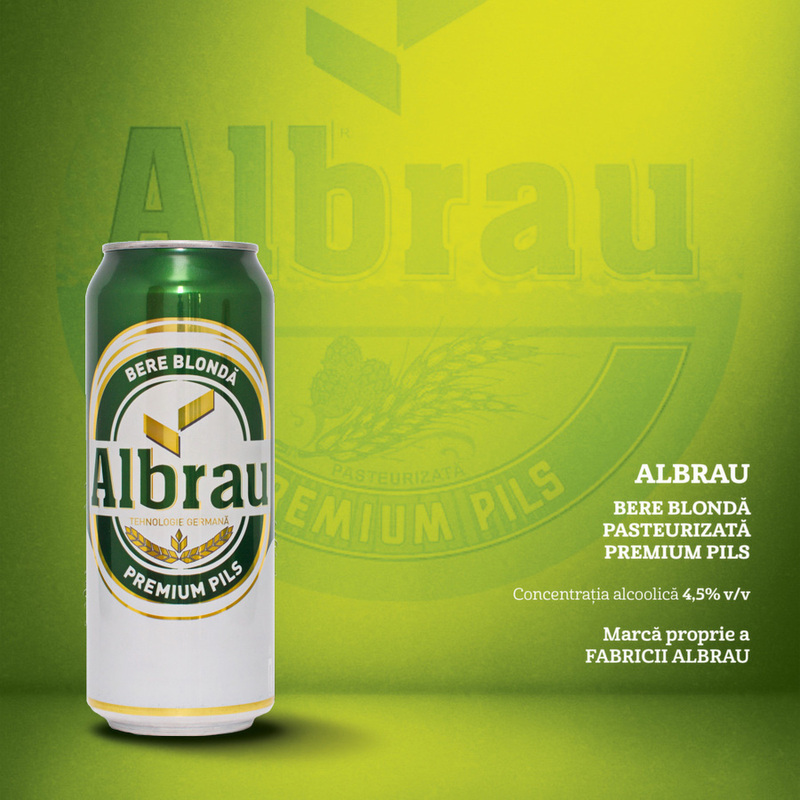 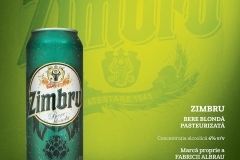 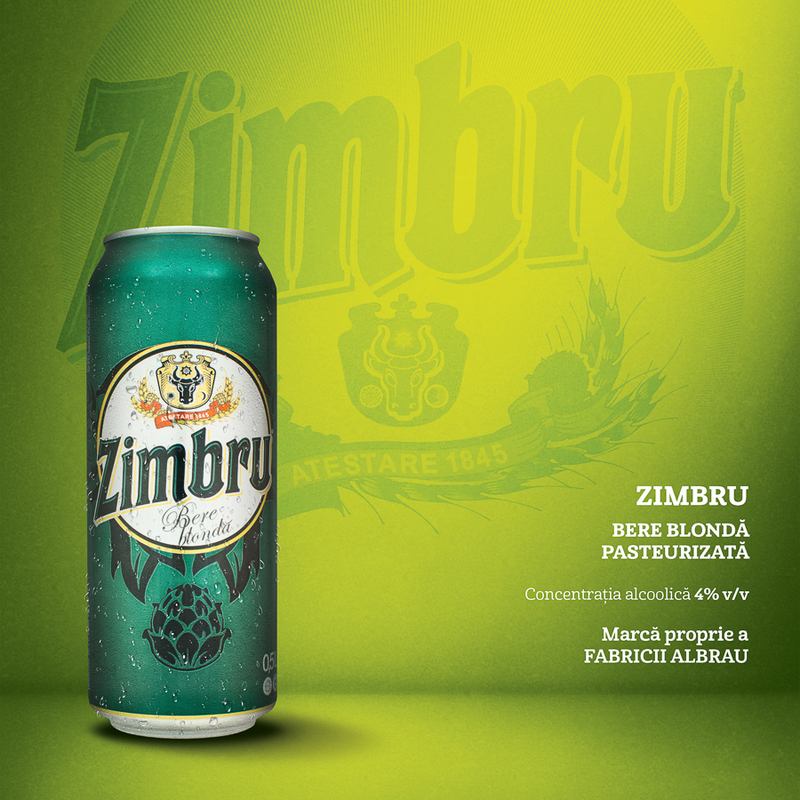 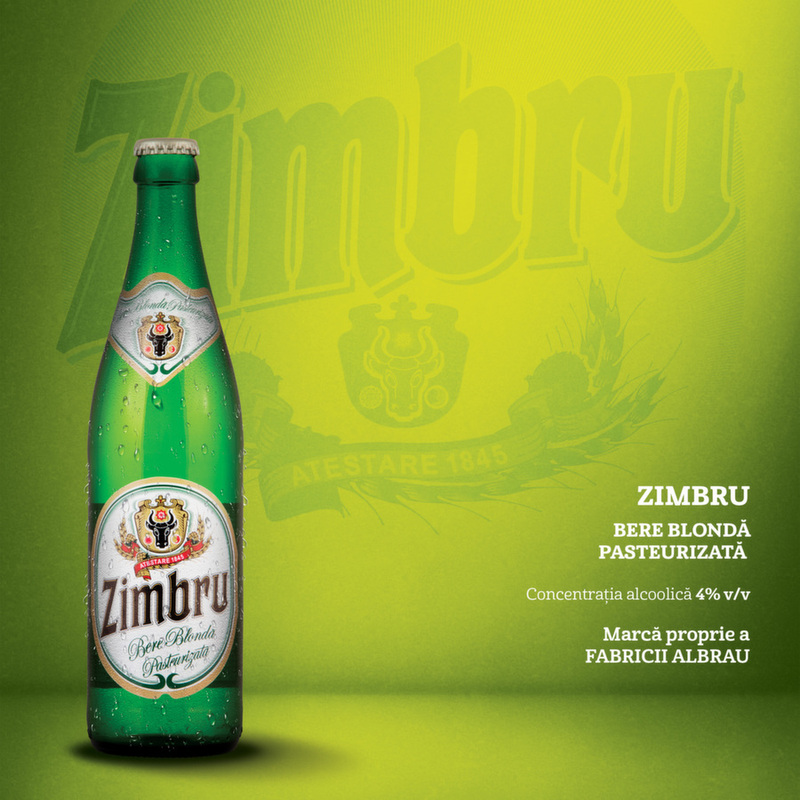 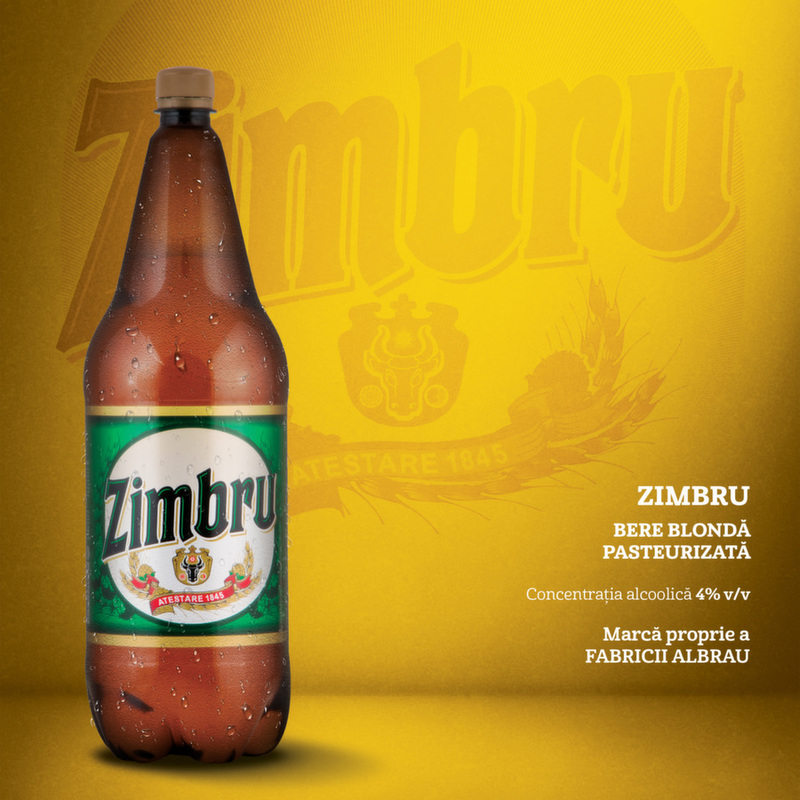 bottle 0,5 liters ; can of 0,5 l; Pet 2 liters, barrel KEG of 30 and 50 liters and also private labels. 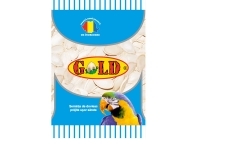 The products delivery is done by our distributors as well as by the key accounts network such as REWE, BILLA, METRO, DELHAIZE GROUP, PROFI ROM. 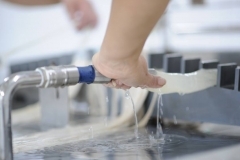 – occupational health and safety management system SR OHSAS 18001:2008. 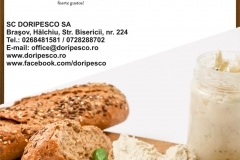 Address: Str. 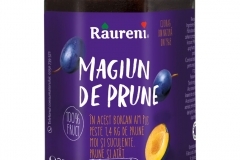 Barajului, Nr. 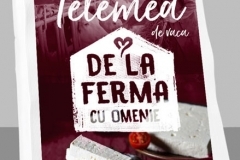 52, Rm Valcea.Judet Valcea. 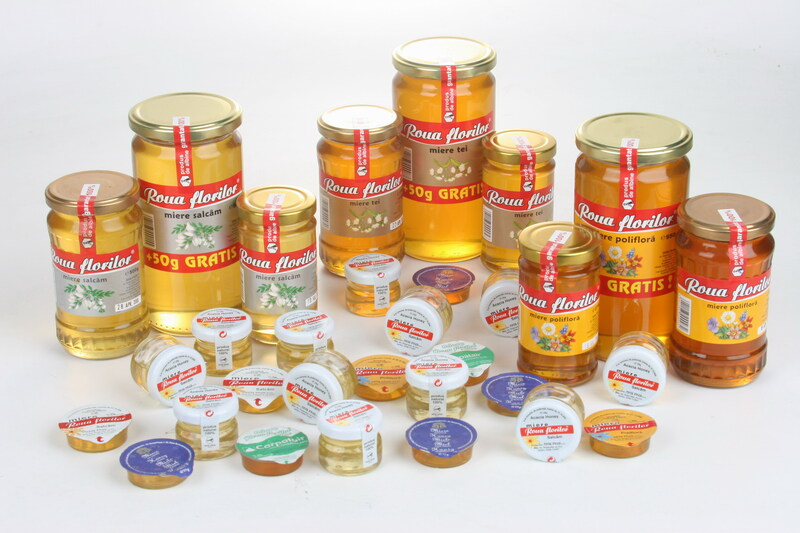 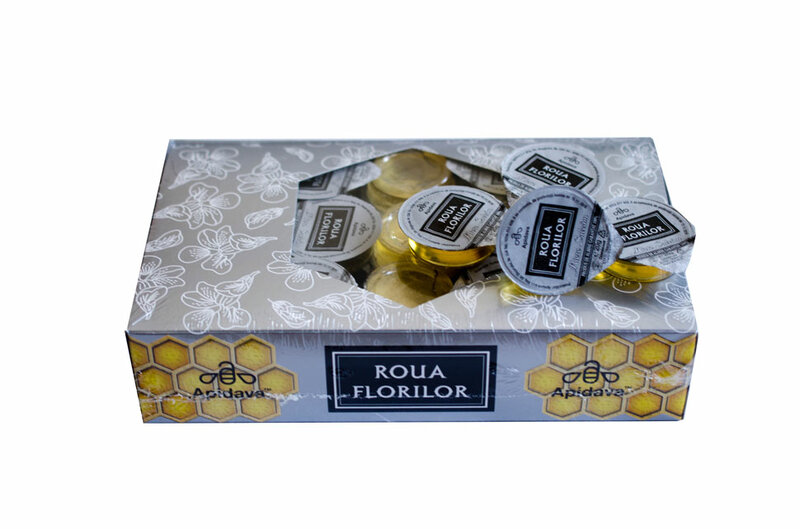 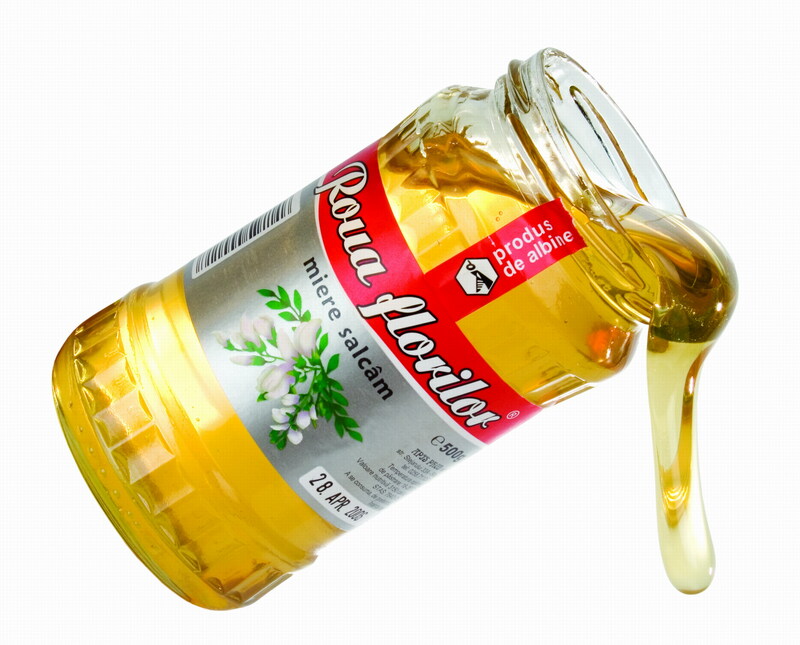 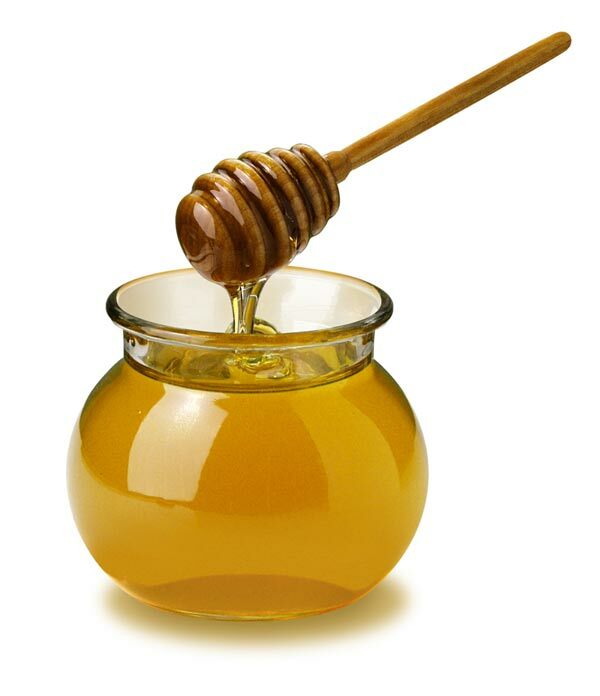 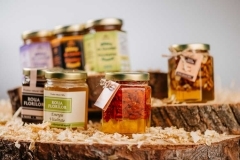 We process 2.000tones of honey /year, from which 200 tones of BIO HONEY.Our supplier honey database is more than 10.000 beekeepers, from all over ROMANIA. 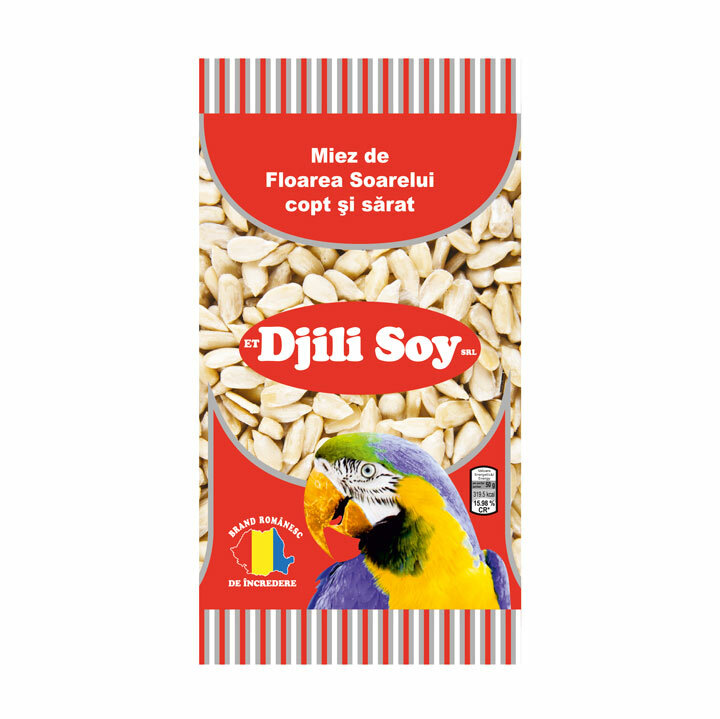 The head office and the warehouse are located in Tîrgu- Mureş, a city placed in central Transylvania, thus facilitating better logistics and supply of the central purchasing point. 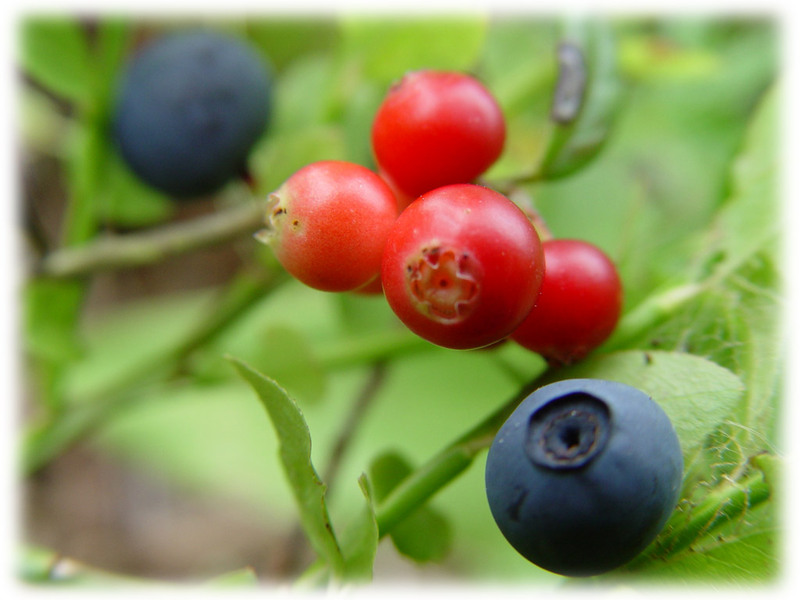 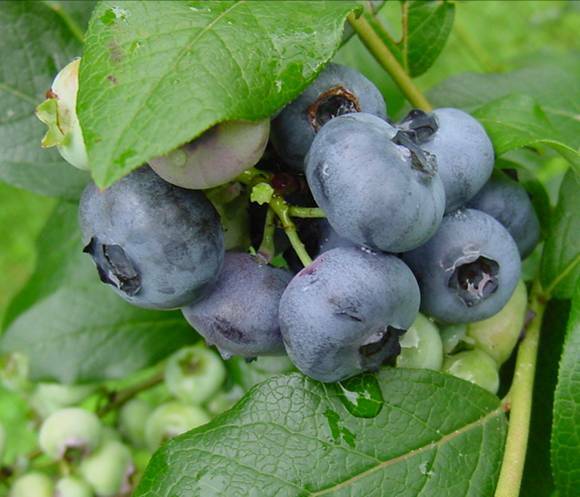 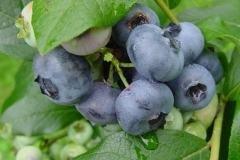 Our Organic certification program vises aprox. 120 beekeepers across the country, which means that the organic honey of over 15.000 bee colonies can be found on the European market. 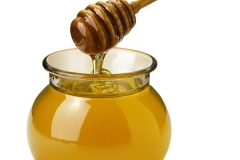 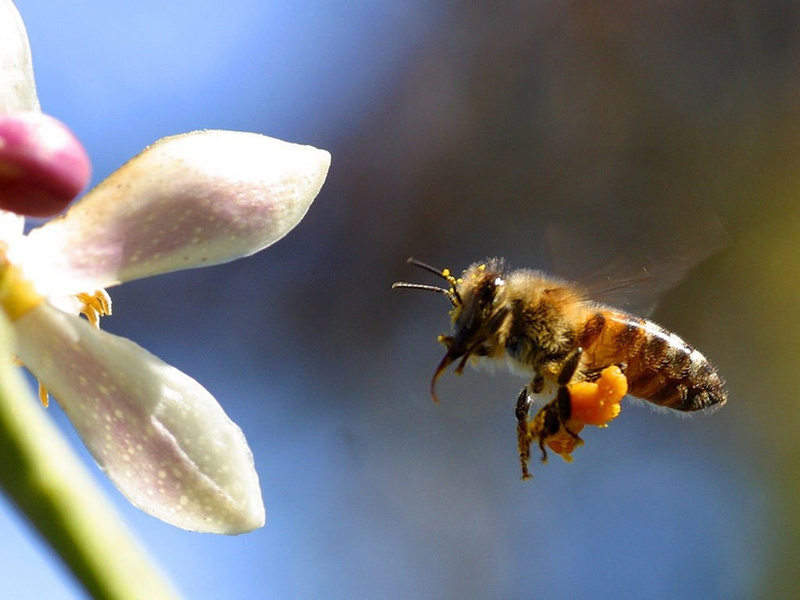 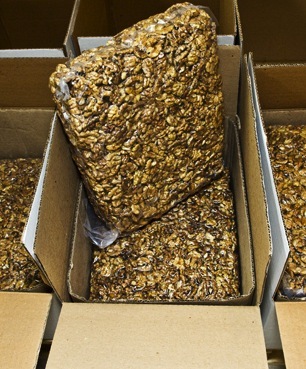 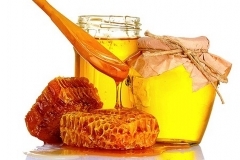 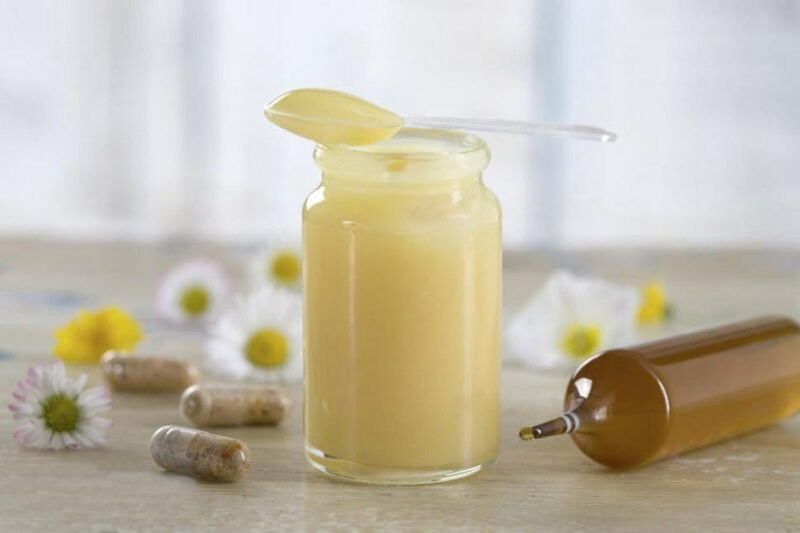 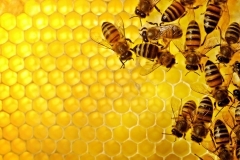 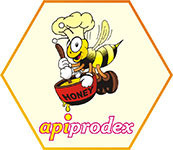 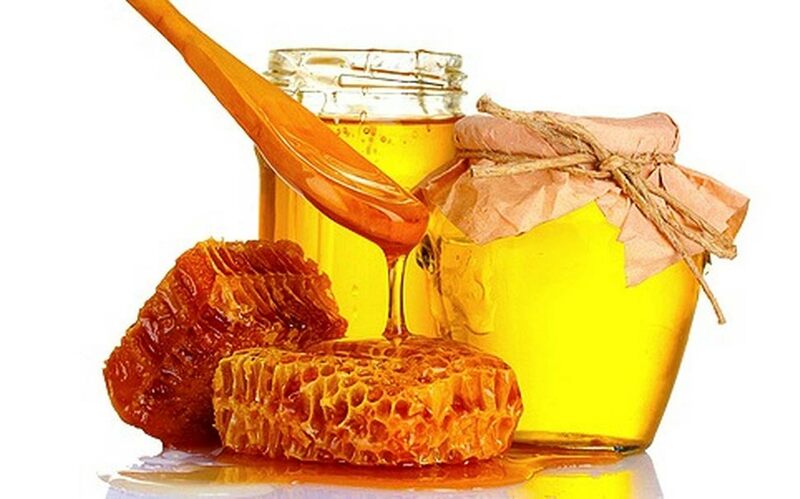 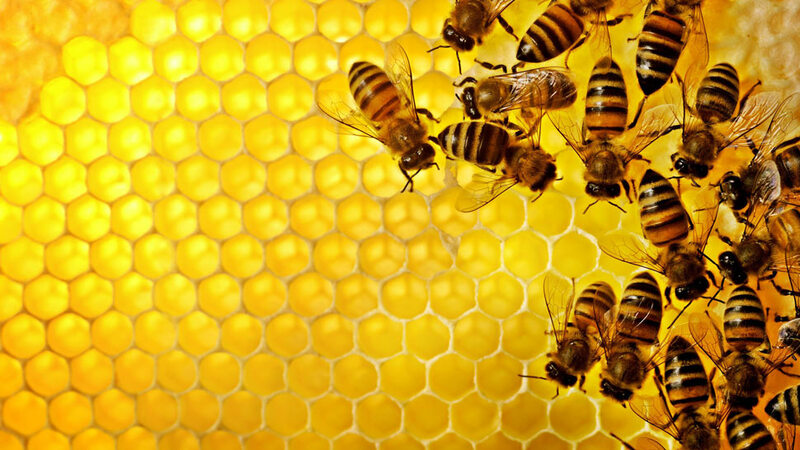 The range of products that Apiprodex company can offer includes organic honey in bulk, in drums of 300 kg, of the following types: acacia, linden, poliflora and manna, but also some other apiary products, such as pollen and propolis. 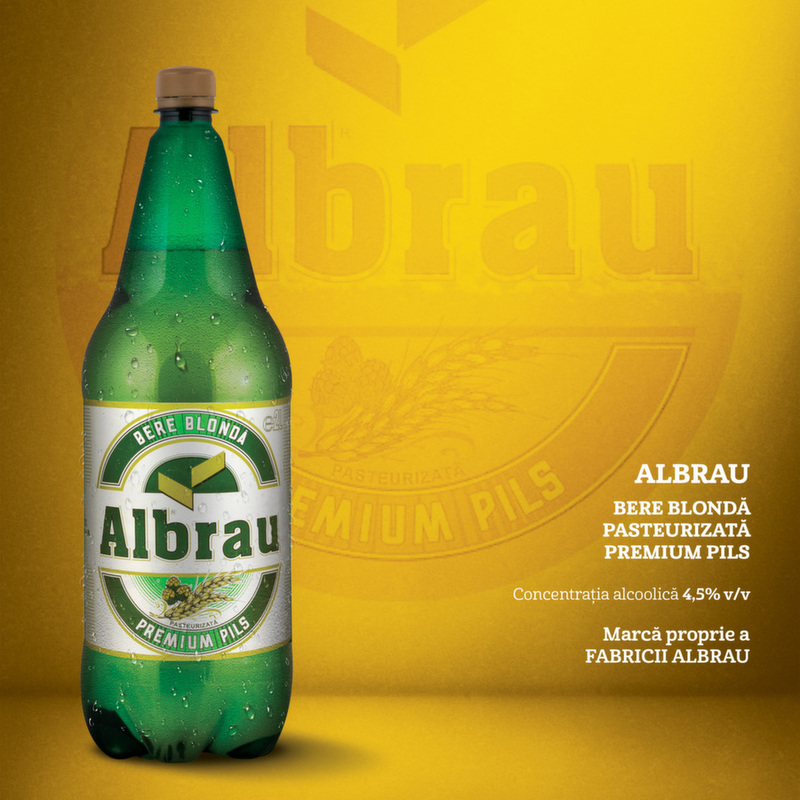 Address: TARGU MURES, str Lucernei, nr 2, Jud Mures. 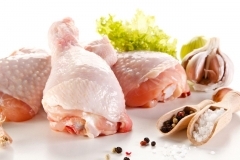 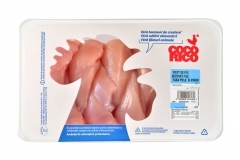 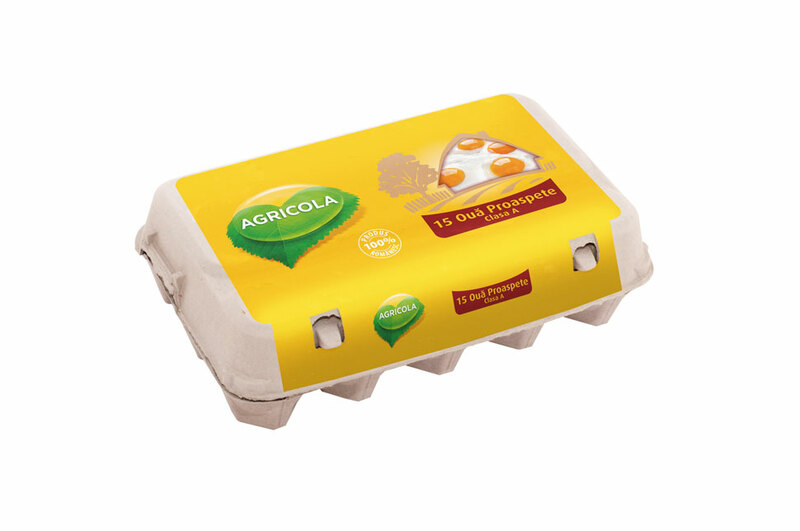 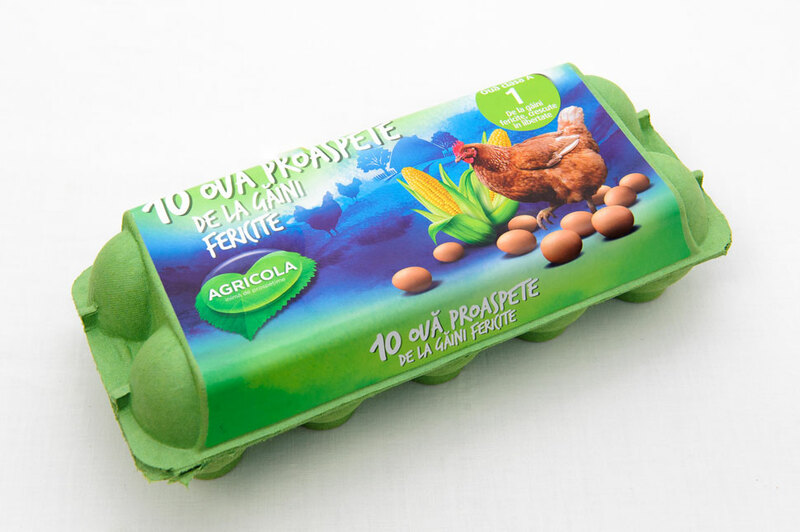 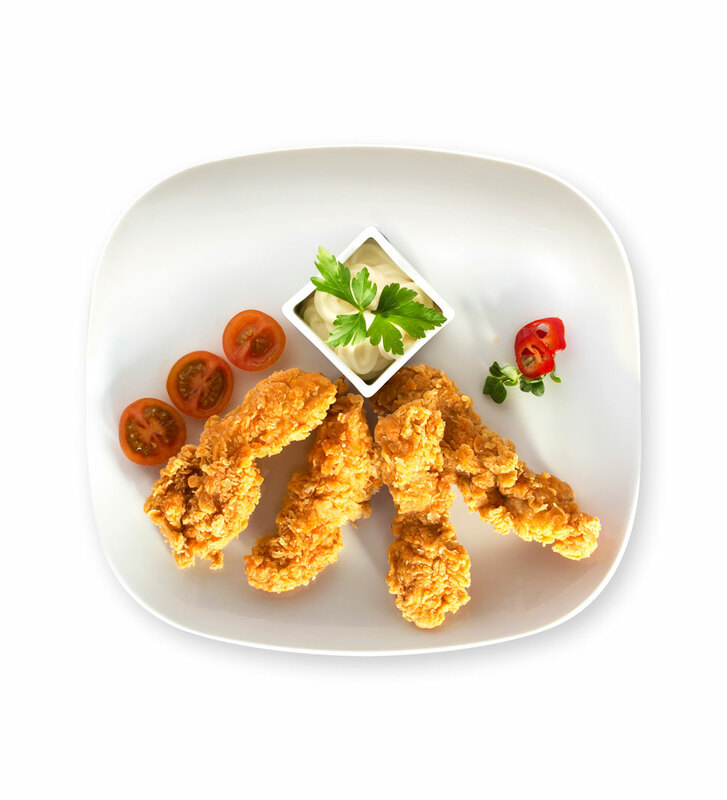 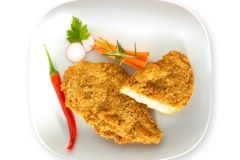 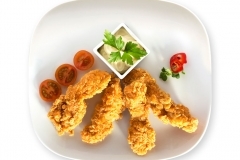 Aaylex Group, the holder of high quality CocoRico chicken meat brand, with over 25 years of experience, successfully integrates the system “from egg to plate”. 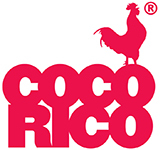 We hold numerous certificates confirming the quality of CocoRico products: BRC AA grade, ISO, IFS High Level, Halal, or special SGS certification for the good practices of the integrated system management. Under the strict attention of our nutrition, health and growth specialists, broilers grow in large, clean and ventilated spaces. 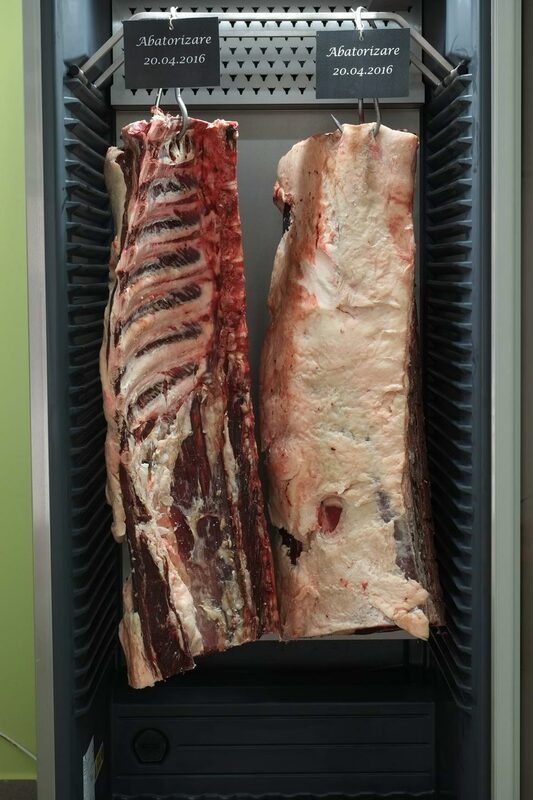 Broiler farms are equipped with the latest technology; its parameters of atmosphere indoors are automatically controlled. Broilers move freely, breathe fresh air, eat and drink high quality water unrestricted.The strictly observed biosecurity program includes a number of methods and means which aims the breeding of the healthiest, cleanest chickens; their meat contains special nutrients.From the moment they are hatched, the chickens are raised on a diet of 100% herbal ingredients, in a stress free environment. 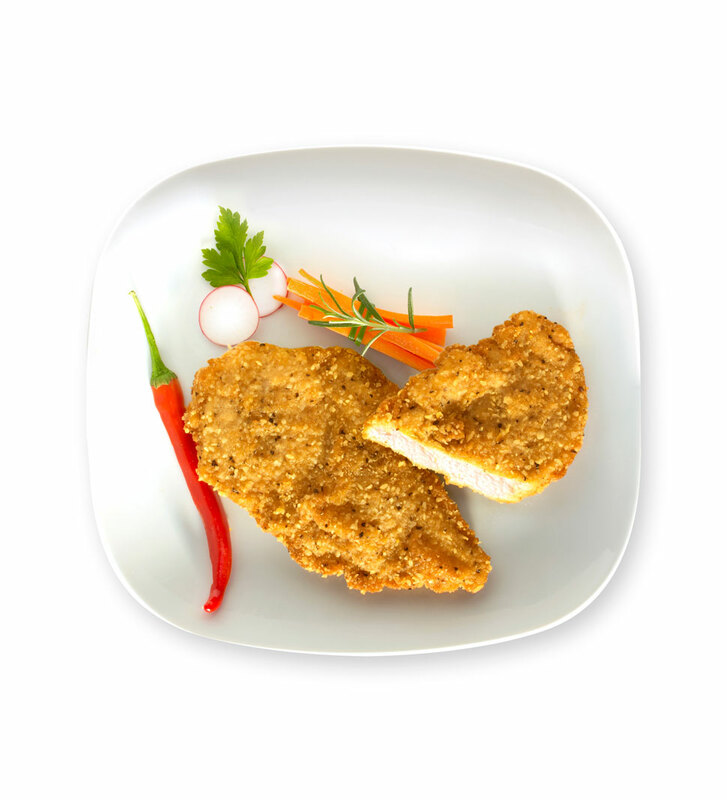 The perfect balance between experience of more than 25 years, and innovation and high technology, together with the dedication of more than 2000 employees, makes CocoRico chicken the healthiest and tastiest choice for all ages. 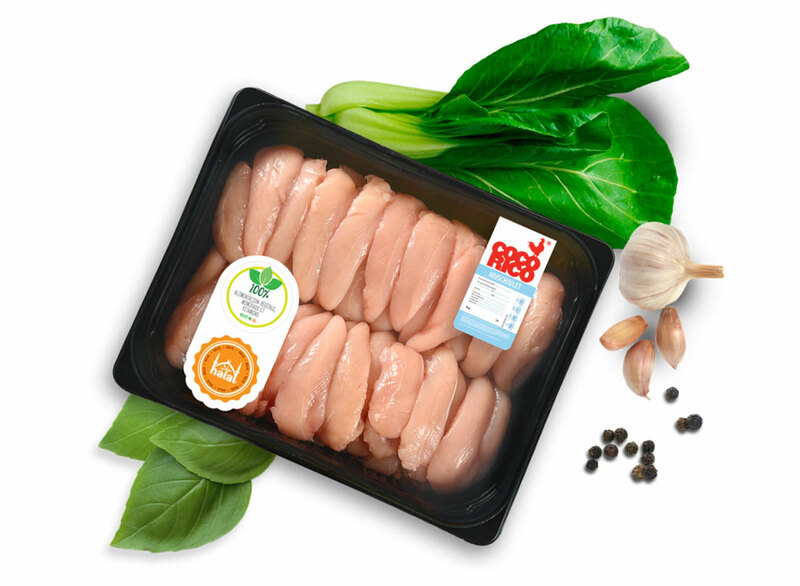 The implementation of the integrated Quality, Food Safety and Environment Management System, which applies to all processes performed within the company, seeks to continuously improve efficiency and to guarantee that the company will deliver products which are safe for human consumption. 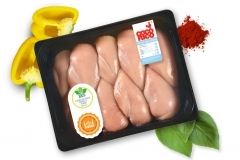 We make sure that we gain our customer’s CONFIDENCE so that they can be certain that our company will consistently deliver food products which are safe for them to consume. 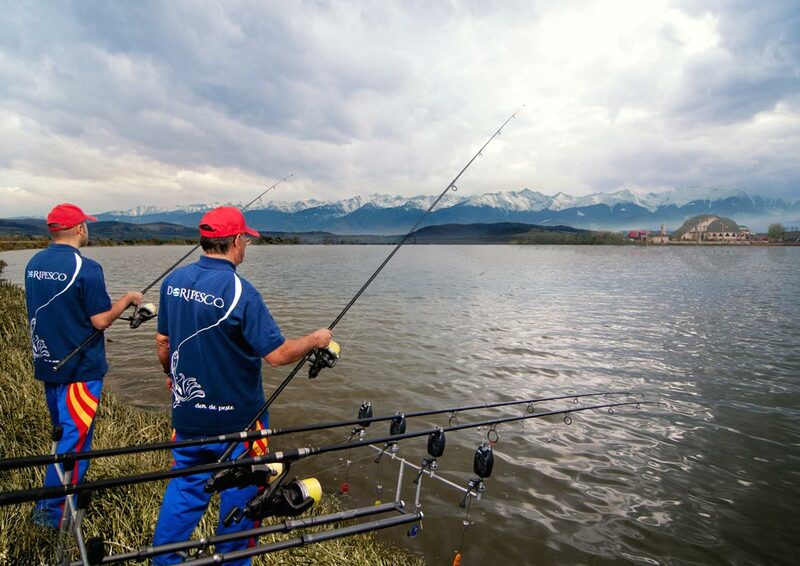 Address:Buzau, DN 2B, km.9 + 270 – Km.9 +527 Judet Buzau. 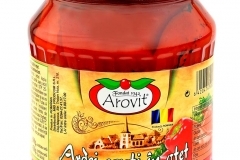 Trading company AVI-GIIS limited liability company, with registered office in commune Mihaesti, village Stuparei, county Valcea (10 km from the municipality Ramnicu Valcea on the national road that connects Sibiu to Craiova) Region Oltenia “from under the mountains”, Romania. In the specific activity for the production of meat preparations, cutting, packaging and retail outlet we benefit from our own authorized (L14/2014) factories laboratory within the company and from well trained staff and experienced in the field. 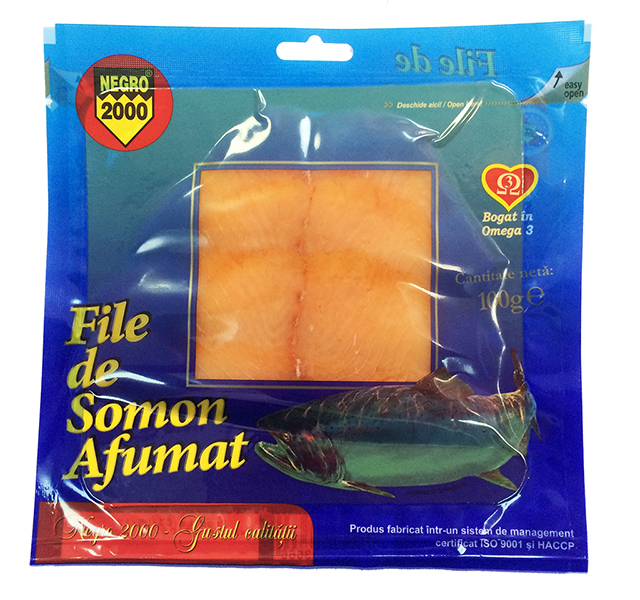 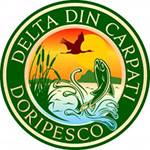 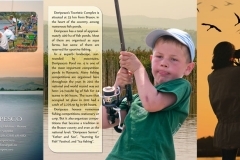 Doripesco SA – a fish farm and factory from Brasov – Romania which specializes mainly in carp and trout production and processing. 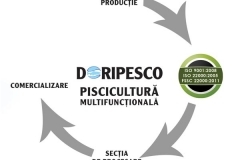 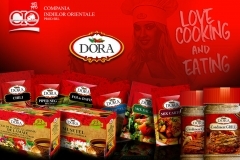 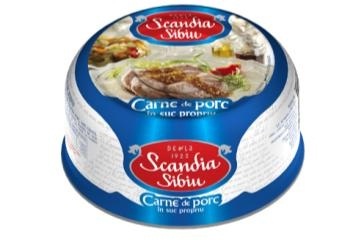 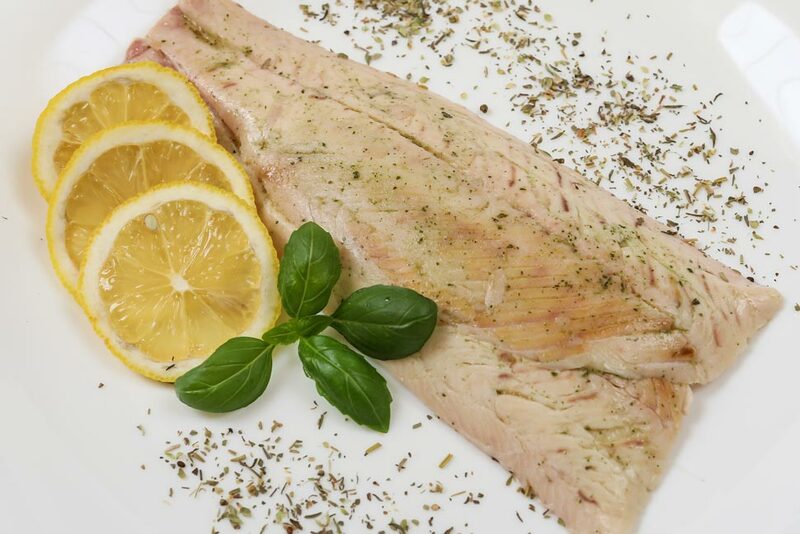 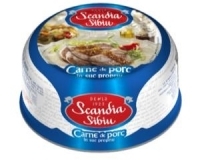 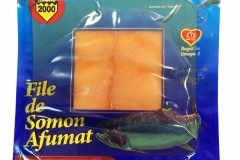 Doripesco SA is the only Romanian fish company which produces traditional Romanian fish products by preserving and strategically utilizing local recipes. 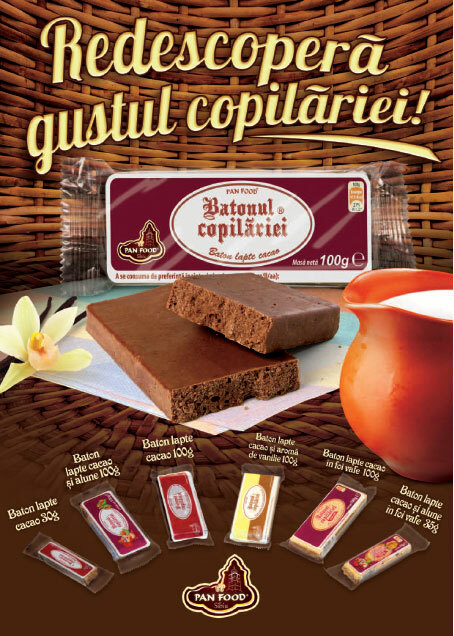 Our products are placed on the shelves of some of the major retail chains in Romania and our distribution network is extending rapidly. 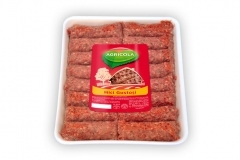 As Efes ExportS.A. 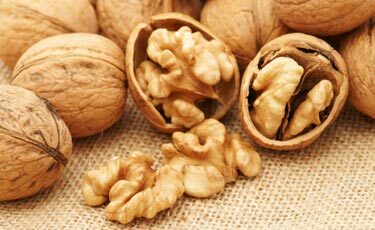 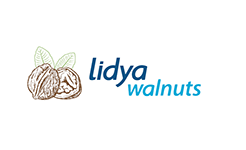 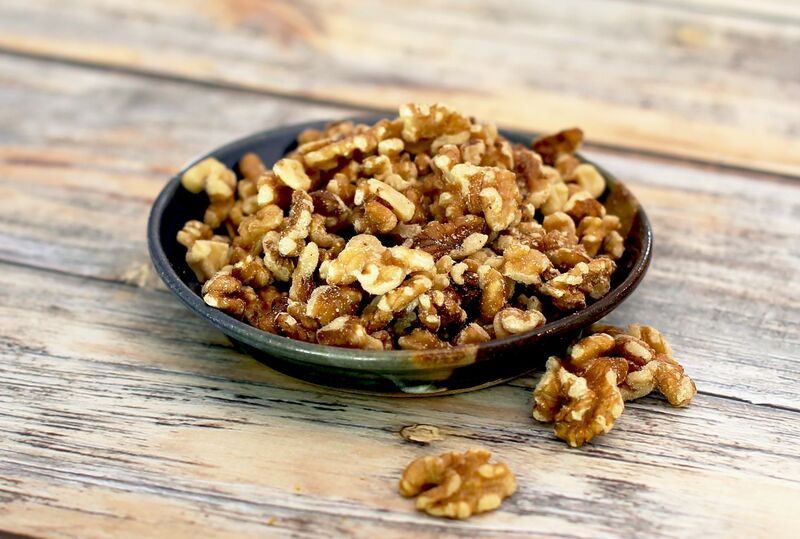 we are a member of Tiryaki Holding Group Companies and we are one of the largest Walnut Processing & Trading Company in EU, located in Romina, Arges County. 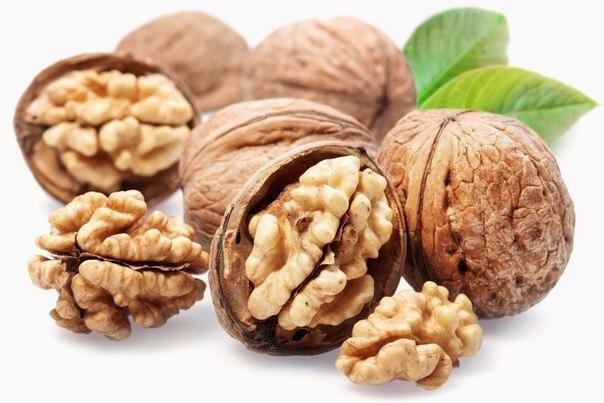 The annual capacity of our facility is approximately 10.000 tons / inshell base and 3.000 tons kernel base, we aim to improve all these numbers in the near future. 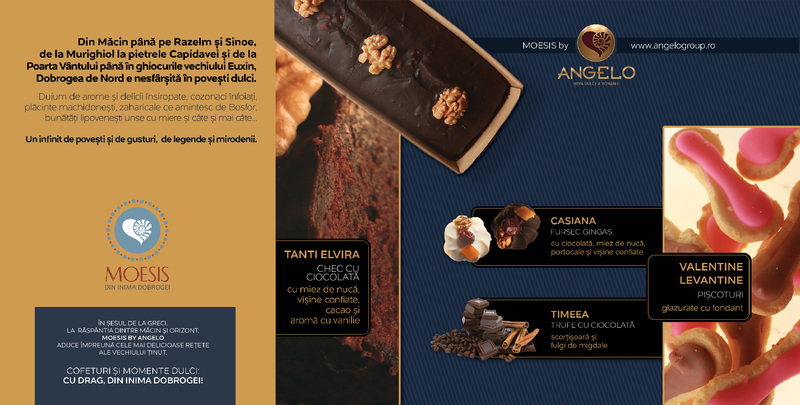 The needed investments and upgrades are already being executed during Summer 2017. 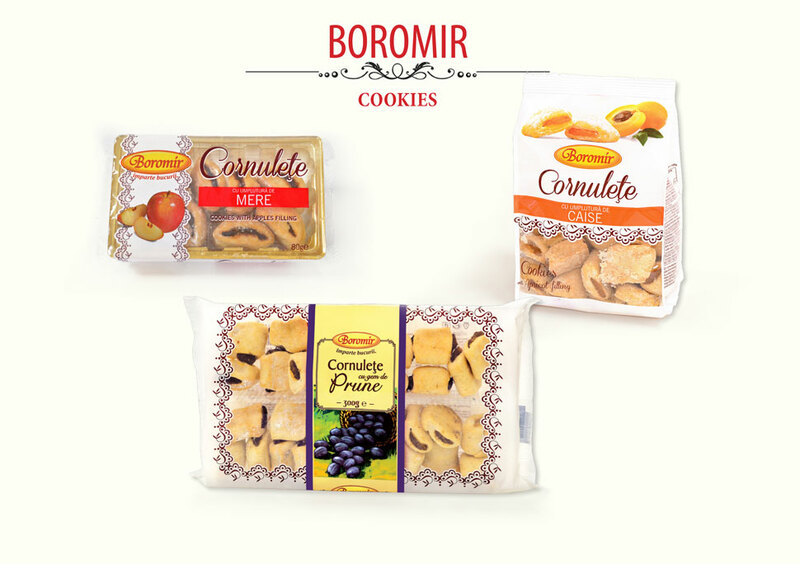 Address: Municipiul Galati, Str.Regiment 11 Siret, Nr.48, camera 1, Bl G2, Sc.2, etaj 8, apt.78. 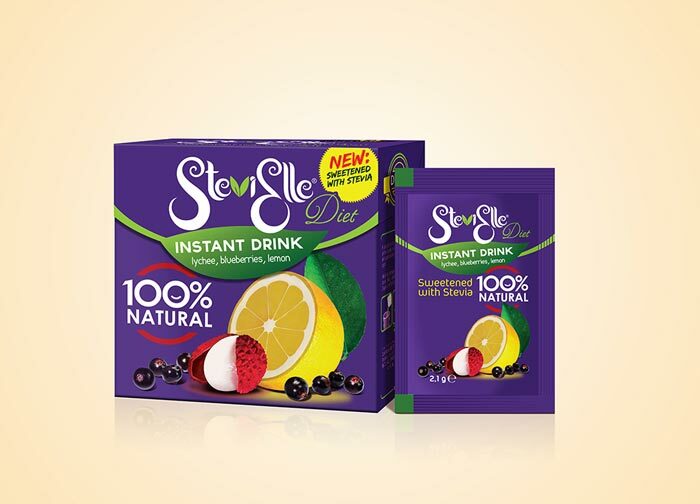 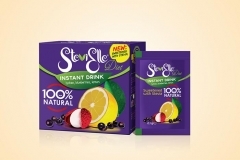 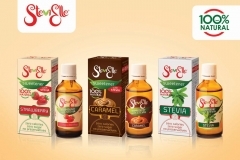 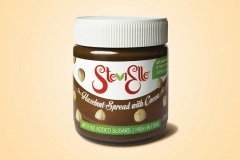 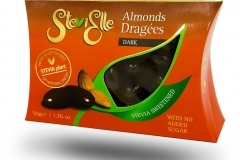 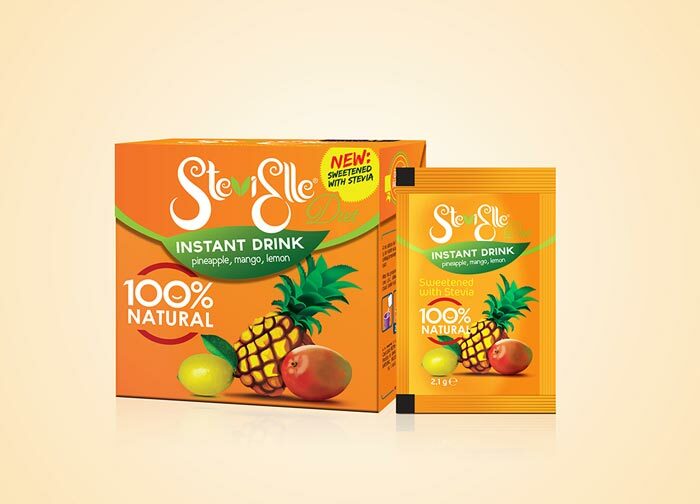 SteviElle reinvents the sweetness of the future! 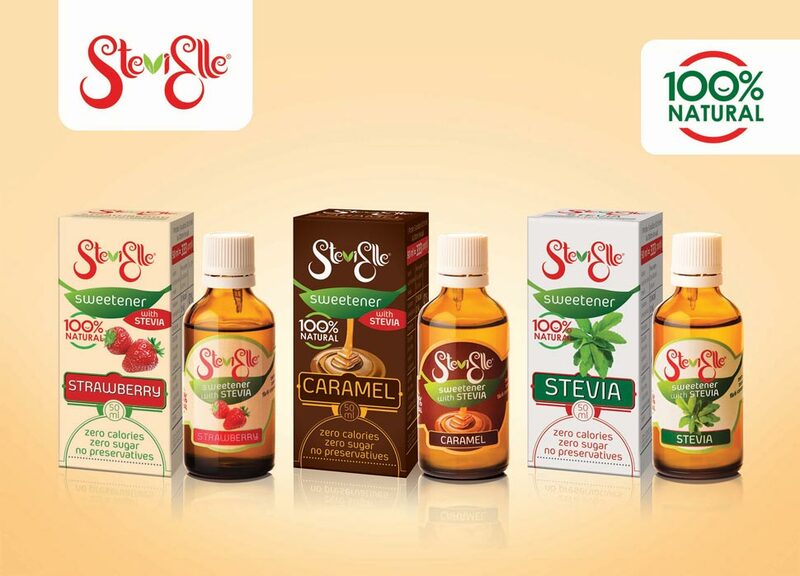 We gave up sugar and started making healthy sweets with STEVIA plant extracts ! 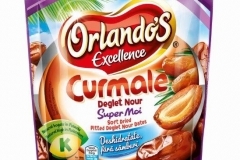 NO SUGAR. 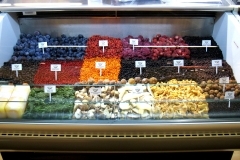 Healthy sweets! 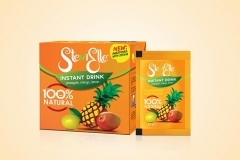 – Instant juices (4 types)- Our INSTANT juices from FREEZE-DRIED fruit juices, sweetened with STEVIA, are unique in the world! 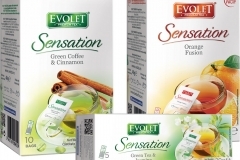 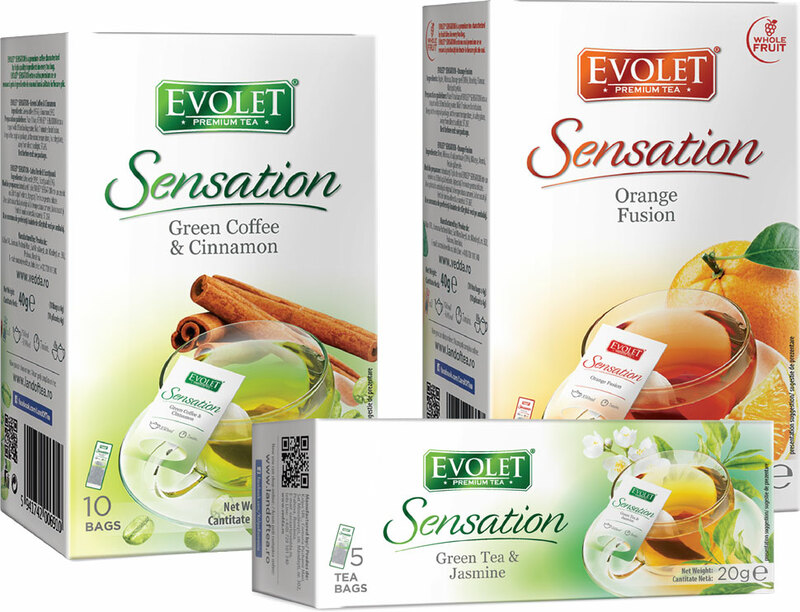 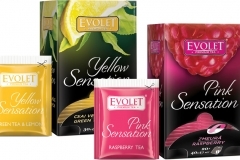 -Instant teas (Black/Green/White+ dried lemon juice+ REB A 97%). 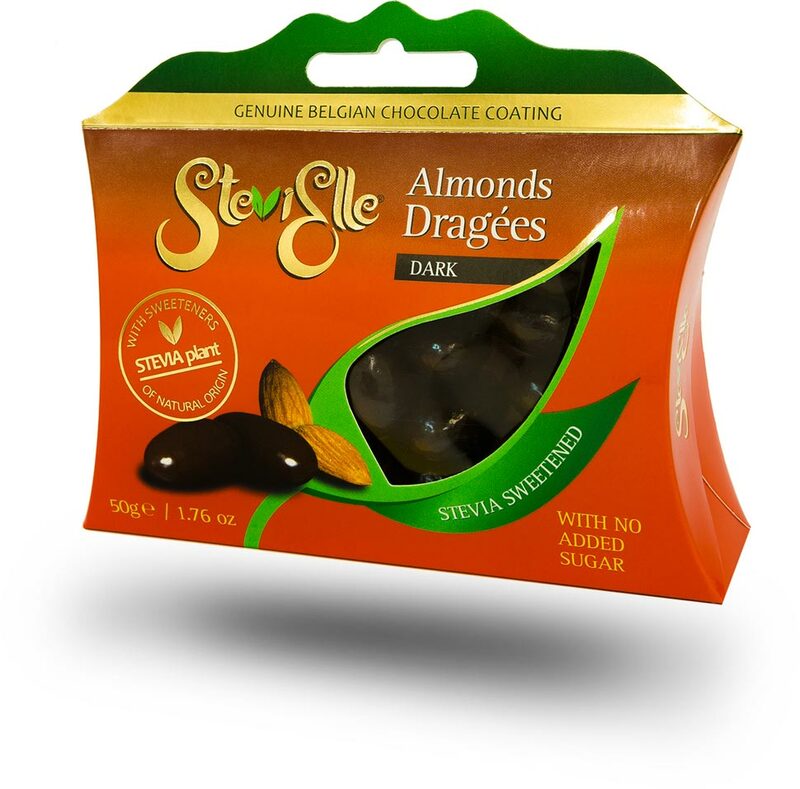 -Chocolate DRAGEES made of nuts (almonds, hazelnuts) or low glycemic index fruits (cranberries, blueberries, sour cherries, cherries) coated in milk and dark belgian sugar free stevia sweetened chocolate. 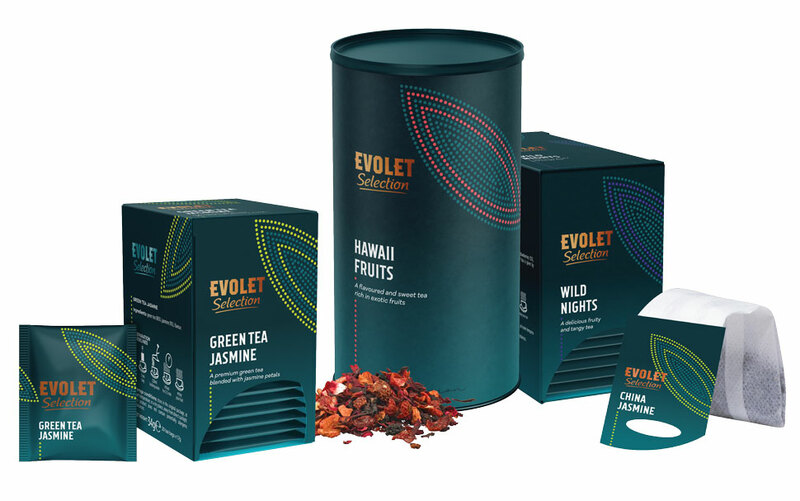 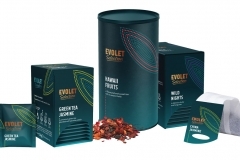 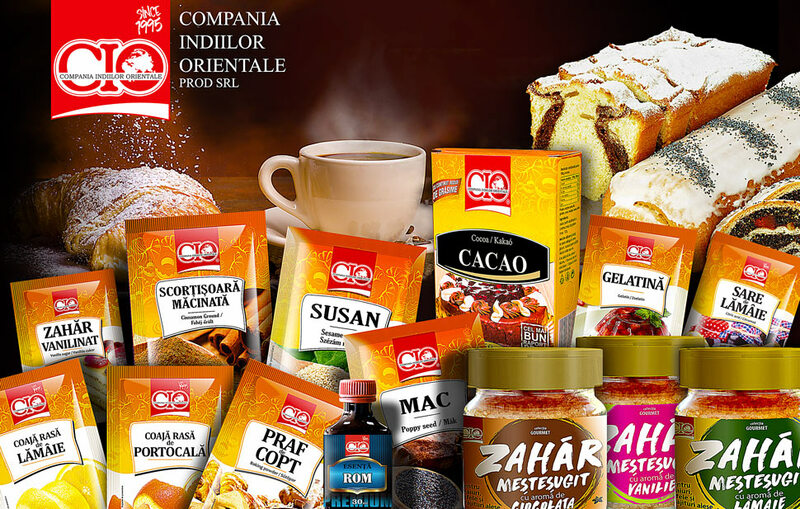 Kalpo Company is privately owned Romanian company, the main activity is the production and packaging of herbal and fruit teas, green tea and black for domestic and foreign markets. 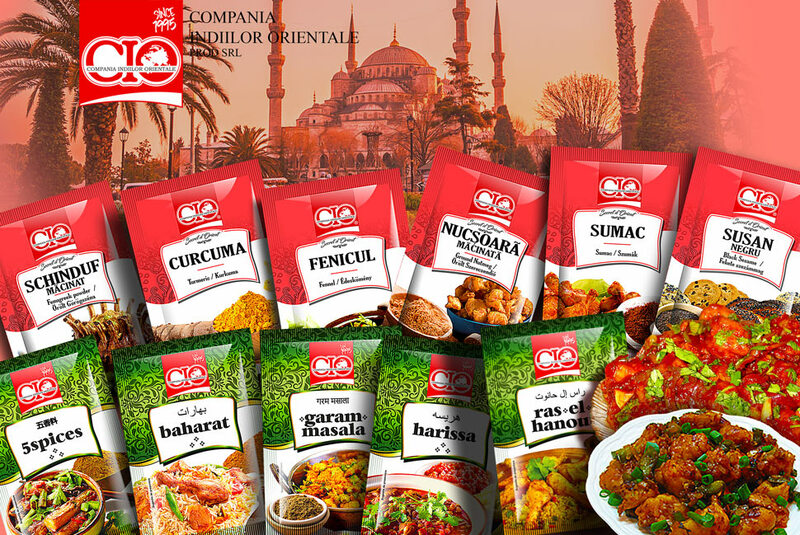 The company was founded in 1992, while accumulating a rich experience, with a management team well trained and qualified personnel. 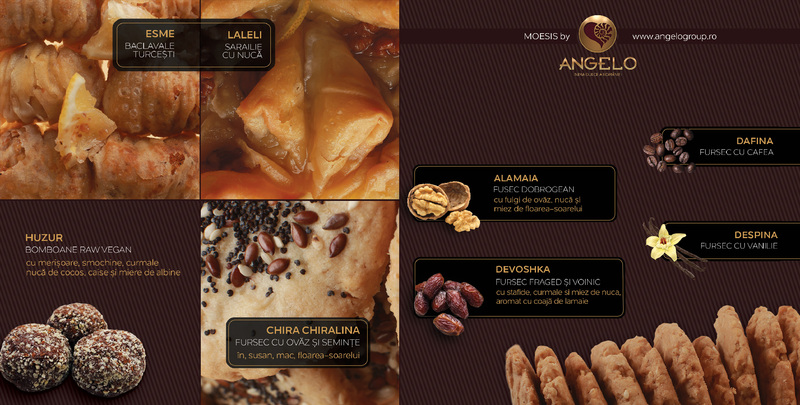 We have own factory near Bucharest. 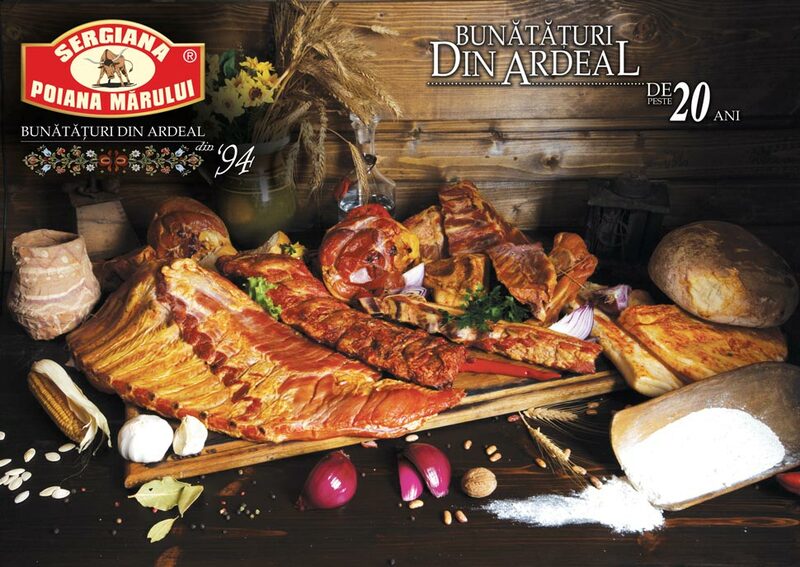 This year the 25th anniversary of our company. 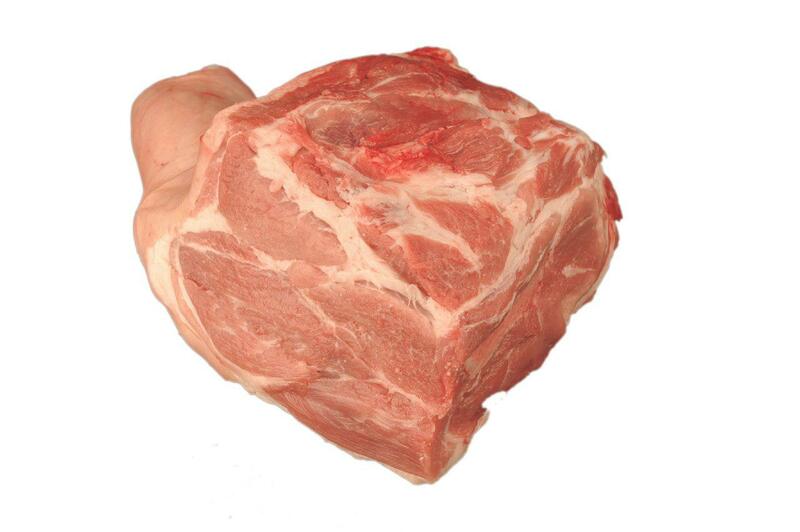 The 15% of the retail market. 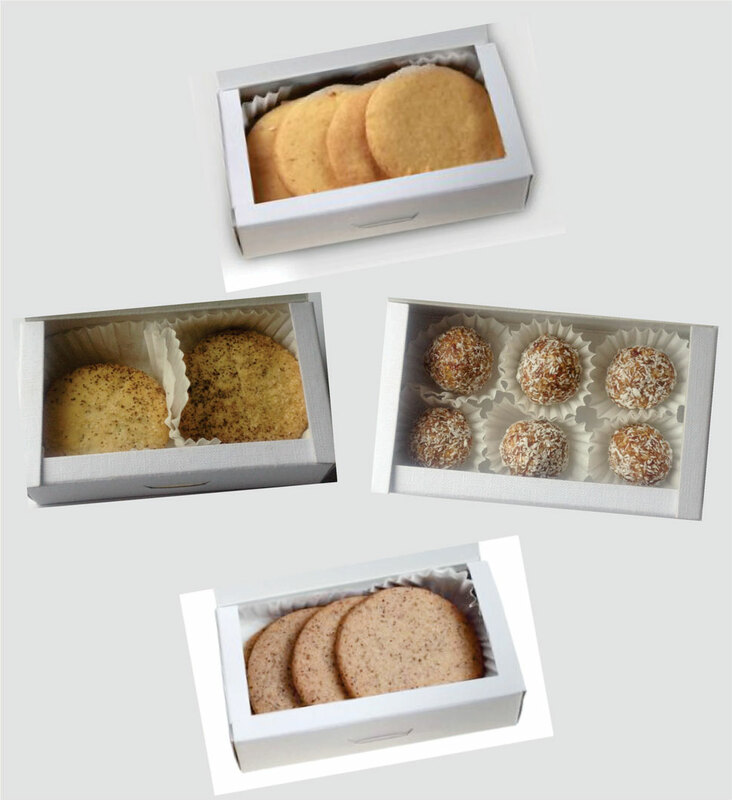 We have own tea recipes developed in our factory. 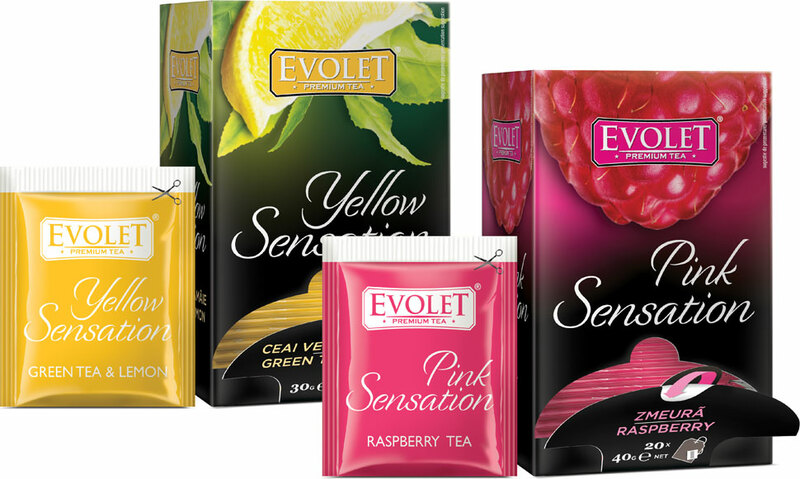 Our portfolio are over 150 teas. 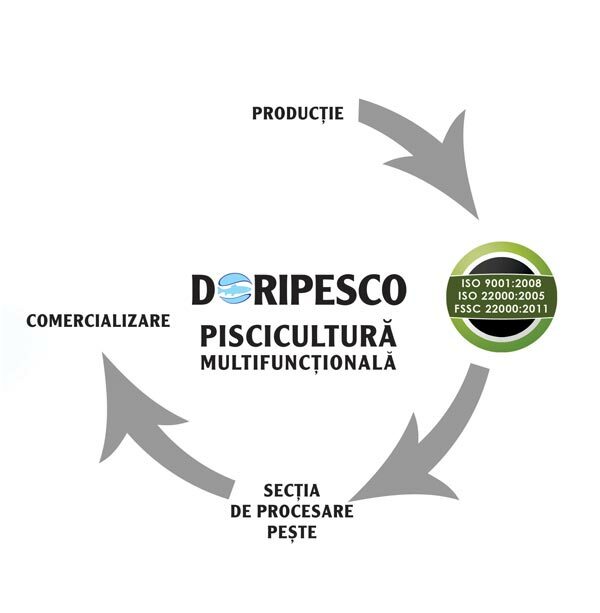 We produce certified quality system ISO, FSSC and Bio. 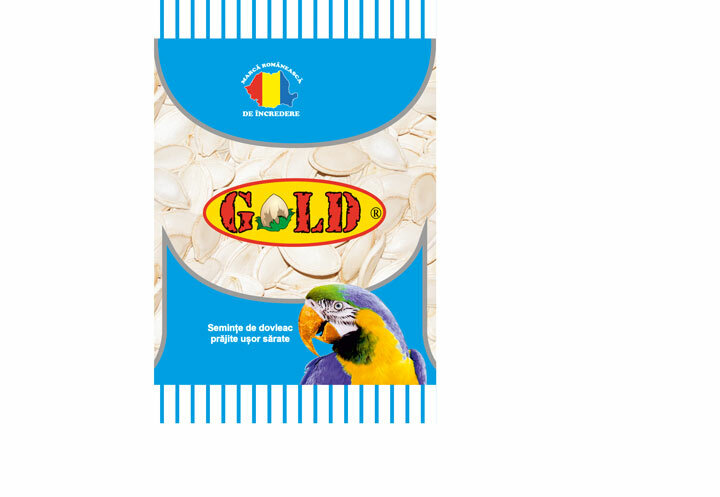 Exported to over 15 countries (Germany, Spain, Italy, Hungary, China, USA, UK, Canada …). 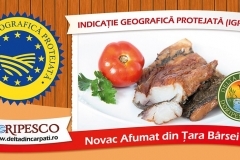 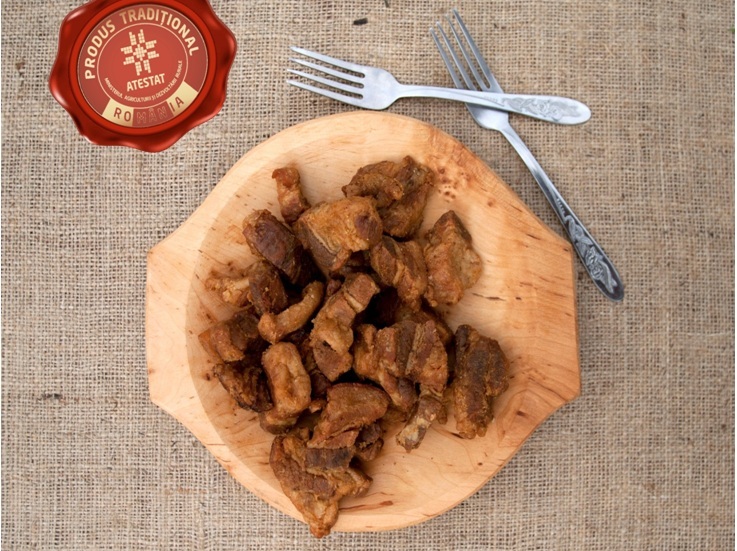 Angus beef cattle, Romanian natural grasslands and Swiss expertise – these are the first-rate trademarks of Karpaten Meat Group Romania. 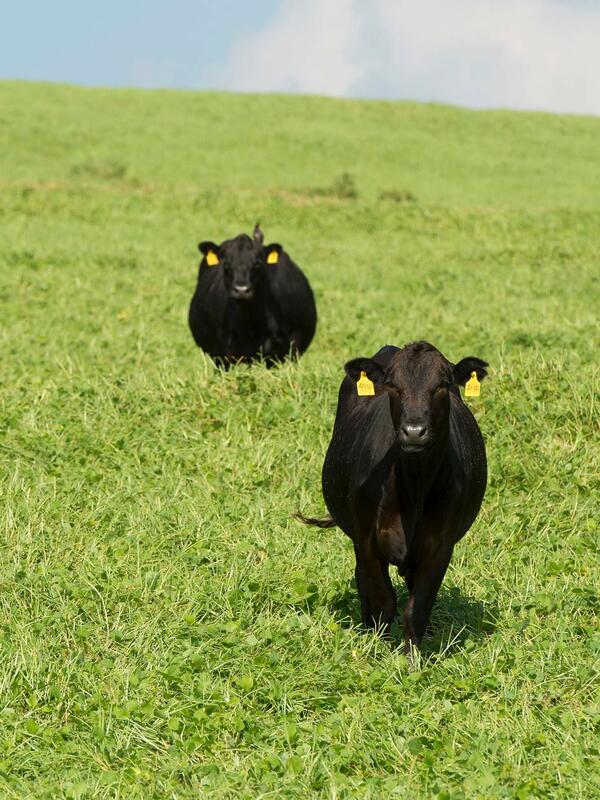 We produce top-quality beef from Angus cattle that we breed on unfarmed Transylvanian grasslands. 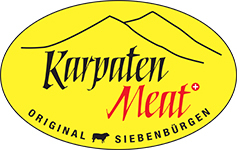 The purpose of Karpaten Meat Group is to lay the foundation of a premium Angus beef production network. 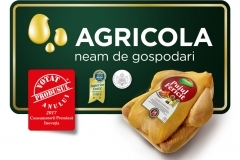 We have set the tone for the Angus beef business in Romania. 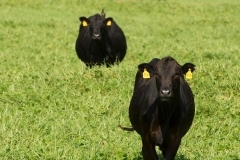 Join the largest Angus network and become our partner. 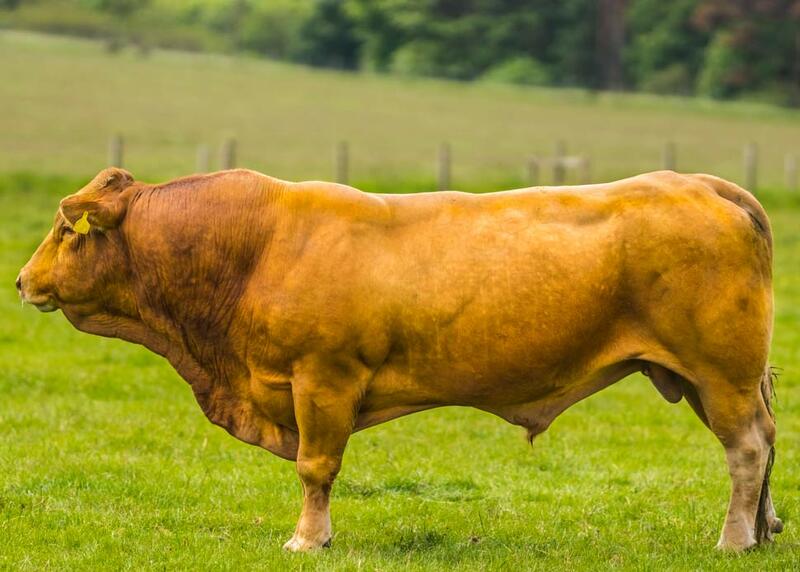 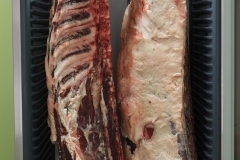 Top Angus genetics is developing together with Karpaten Meat. 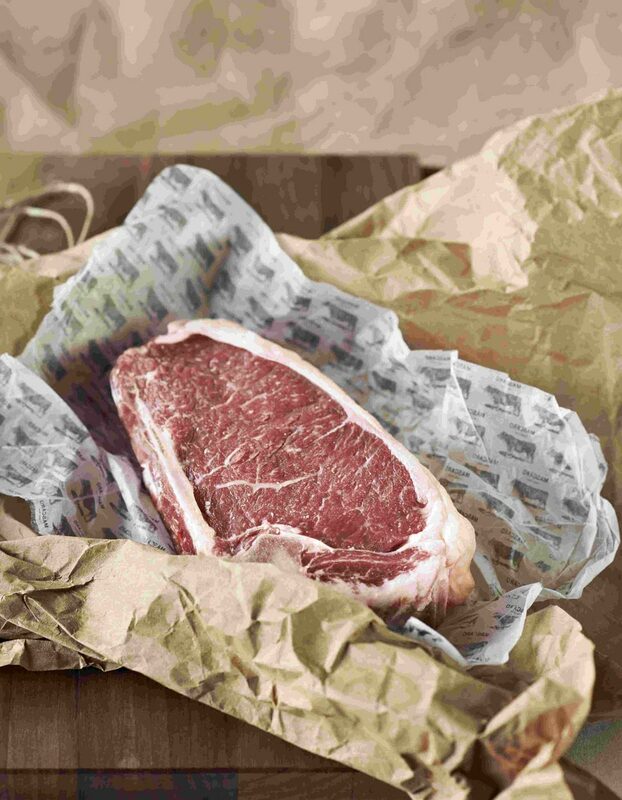 High-quality beef begins with top genetics, and along the entire production process we aim to develop the quality of our beef. Quality development is implemented from calf birth, calf being suckled by its mother for up to 7-8 months, extensive free-range grazing, natural forage produced on the farm during winter, and fattening forage recipes carefully selected according to the principles of sustainable farming. 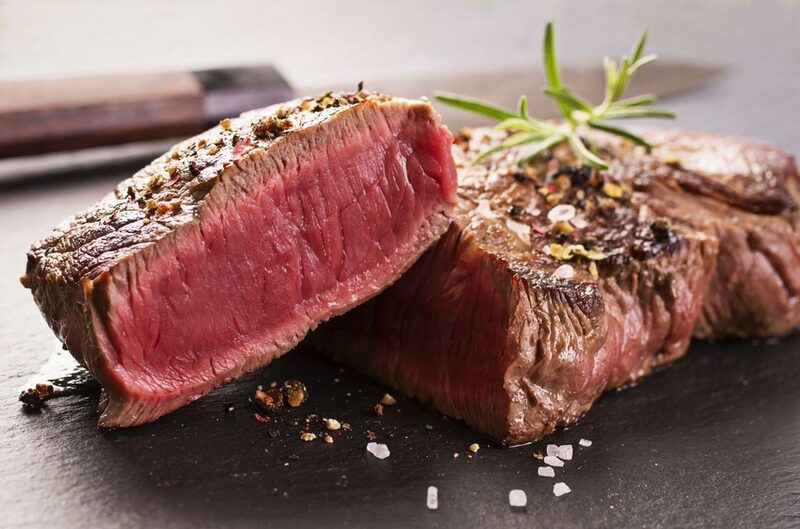 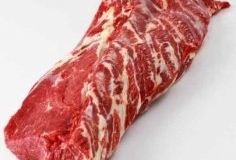 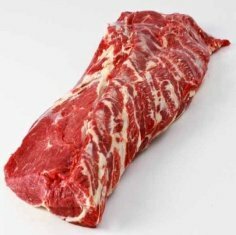 What makes Angus beef special is its degree of marbling, tenderness, juiciness and unique taste. 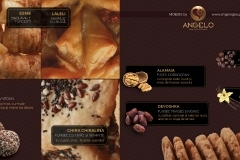 On our farm we achieve all of these by carefully respecting all stages of production. 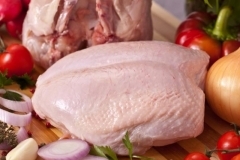 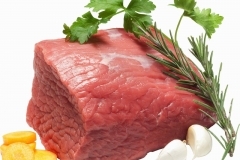 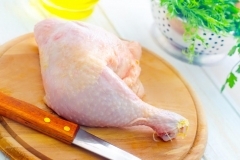 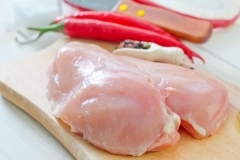 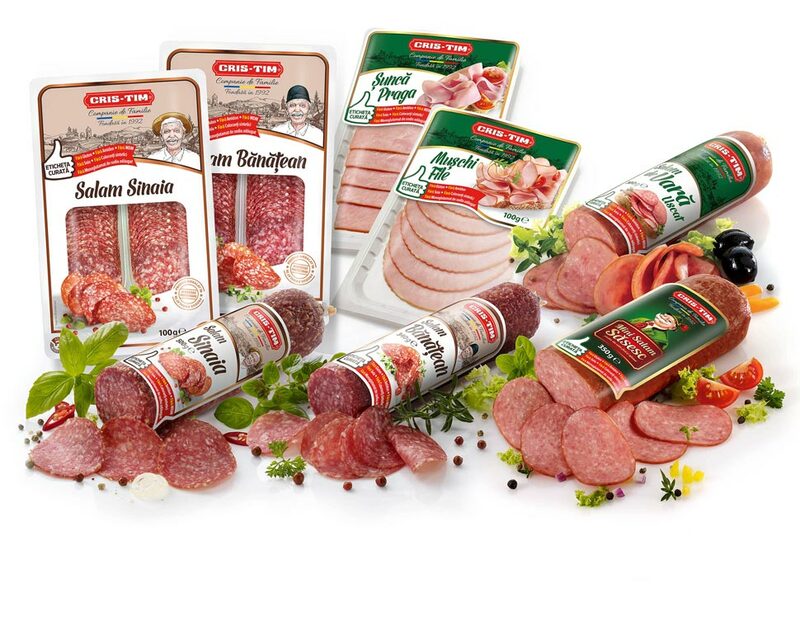 Kosarom S.A., producer of meat and meat product, is the basis on which the group of companies with the same was created. 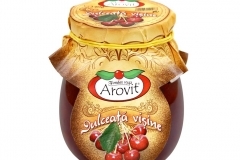 Next to Suinprod and Avi-Top it ensure an integrated process of production. 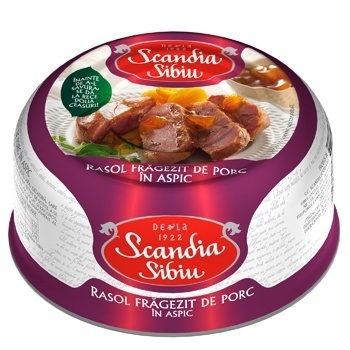 The pigs from Suinprod ans the chicken from Avi-Top are row materials for Kosarom meat products. 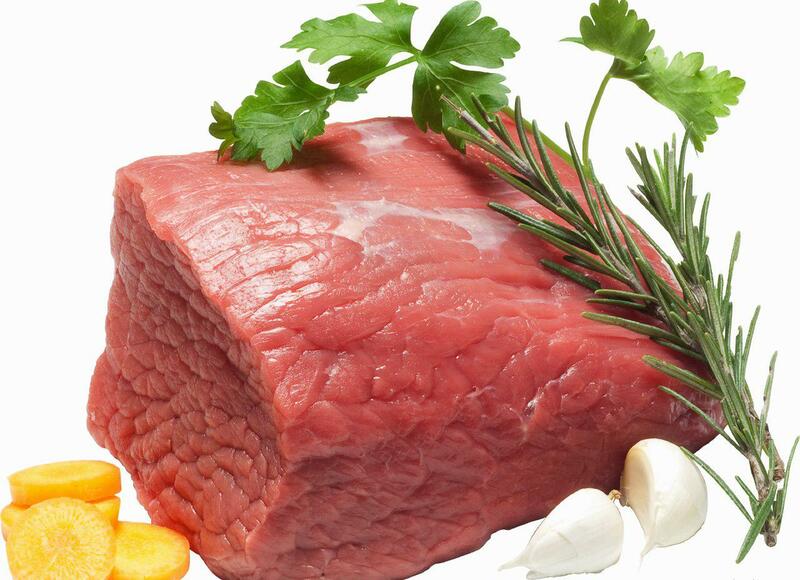 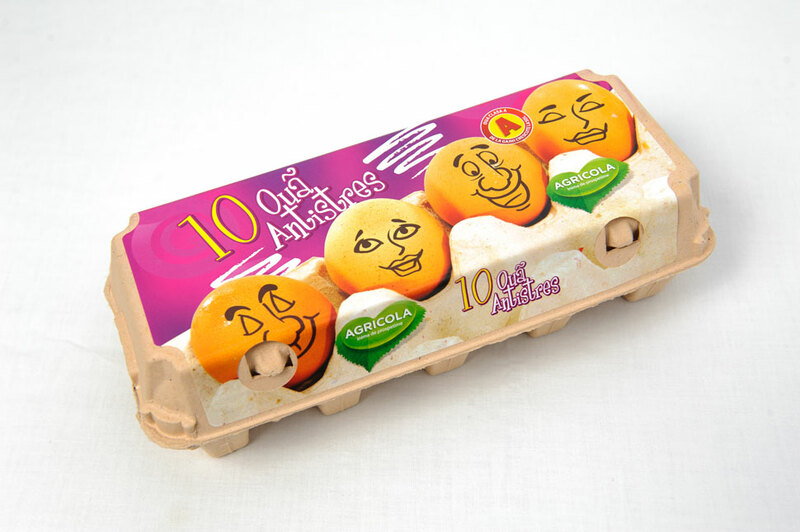 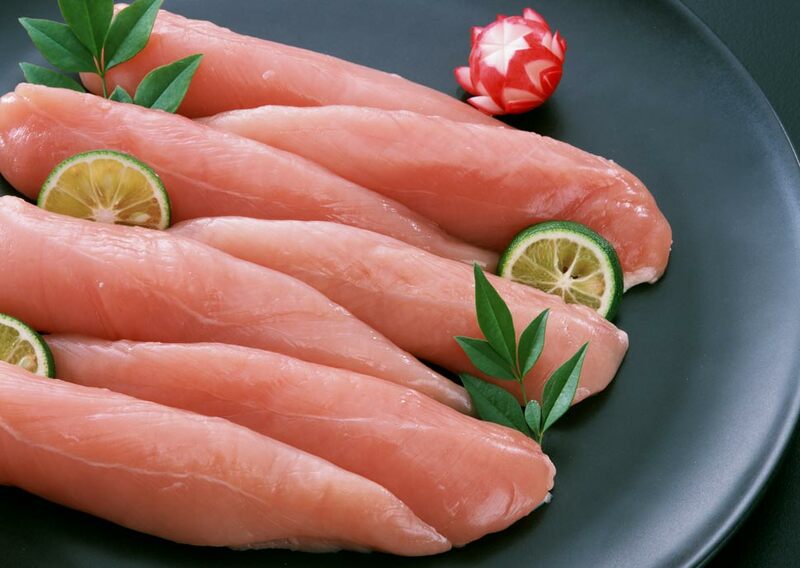 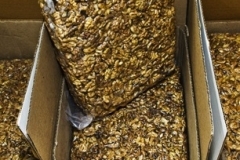 Thus, traceability is assured throughout the entire production cycle. 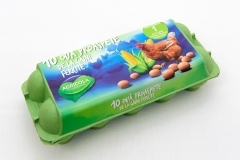 Production capacity. Slaughtering: 800 pigs/ 8 h.; Carving 50 tones/2 x 8 h.; meat products: 50 tones/day. Kosarom produce over 80 varieties meat products. 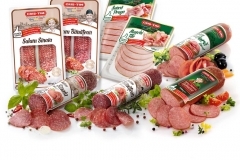 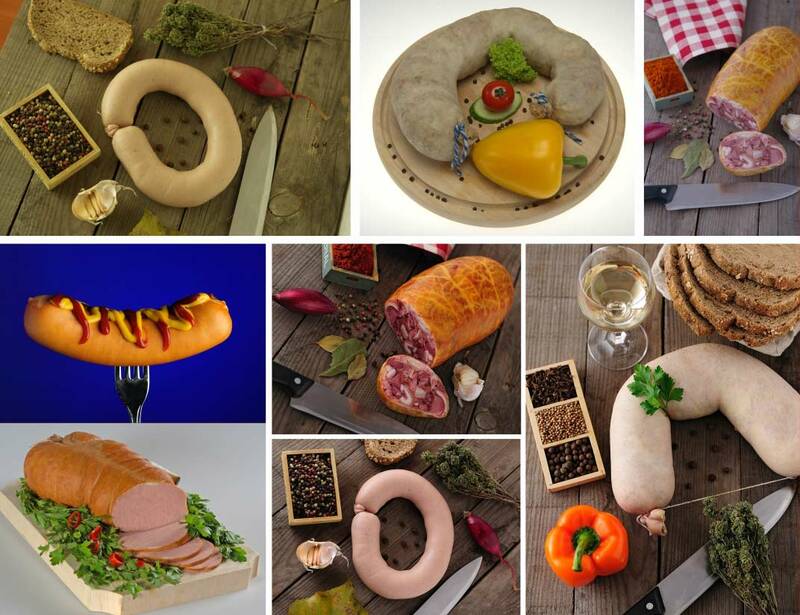 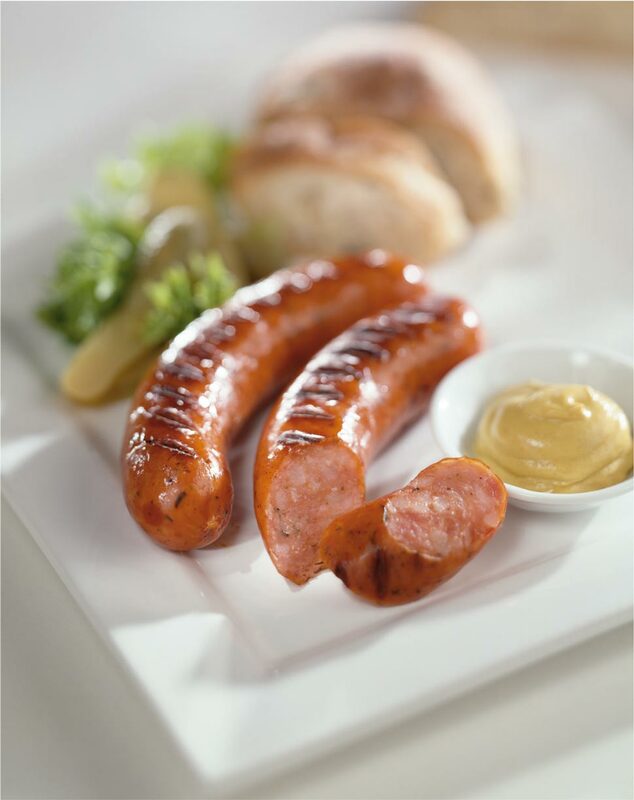 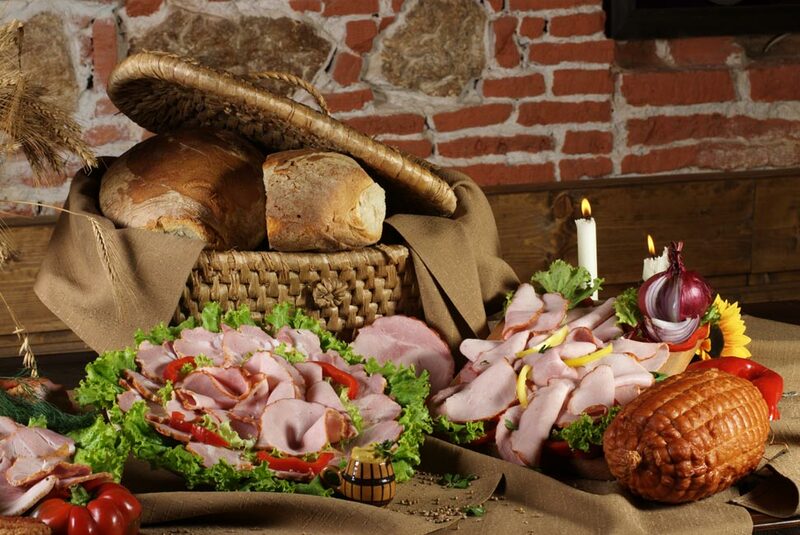 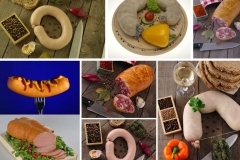 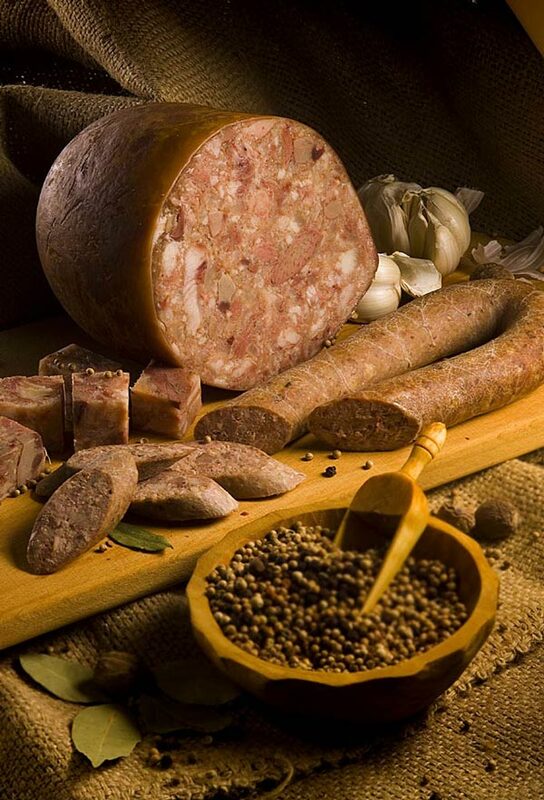 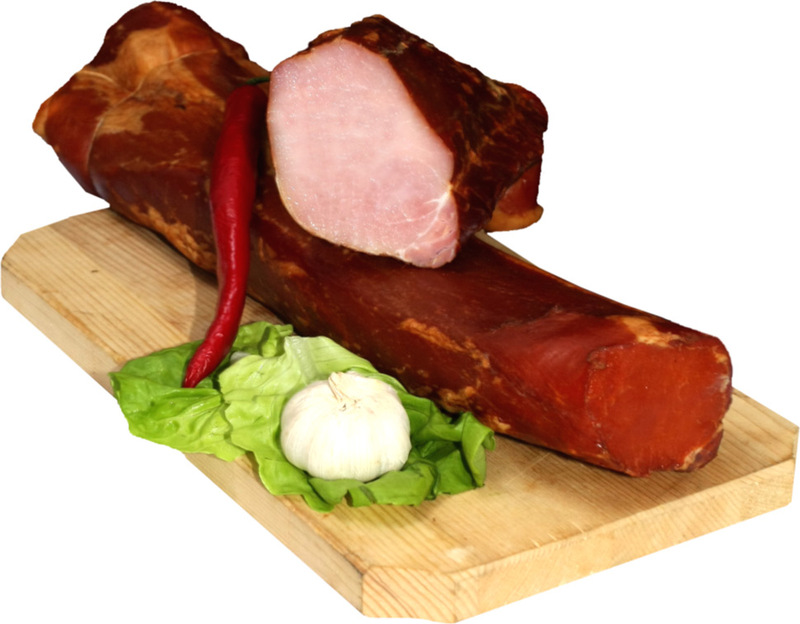 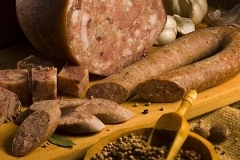 Offer export products: Sausages, Salami, Dry and boiled products, Hams, Baloney, Frankfurters, Pork and chicken specialities, Romanian Traditional Products. 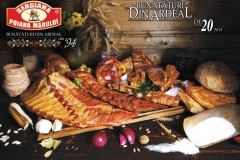 Grill Products. 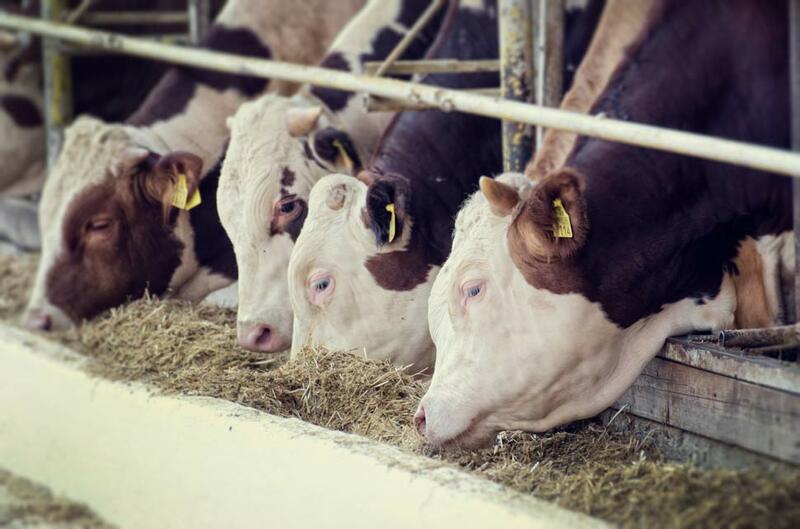 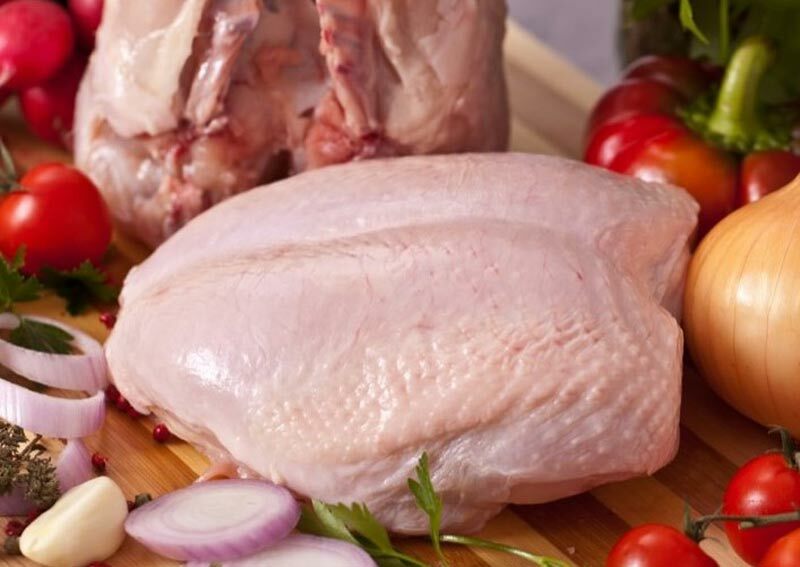 Kosarom stands out as a responsible processor, interested in quality and safety, respecting the highest production norms and EU standards in the meat and meat products market from Germany, Great Britain, Ireland, Italy, Spain, France, Greece, Cyprus and other European States. 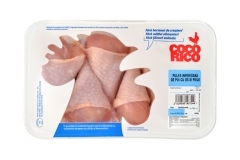 Certifications: : EN ISO 22000: 2005; EN ISO 9001:2008; EN ISO 140001: 2005. 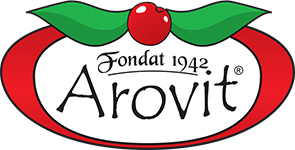 Established over 75 years ago as a fruit and vegetable processing company, Arovit proudly carries on the tradition and history of a brand present every day in the customers’ lives through a variety of products: jams and fruit preserves, nectars, tomato products, vegetable and meat dishes, dietetic jams and nectars, and products destined for pastries. 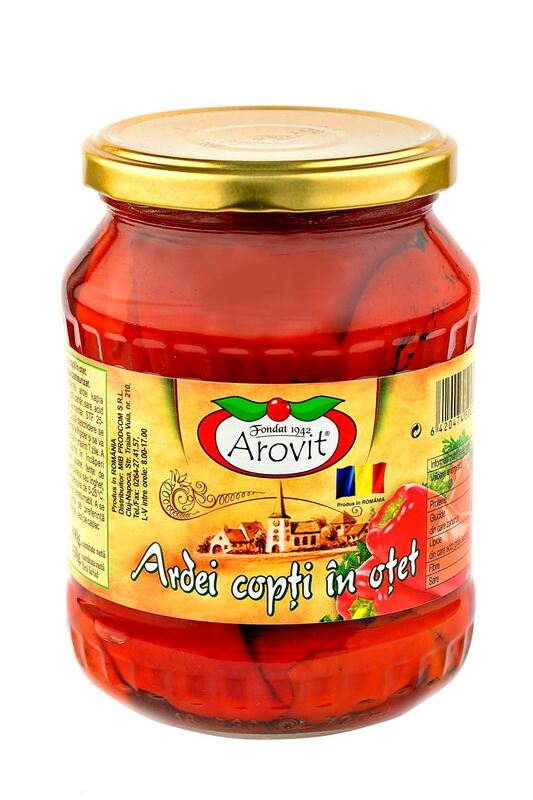 Always looking to bring in front of our customers food they will enjoy and savor, Arovit was built around consistent quality and great taste. 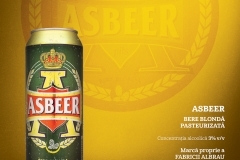 Those same values still hold true today. 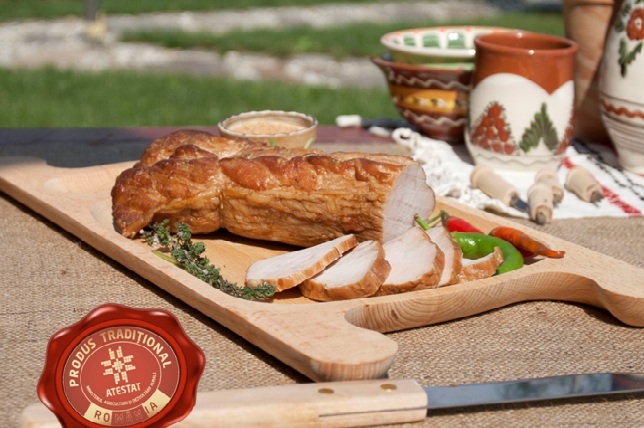 That’s why we take great pride in selecting and preserving only the finest ingredients grown by ourselves or local farmers, as well as using traditional recipes that preserve all the flavor and properties of the ingredients used. 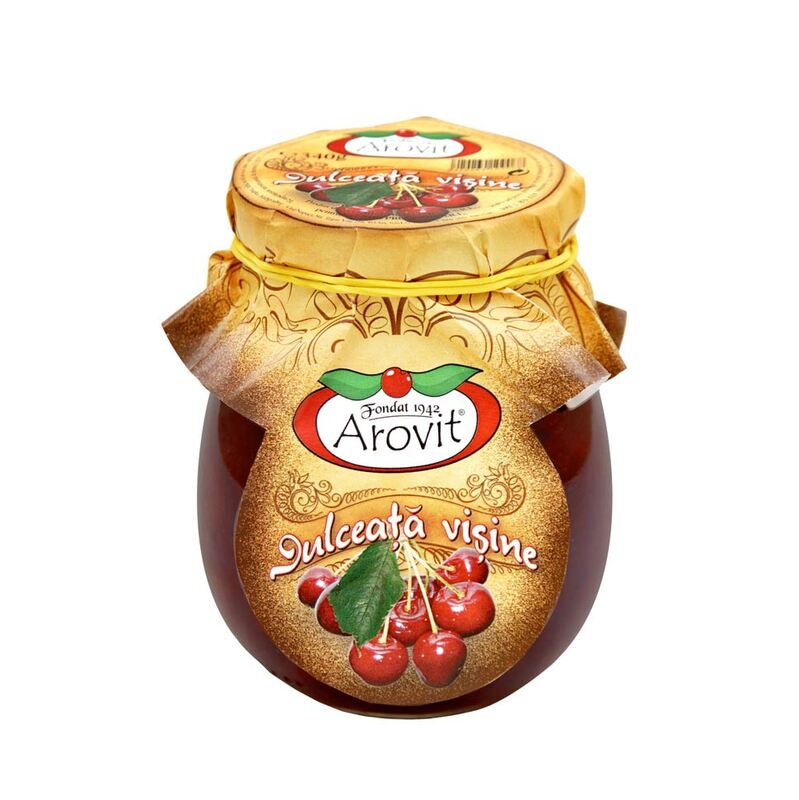 At Arovit we rely on the quality of the fruits and vegetables that we grow, the recipes that we use, as well as our passion and determination of bringing the Arovit flavor in stores and homes throughout the world. 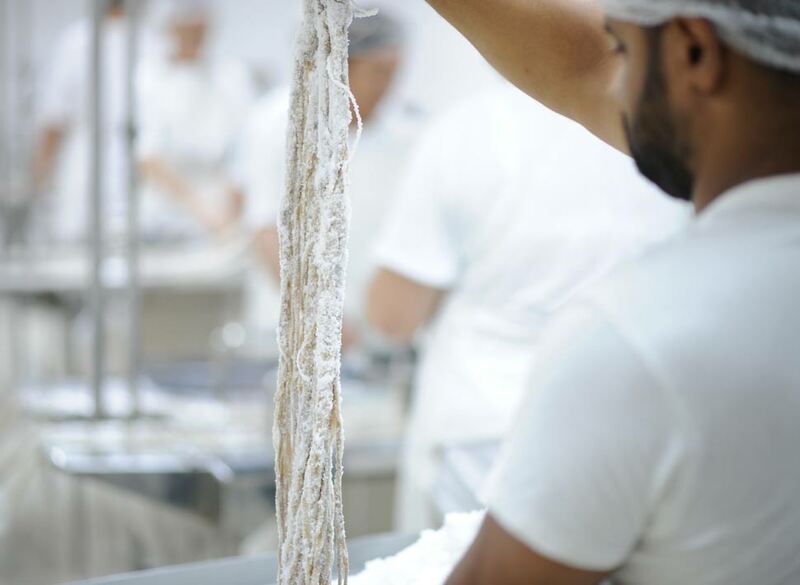 This is core to how we make food. 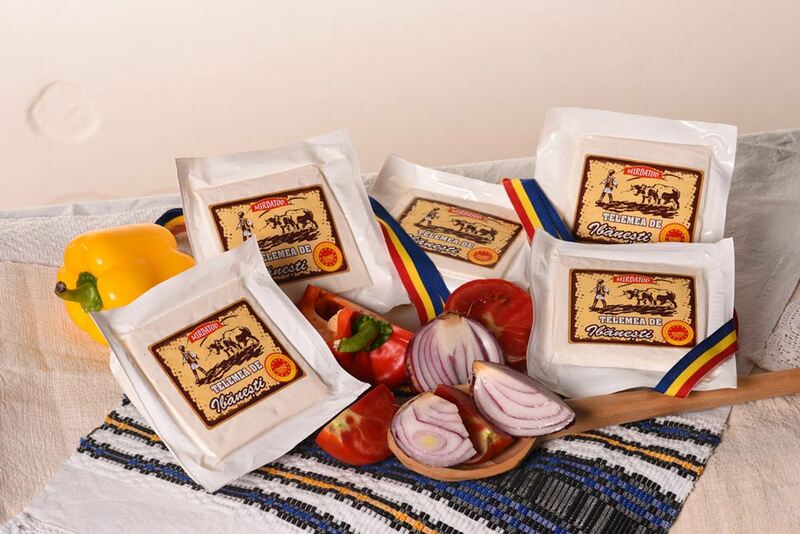 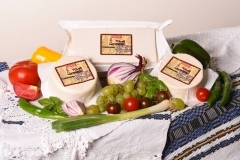 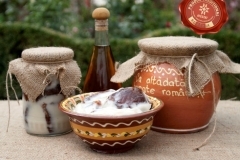 SC MIRDATOD PROD SRL lies in Mureş County,at the feet of the Gurghiu Mountains.The unique geographical area, climate and mountain relief, the rich and particular flora provides special characteristics to the raw material – the milk – and its dairy derivates obtained by its processing. 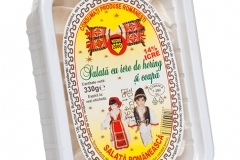 The organisation was set up in 1994 , the first product manufactured at SC MIRDATOD PROD SRL was Telemeaua de Ibaneşti in Orşova salt water. 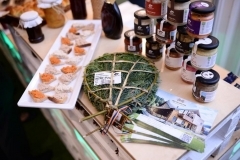 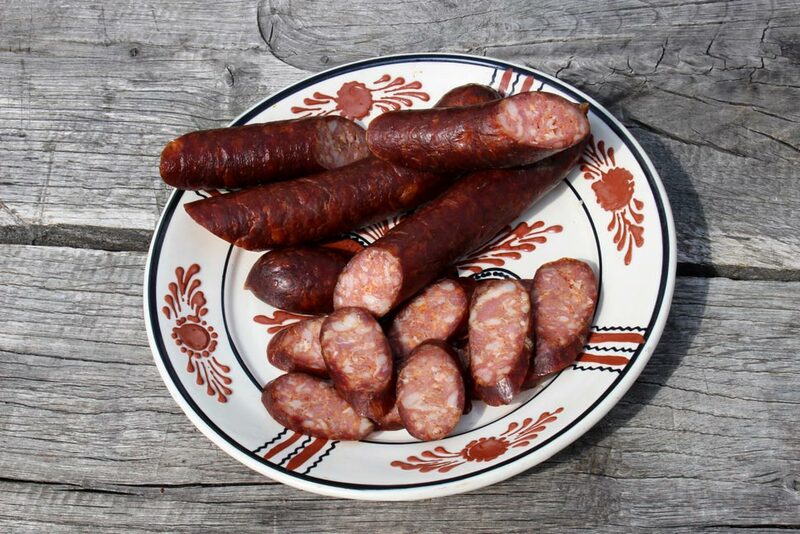 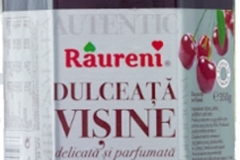 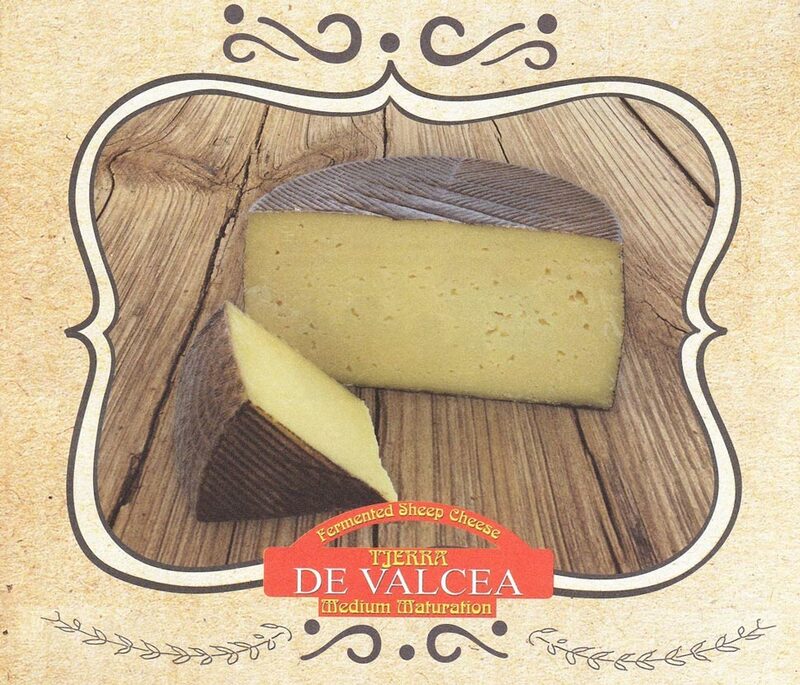 The connection between Telemea de Ibaneşti and European PDO is based on the rich flora specific to the mountain region in the geographical area of te Association for Promotion of Traditional Products from the Gurghiu Valley made up of 3 neighbouring villages (Ibaneşti , Hodac, Gurghiu ). 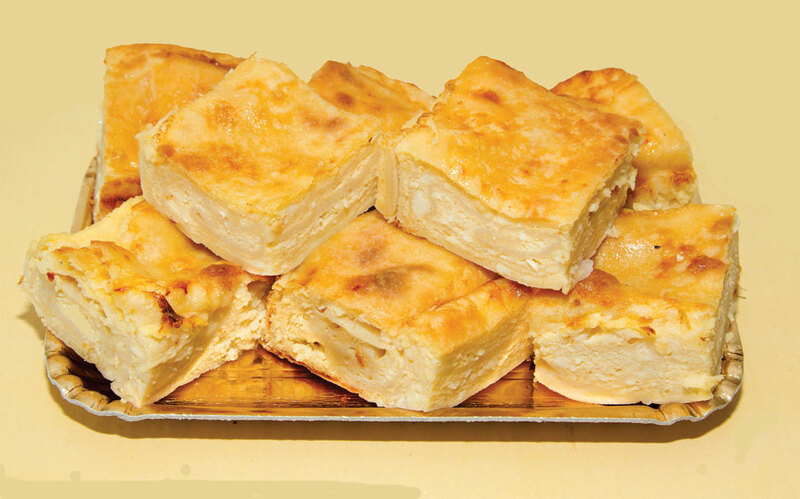 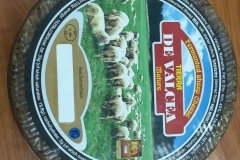 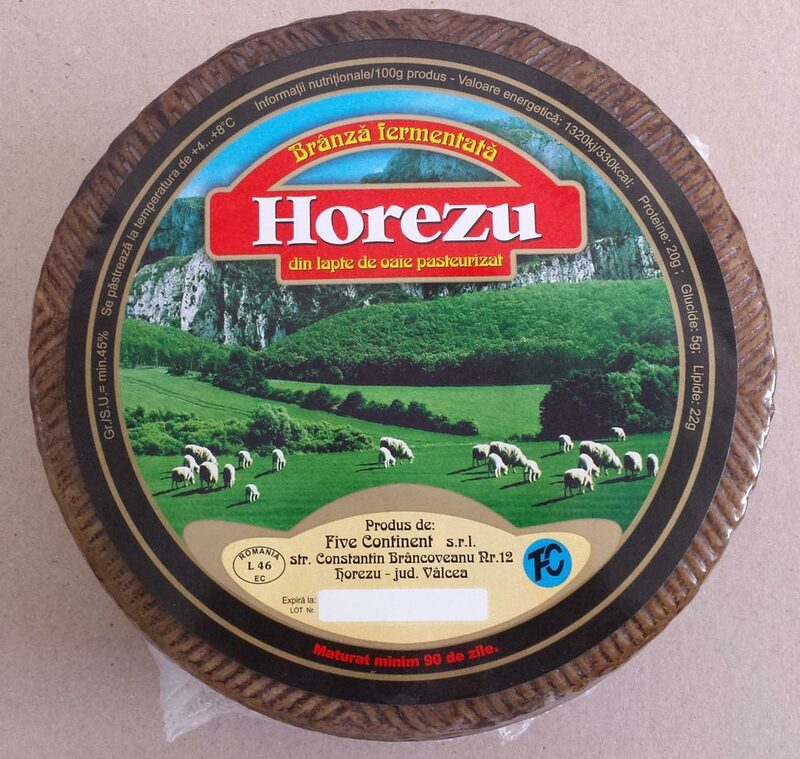 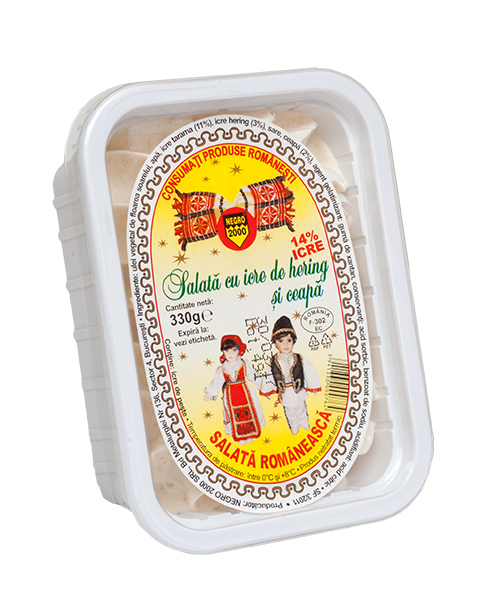 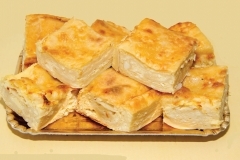 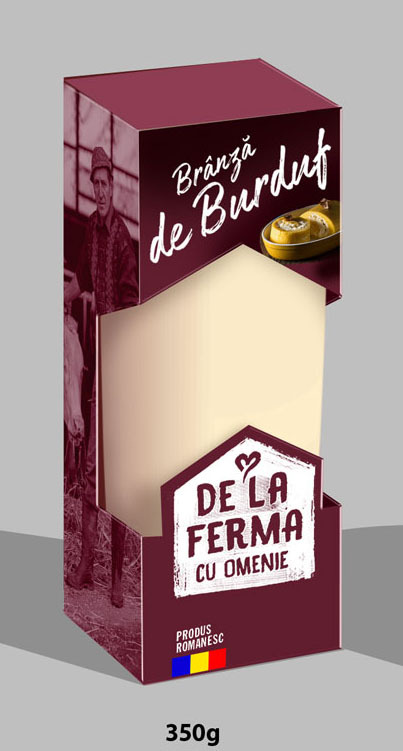 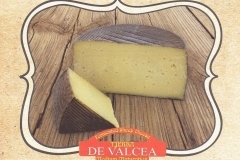 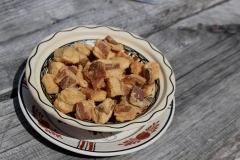 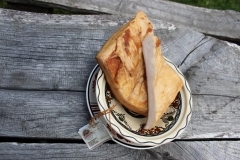 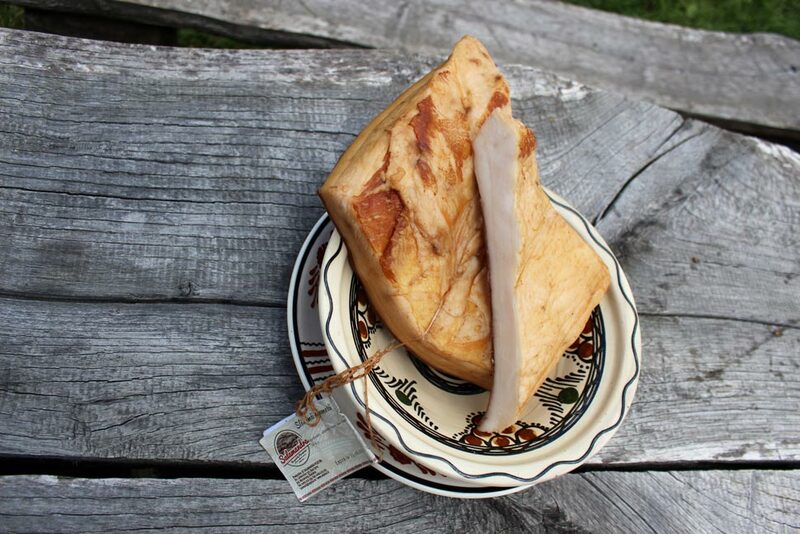 Telemeaua de Ibaneşti with an European PDO is manufactured from the fresh milk of cows grazing on this well- confined area which gives this product a special flavour.Submerged into Orşova salt water and mainly based on a long – established tradition of cheese manufacturing and salting into the salt water of Orşova well. 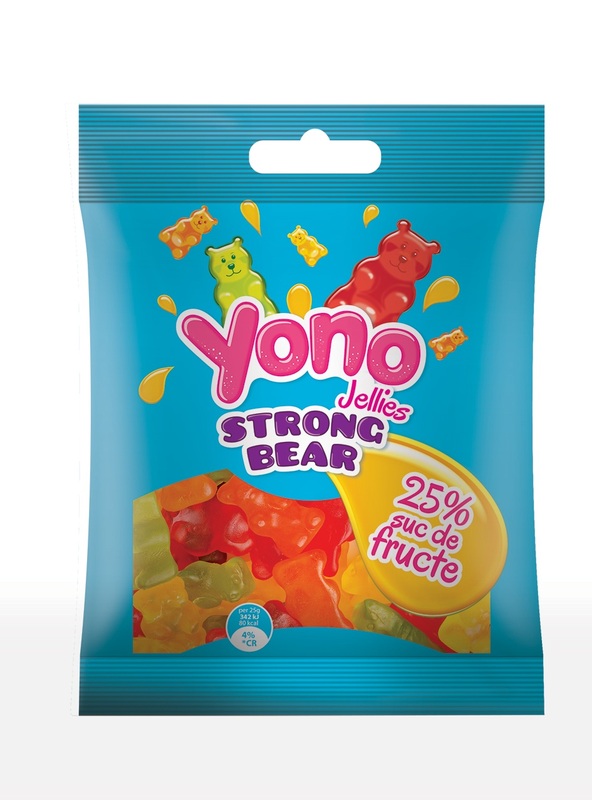 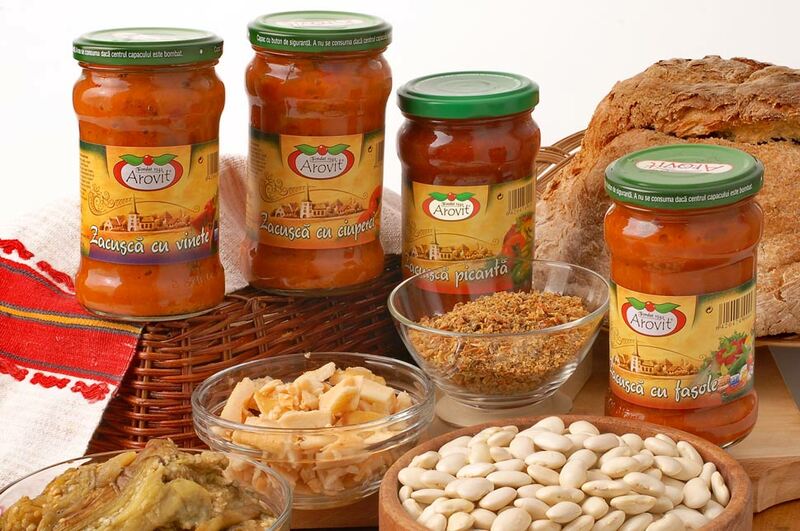 Monceanu Inocaings Company has emerged in the food market as a promising response to customer needs, which has involved offering quality services, professionalism, and creating an optimal climate for business partners. 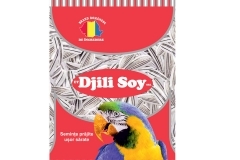 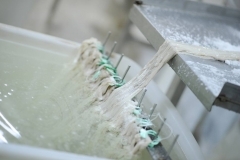 Our experience over 2 decades in the processing and sale of natural and artificial membranes originates in the 100% Romanian family business, Inorogul Impex, built by the Monceanu family in 1994. 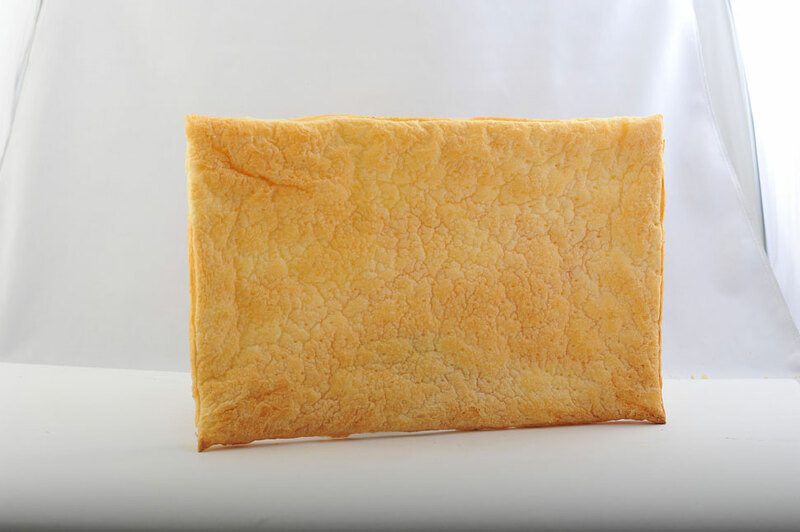 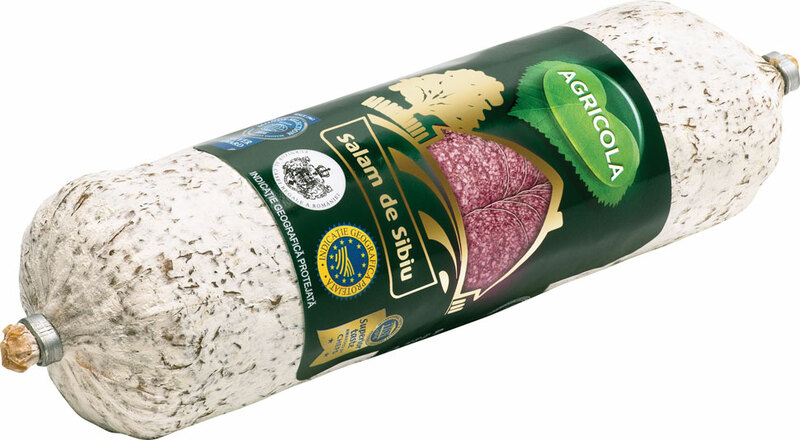 Our focus is on the processing and marketing of natural membranes (hog, sheep and beef) and we address all sausage producers and natural membrane distributors all over the world. The results of our vision have brought us excellent results, our company currently having over 50 foreign business partners, covering all Europe, but also developing partnerships with other continents like as Asia, Africa or Latin America. 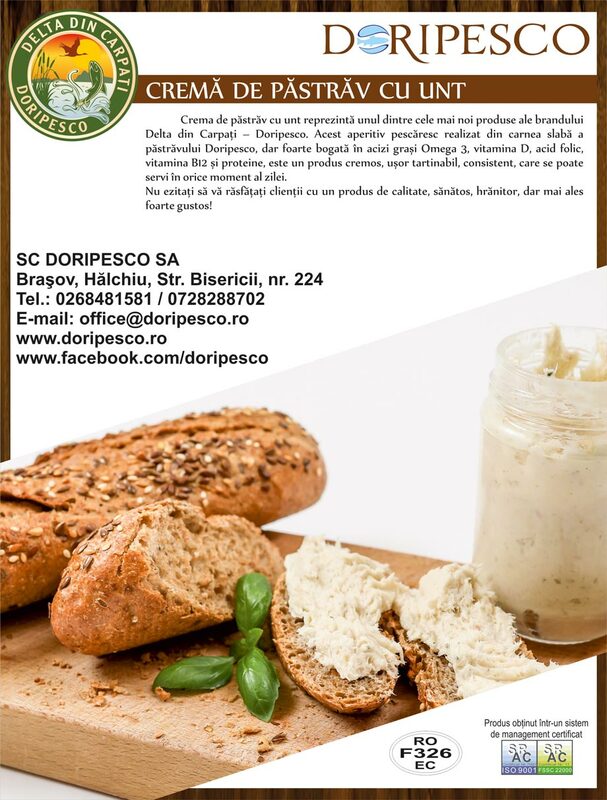 Address:STR OLTULUI NR 14B, LOC BRANESTI.Judet. 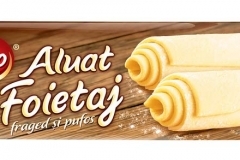 ILFOV. 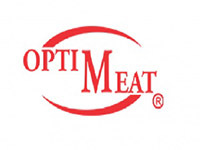 Optimeat is an experienced company which has been present in the meat market since 2002 who deals with all range of fresh and frozen pork, beef, mutton, chicken and turkey and is concentrated to expand the range of Halal and kosher carcasses and sides which commercializes as well. 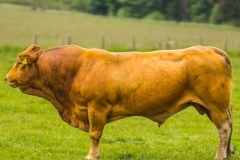 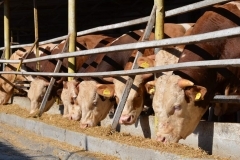 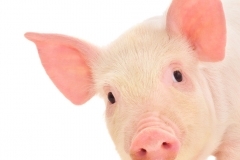 Today Optimeat is extending its commerce in livestock. 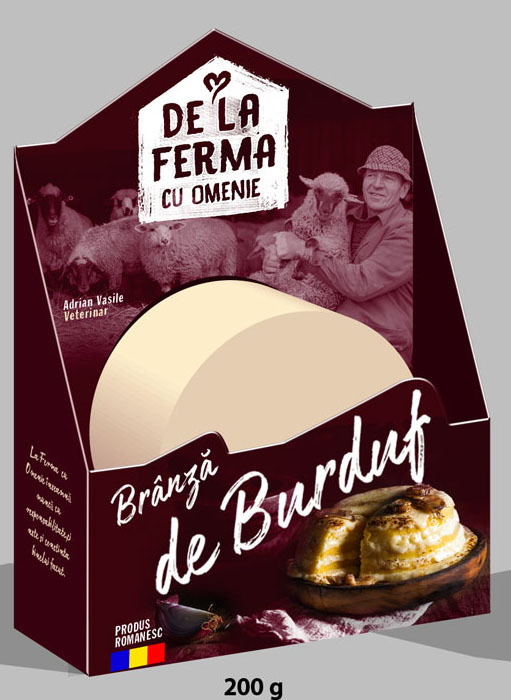 We have very solid and long term cooperation with farms all over Romania where pure and crossed breeds of cattle, sheep and goat are carefully raised by experienced and professional farmers. 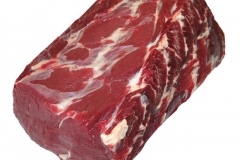 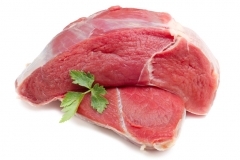 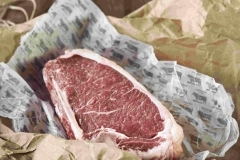 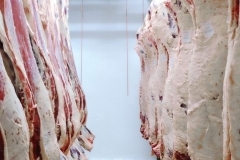 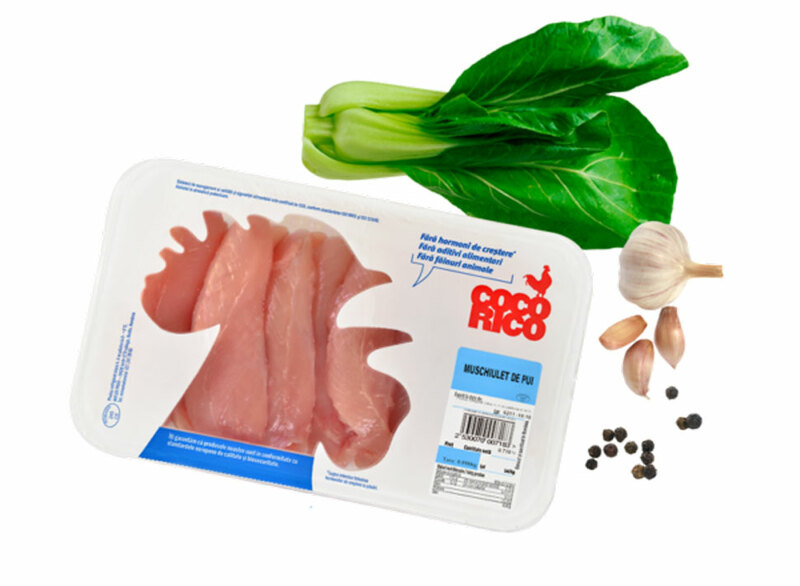 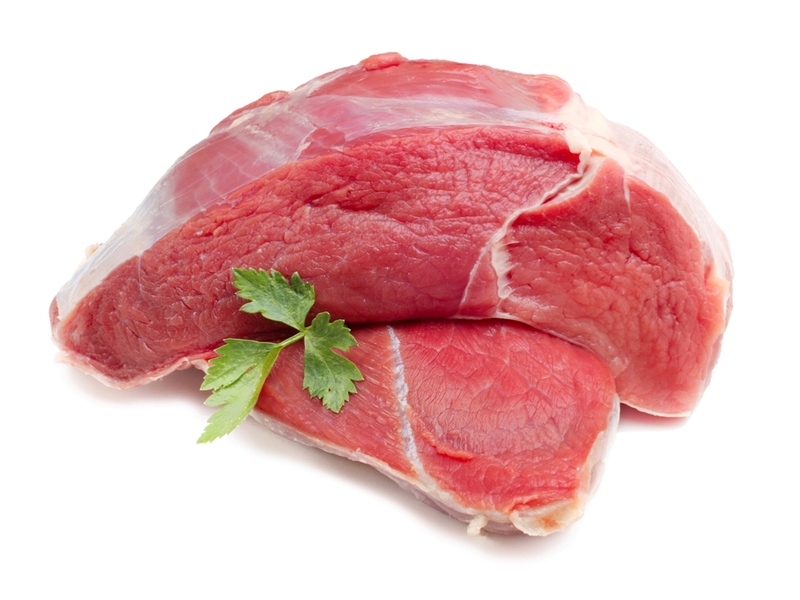 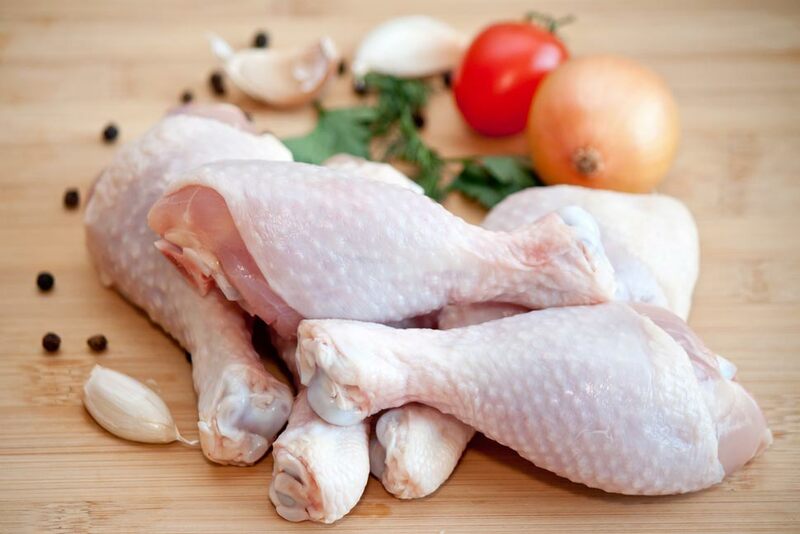 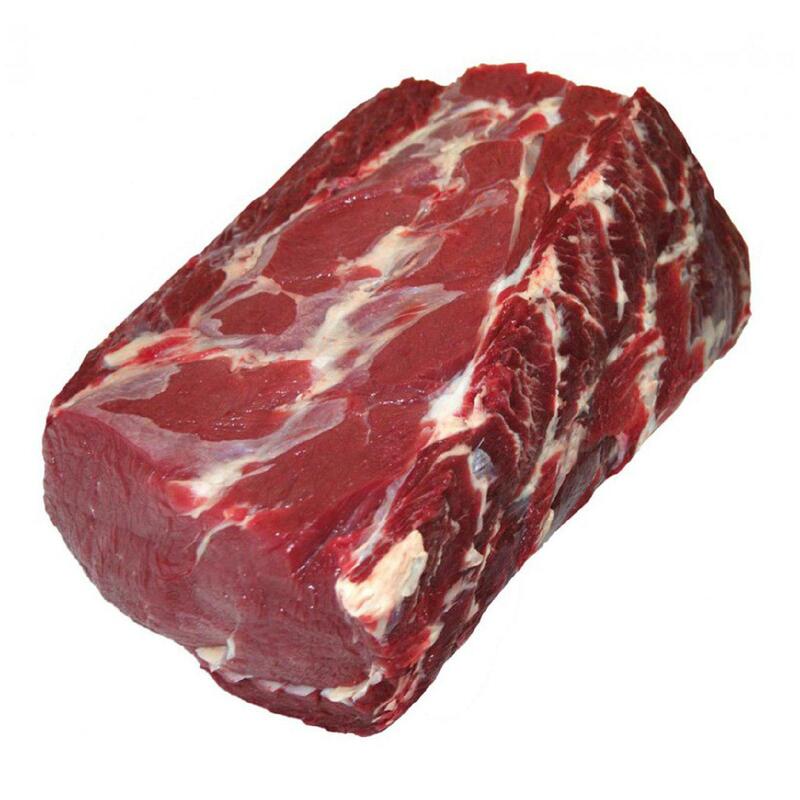 We are able to provide our customers with fresh and frozen carcasses, and the whole range of cuts could be produced in our own cutting plant and be packed in our packing unit, according to our clients’ requirements. 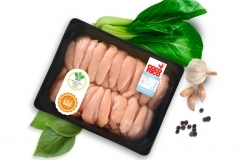 The packing and labeling that we can provide our clients with, meet the European Union regulations, also can be adapted as per particular needs. 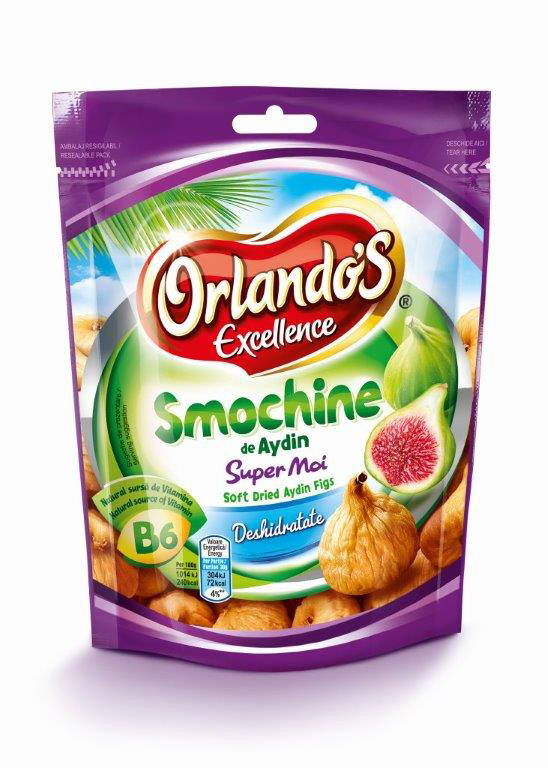 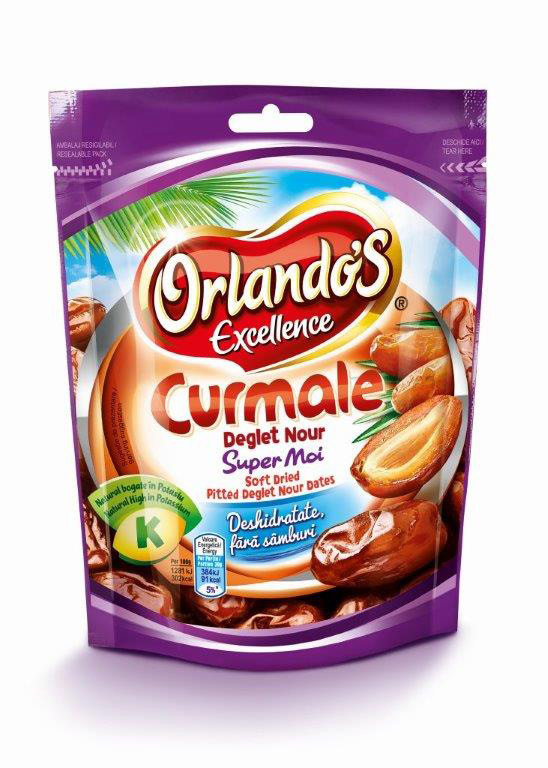 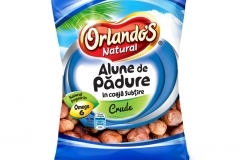 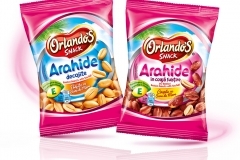 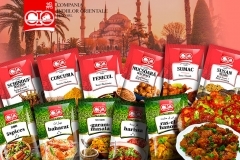 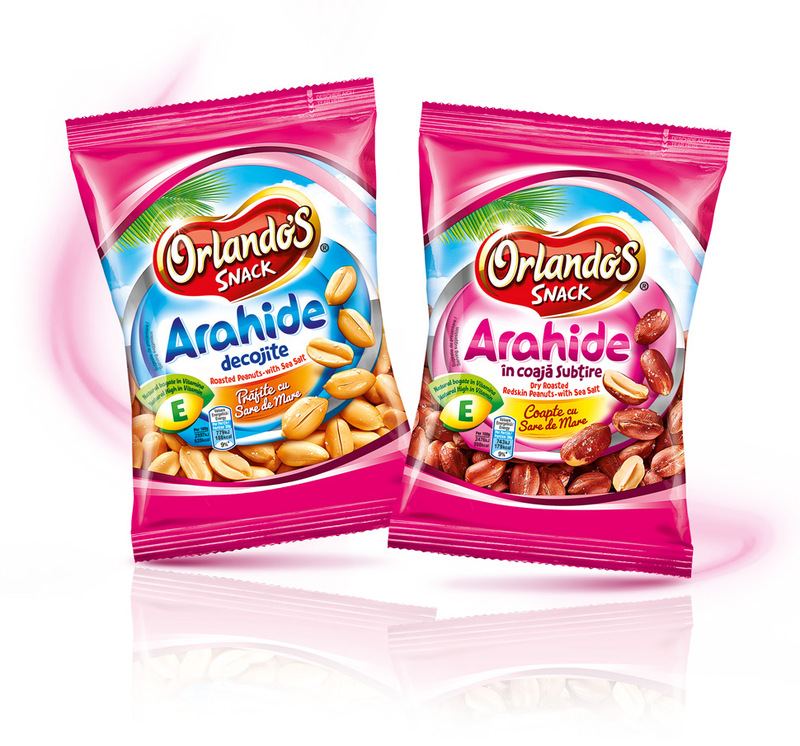 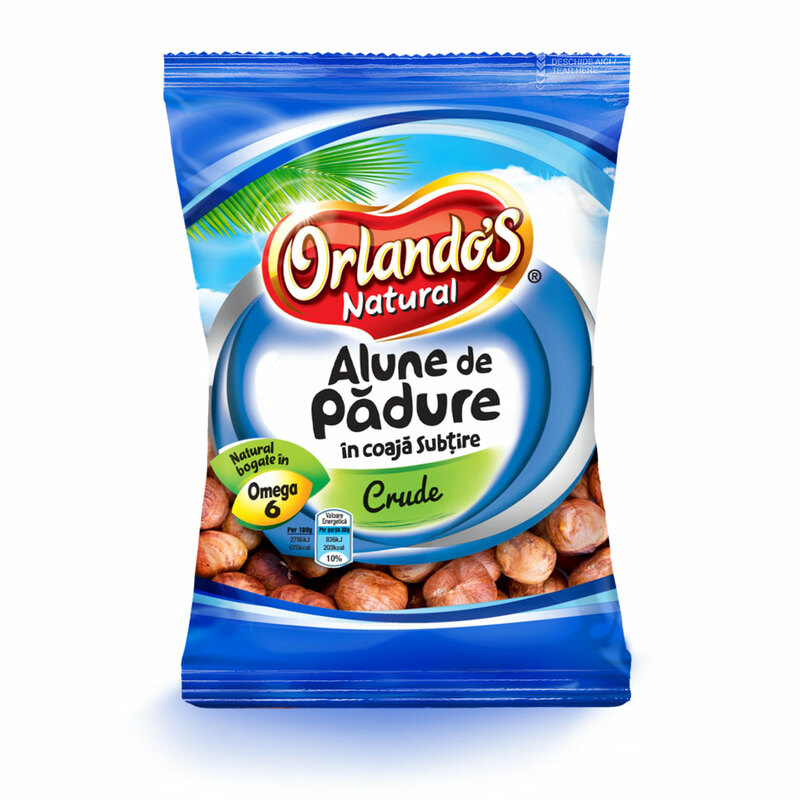 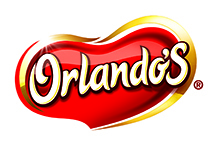 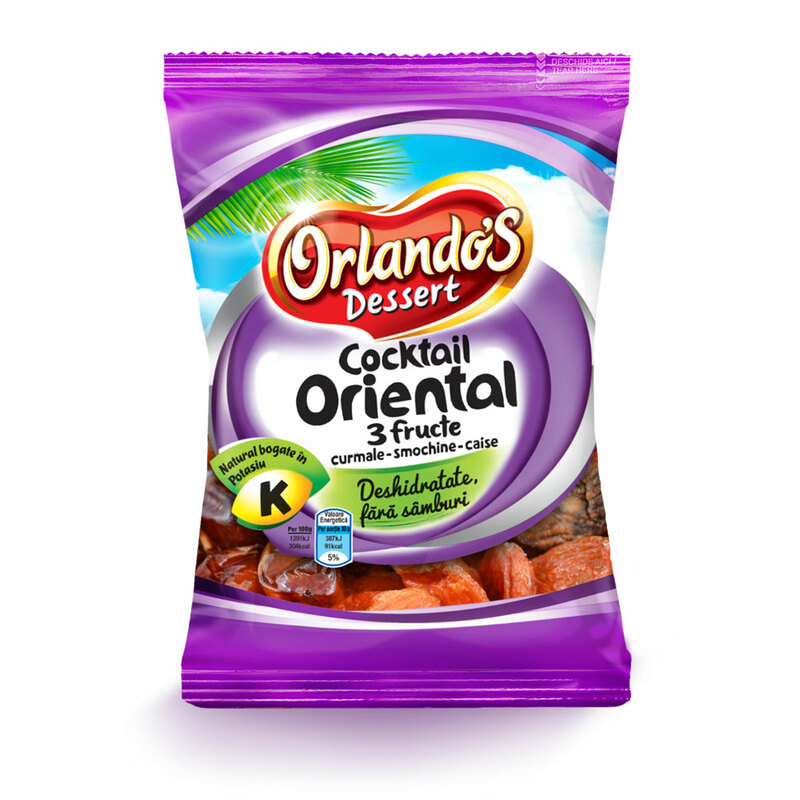 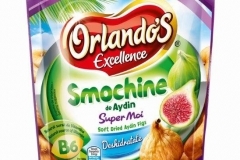 Founded in 1994, Orlando Import Export 2001 Company comes from a passion and a careful research of the owners to find the entire genuine and authentic flavor around the world. 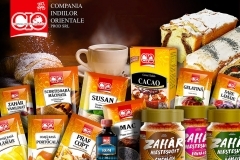 As a result, we obtain outstanding products offered daily to the clients. 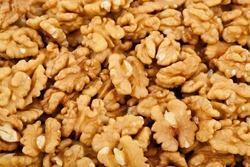 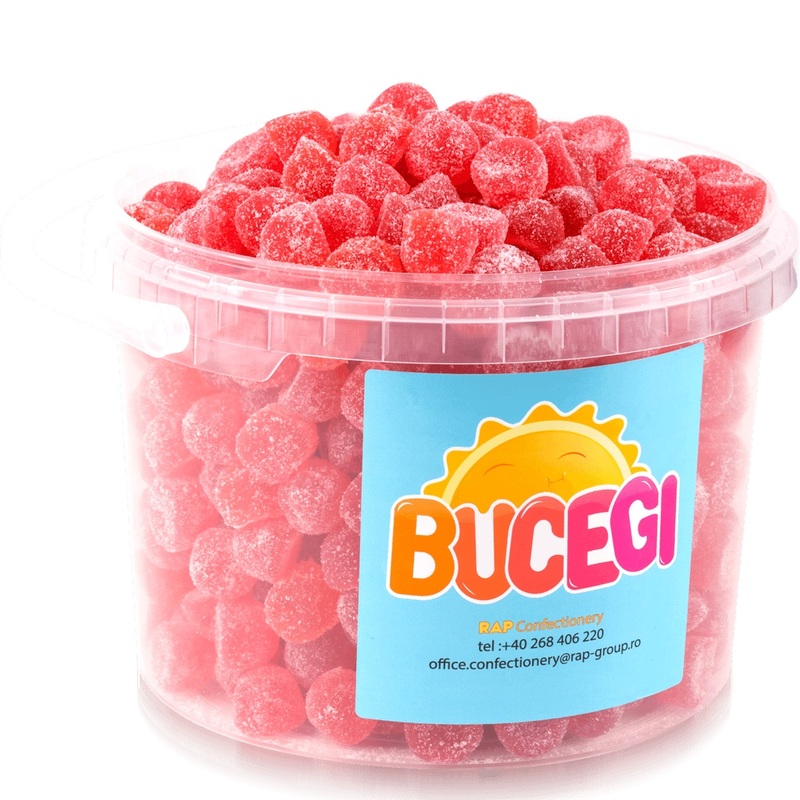 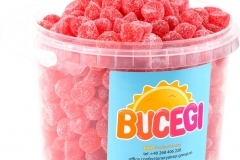 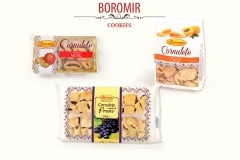 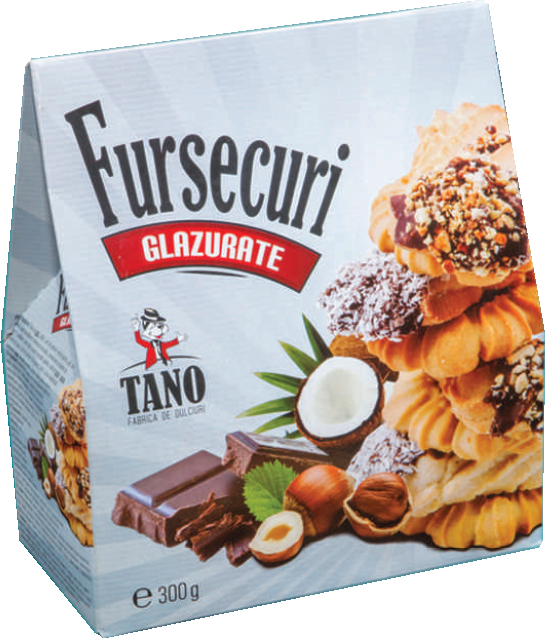 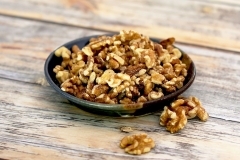 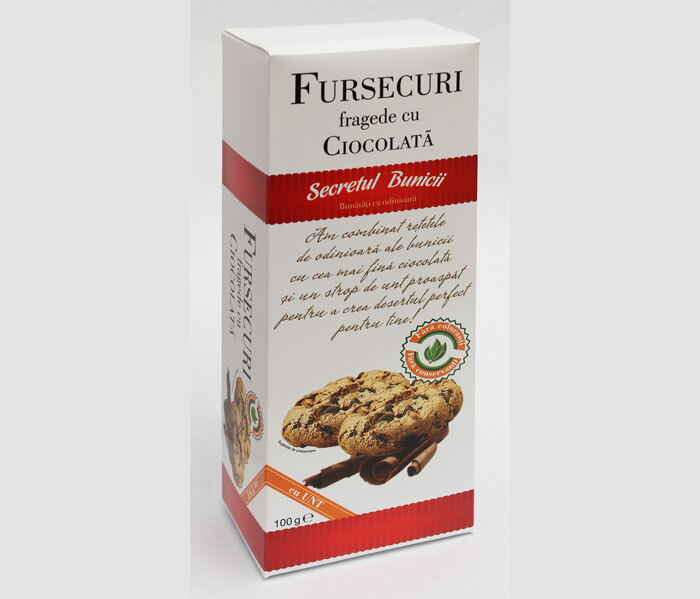 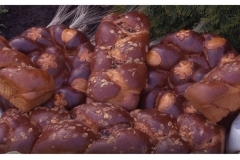 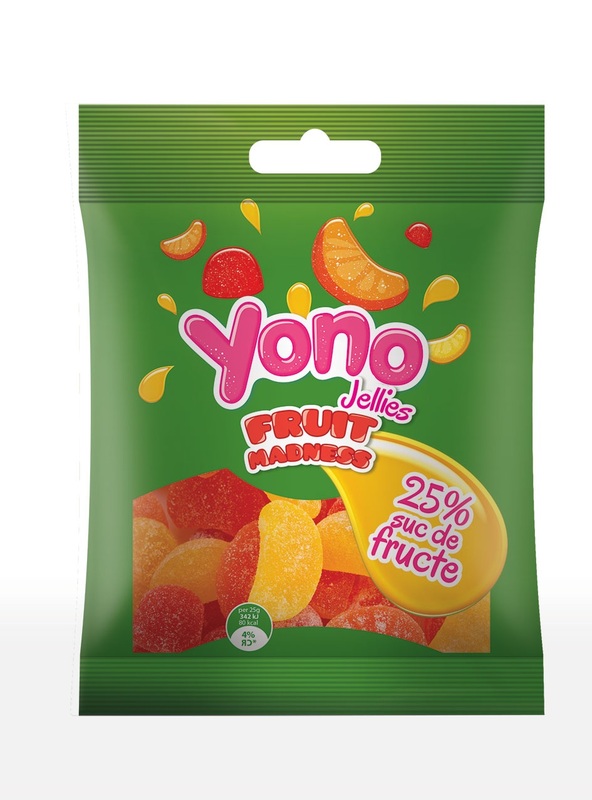 Our activity is to processing and packaging dried fruits, nuts and snack products, spices and products for pastry. 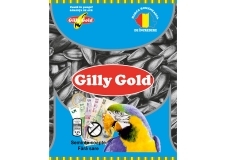 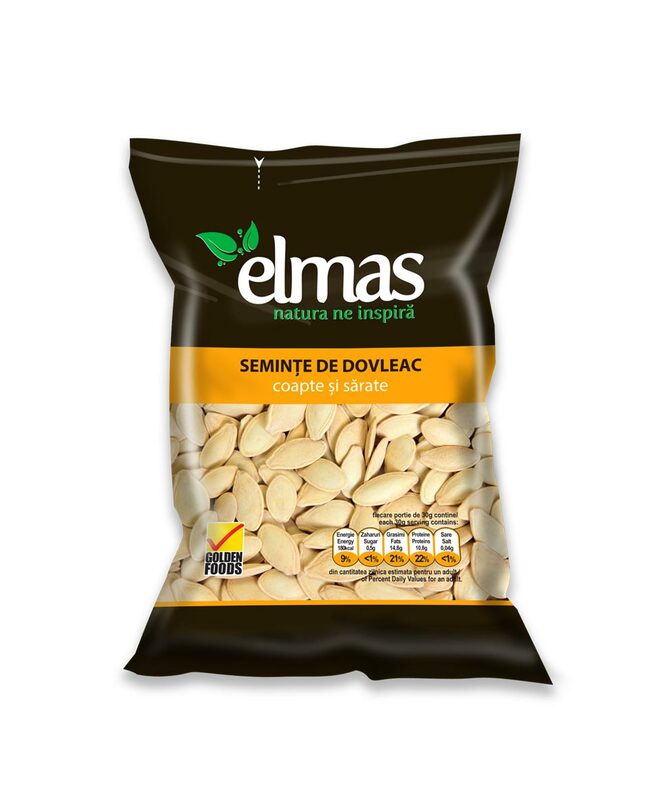 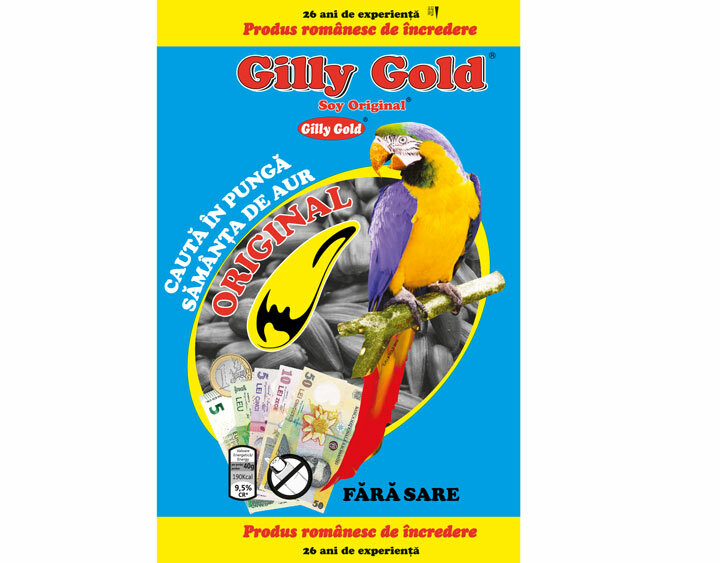 We are market leaders in the field of dried fruits and one of the leading operators in the field of seeds and oleaginous products. Address:Sos. 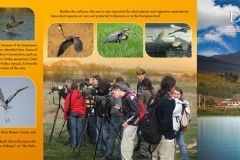 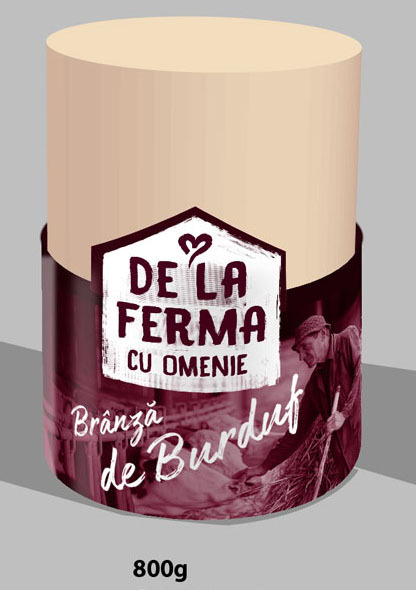 de Centura nr.5, Com. 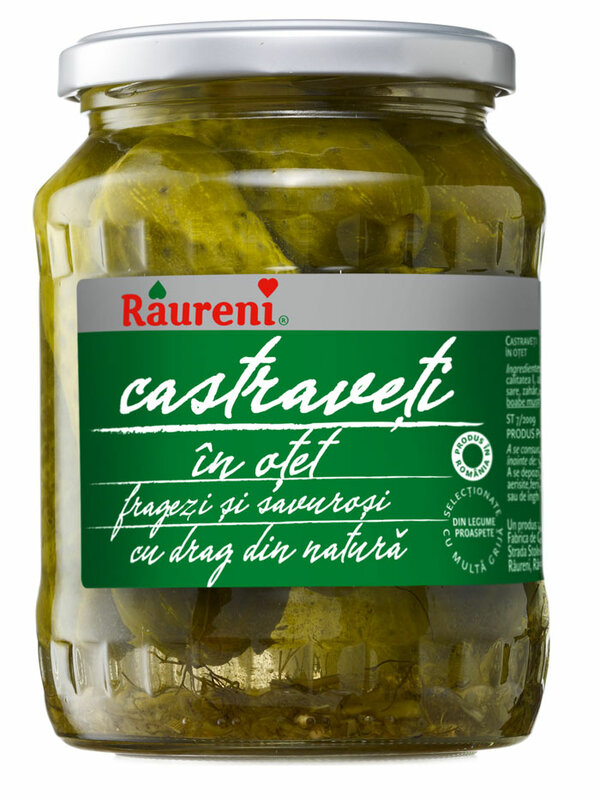 Clinceni, cod 077060, Judet ILFOV. 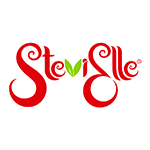 Address:Str. 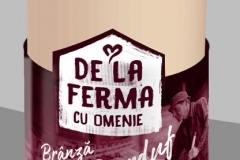 Valea cu Tei, nr. 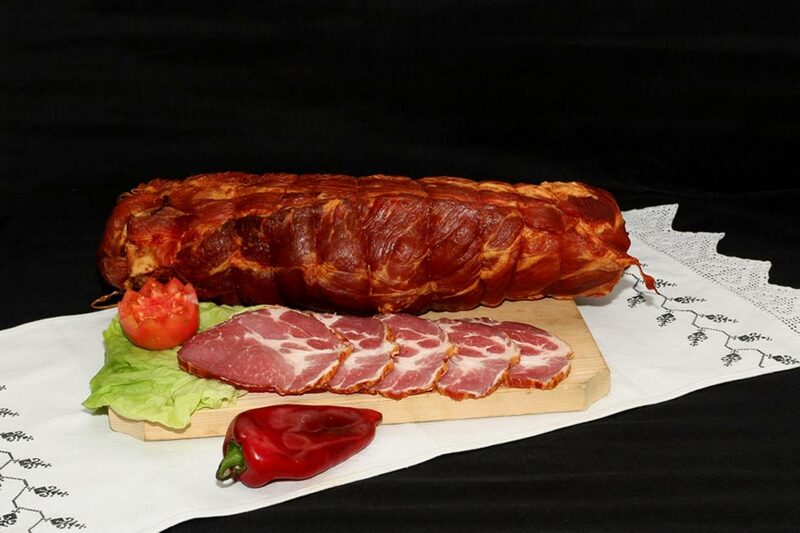 7, sat Greci, comuna Greci, judetul Tulcea. 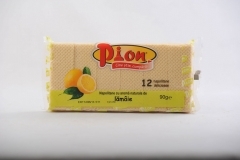 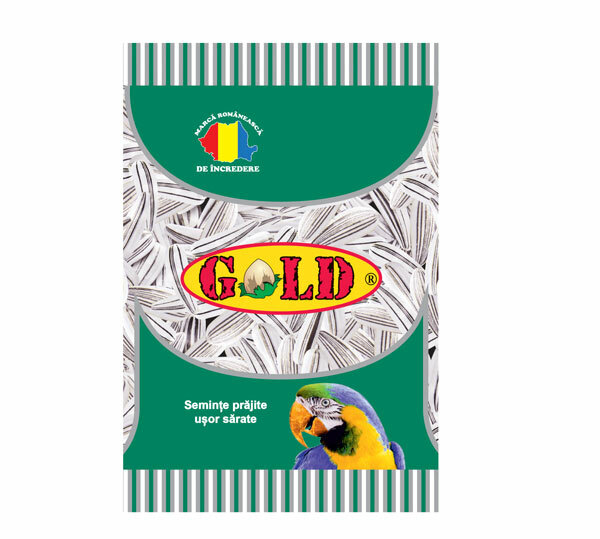 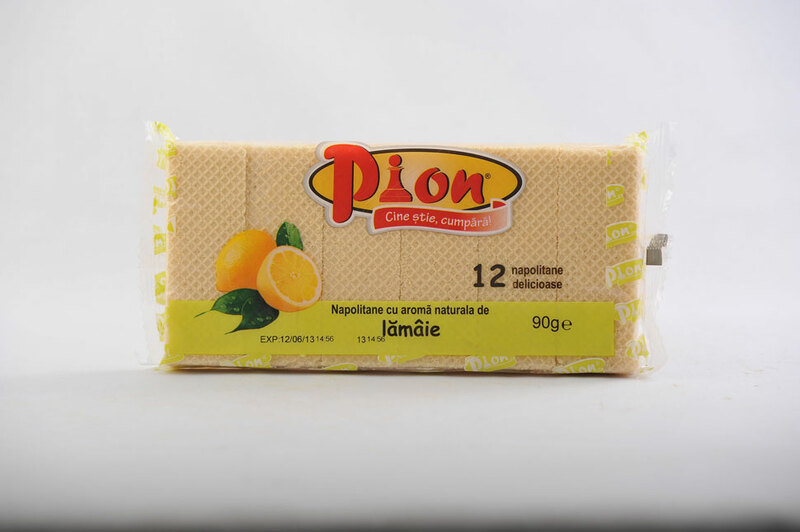 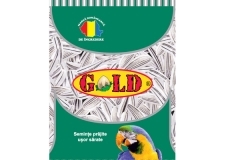 Pion Impex SRL was founded in Romania in 1992 as a family company. 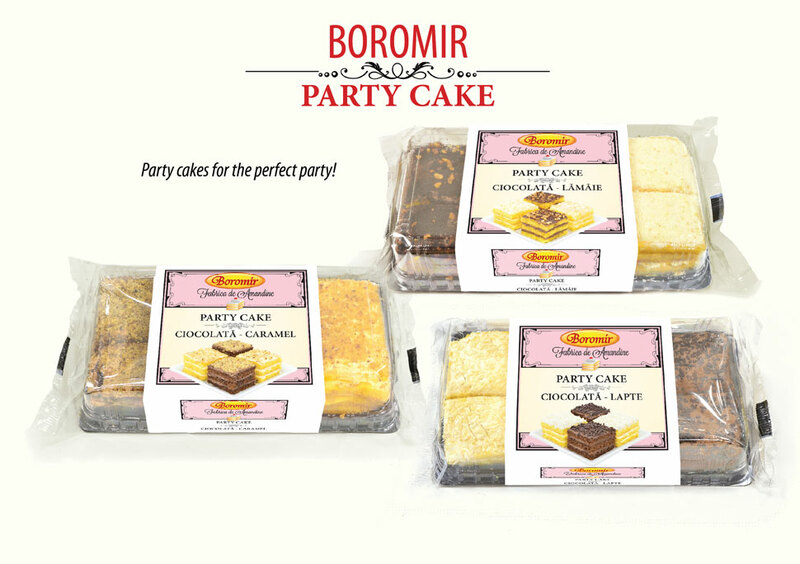 Family members handled the entire process of production and selling of cakes…etc. 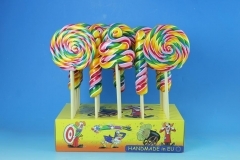 The growth of the company was realizedstep by step, with many obstacles on the way, but continuing like a pawn on the chessboard. 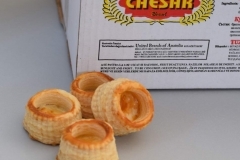 The company’s name was given after the chessboard pawn. 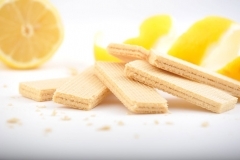 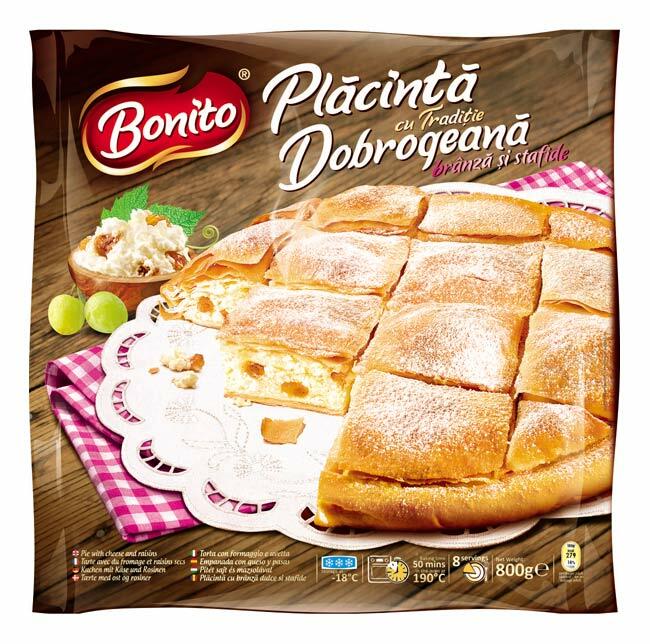 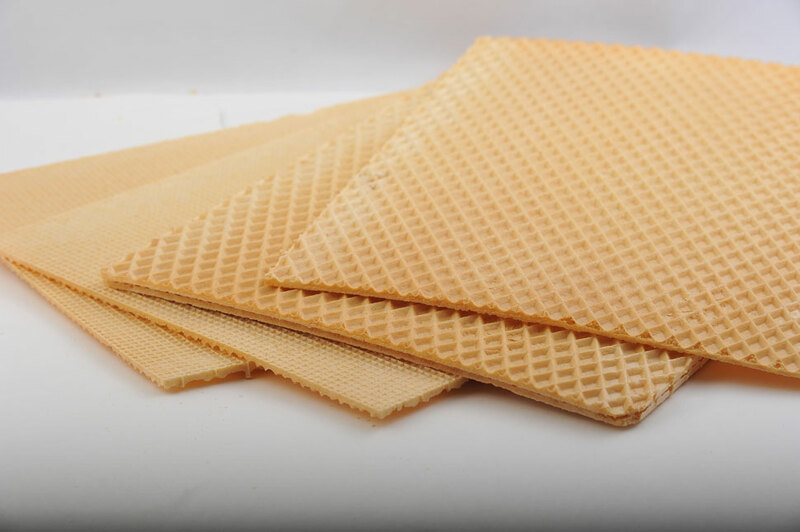 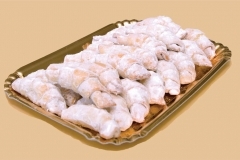 We started making cremeschnittesheets, which triggered the expansion of our sales throughout the country, followed by wafers sheets that have a good tradition among the housewives in Romania. 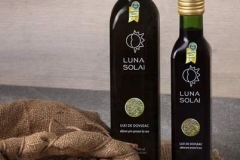 With the opportunity to access European funds, we succeededto expand and diversify our production based on two successful projects in amount of 1.920.000 EUR. 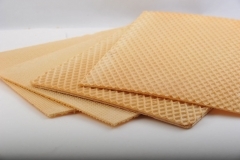 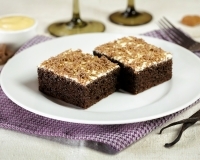 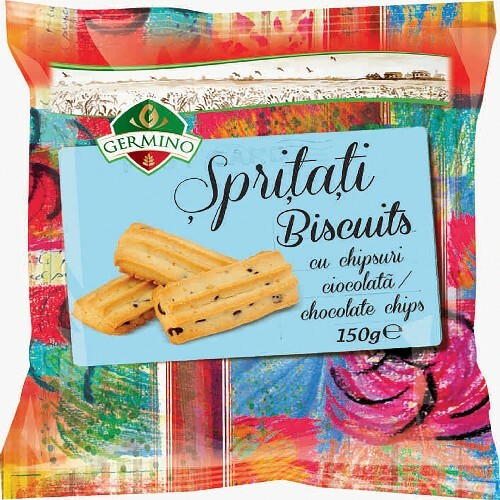 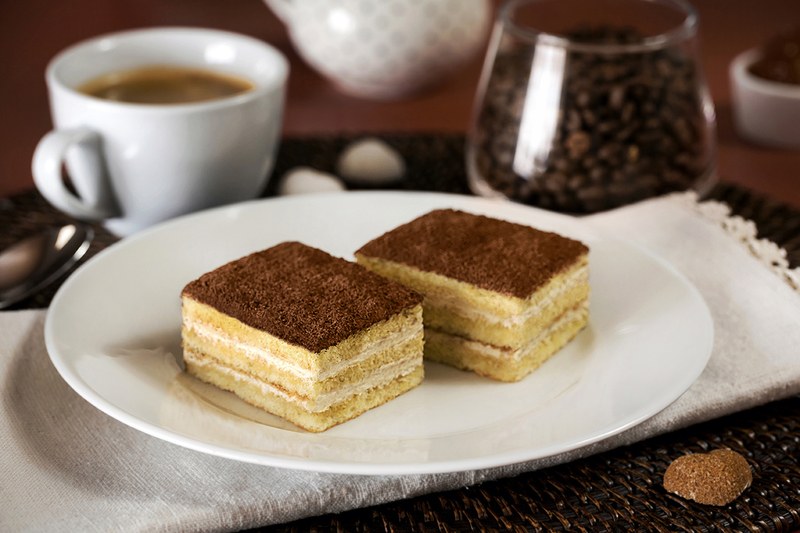 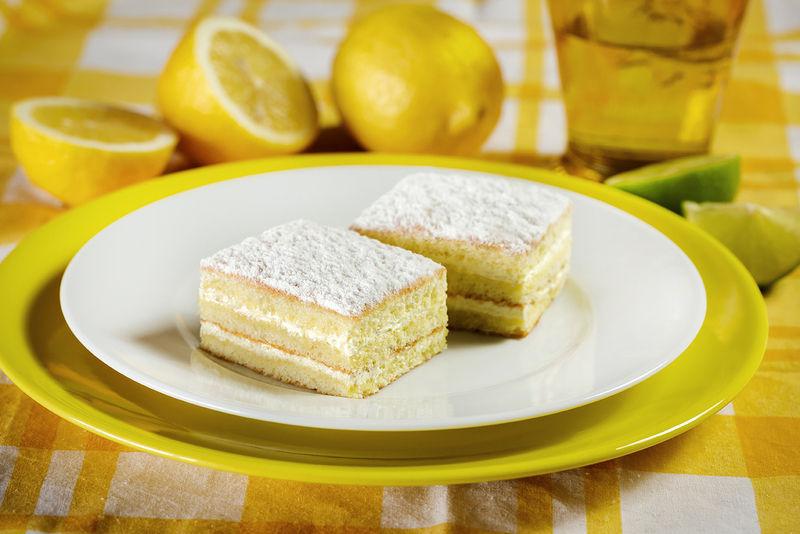 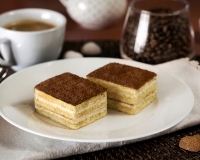 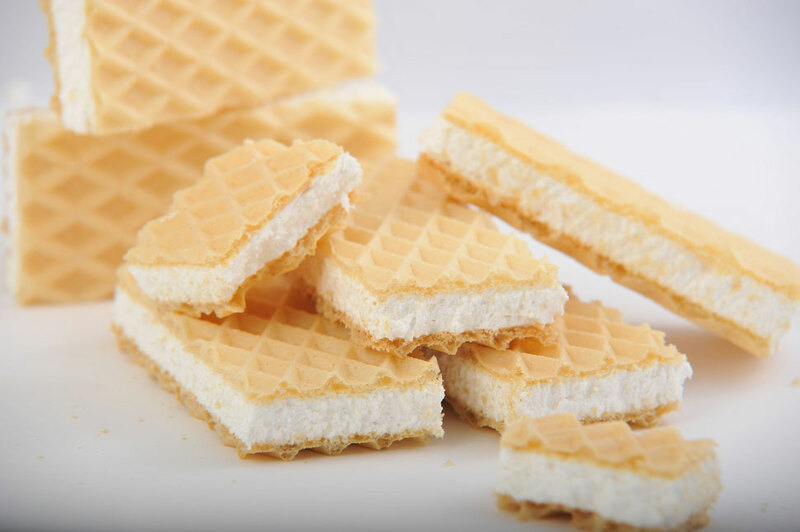 Over the years, we have diversified our portfolio of products so we now have the following: cremeschnitte sheets, wafers sheets, wafers with cream,chocolates, nougat, cake, sponge cakes. 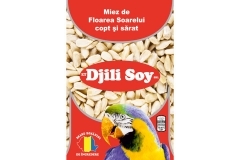 We are present on the Romanian markets in cash & carry and retail networks and we export part of the production to the Romanian communities in the diaspora. 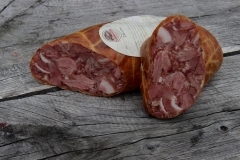 Porcellino Grasso started in 2010 in an old, deteriorated former communist farm. 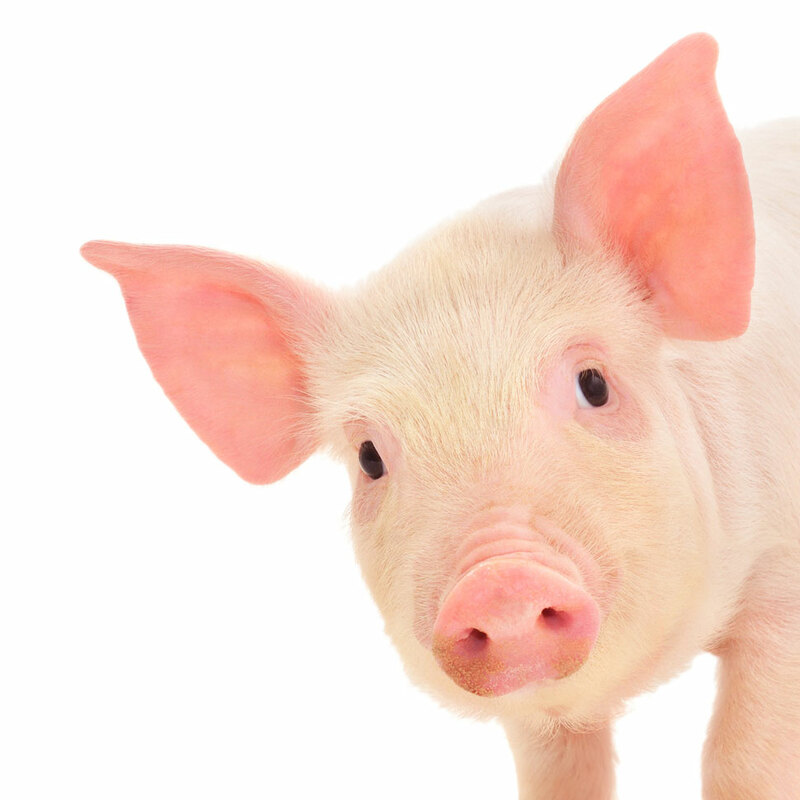 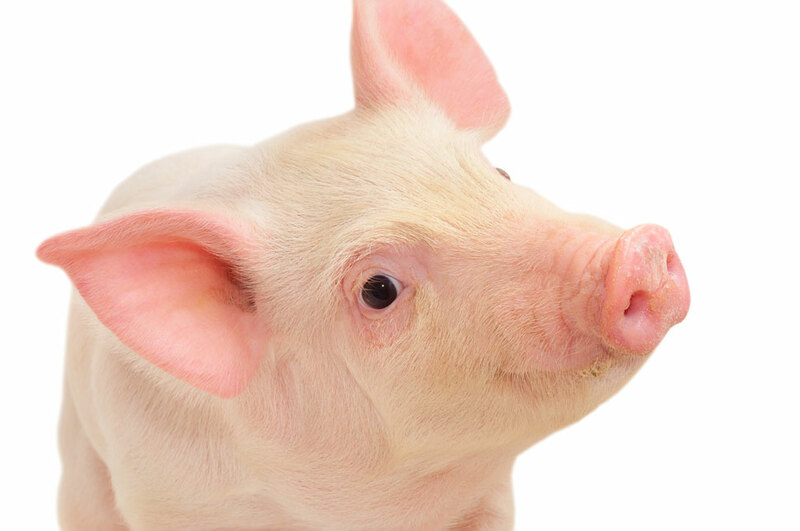 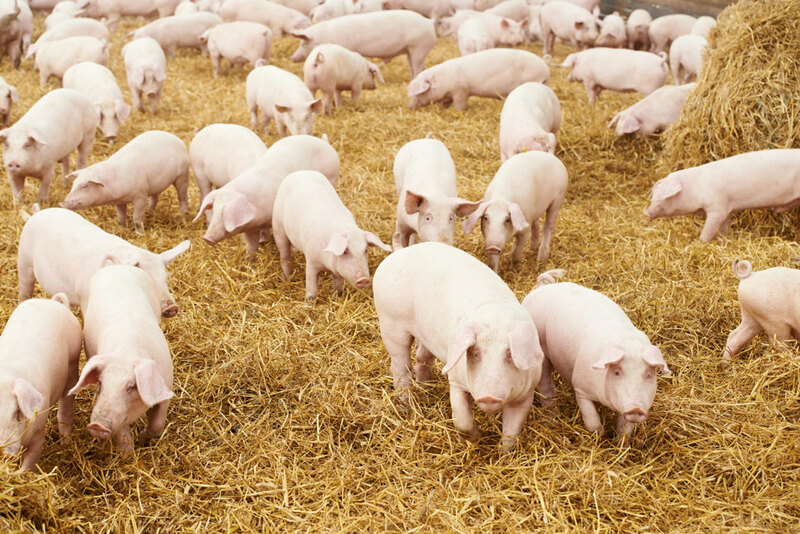 Understanding that feedinghappy and healthy pigs means tasty pork meat for end customers, the company invested money and energy to transform the farm completely. 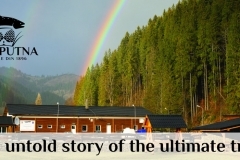 It started with ventilation and water systems. The feeding lines were updated and fully automated, the building was entirely refurbished, from isolation to dome.Nowadays, Porcellino Grasso is a modern pig farm, endowed with tunnel ventilation system and semi-automated air intakes. 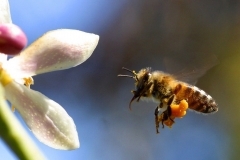 Updating technologies carries on, as the team is implementing automated micro-climate surveillance and control systems. 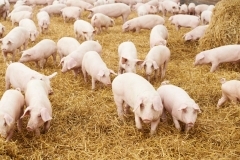 Today, Porcellino Grasso has 11 modernised pig stables that feed over 100,000 finishing pigs yearly, in 3- 4 series. 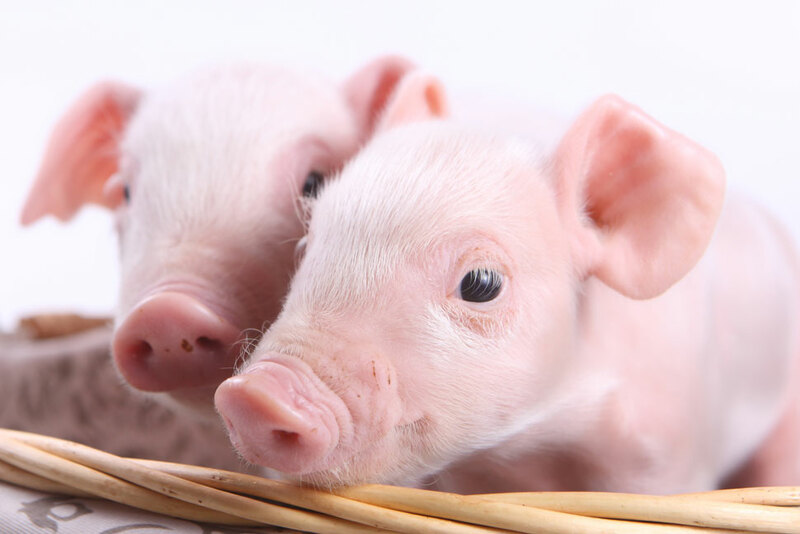 The business capacitates 29,700 animals each serie, taking care to insure optimised living and sanitary-veterinary conditions for the growing hogs. 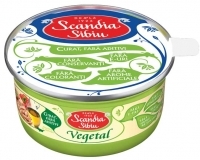 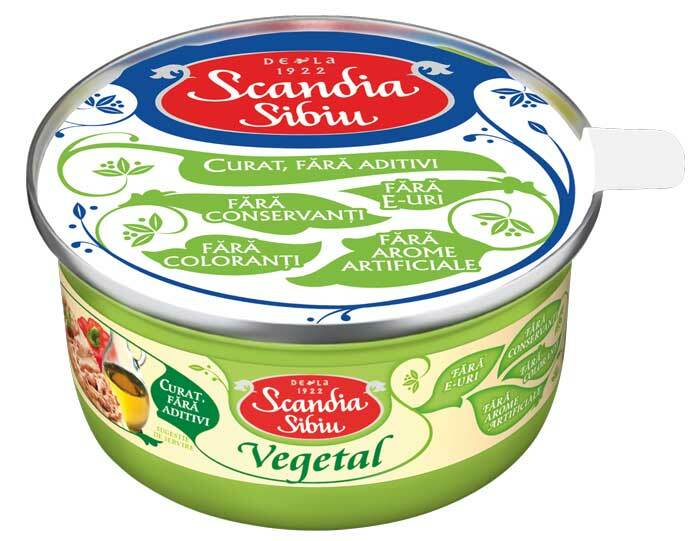 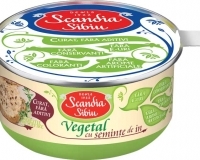 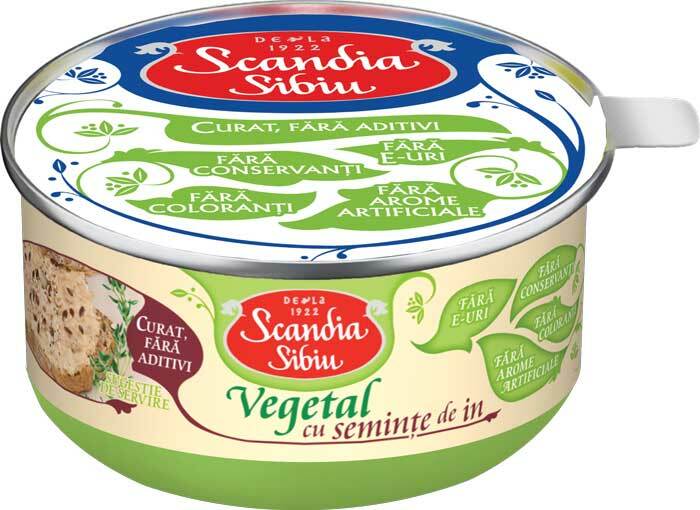 I’m honored to present our company, Prefera Foods from Alba Iulia, Romania, a canned food producer. 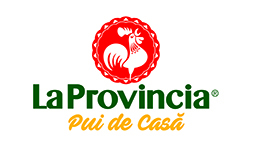 We are established on 2009 and from then we are continuing to grow up step by step. 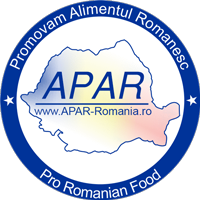 First of all we conquered the romanian market and from 2013 we export in Italy, Spain, UK, Cyprus, Greece, Sweden and other countries. 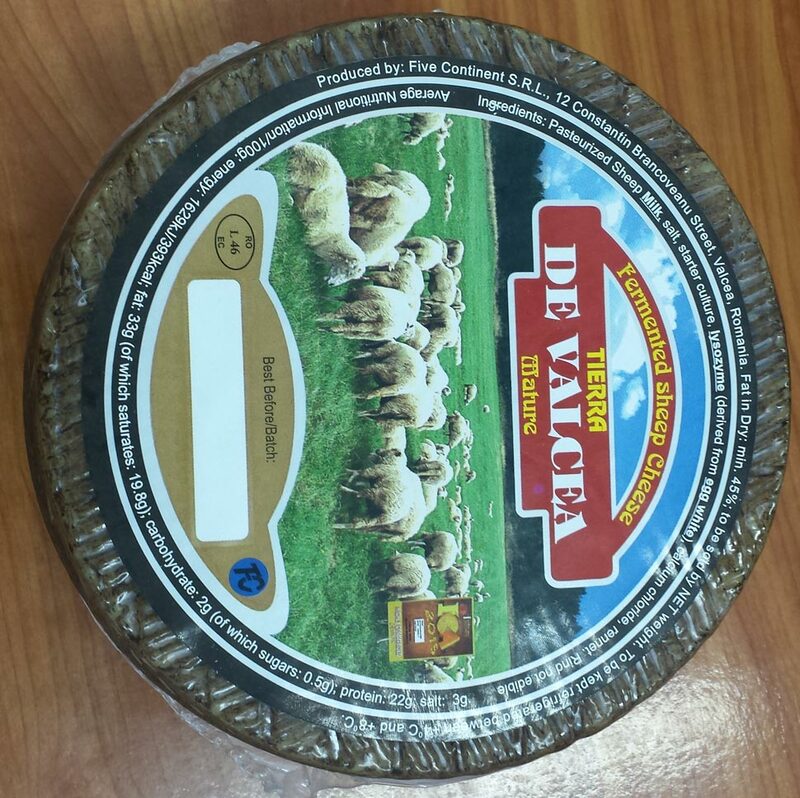 Our turnover was 8400000 euro in 2015 and we hope that this year we’ll arrive at 11.000.000 euro with the help of export. 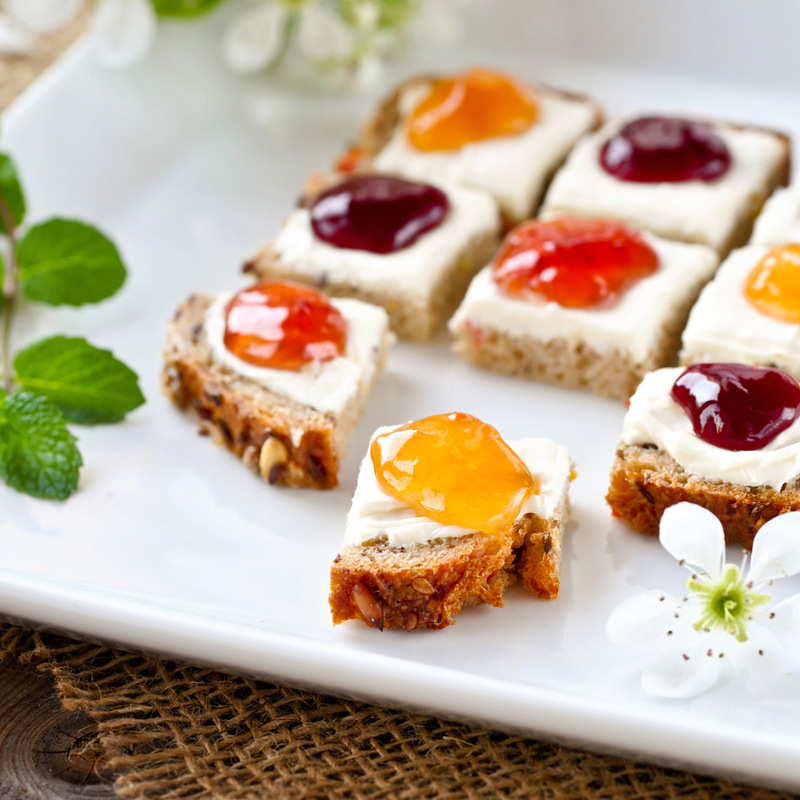 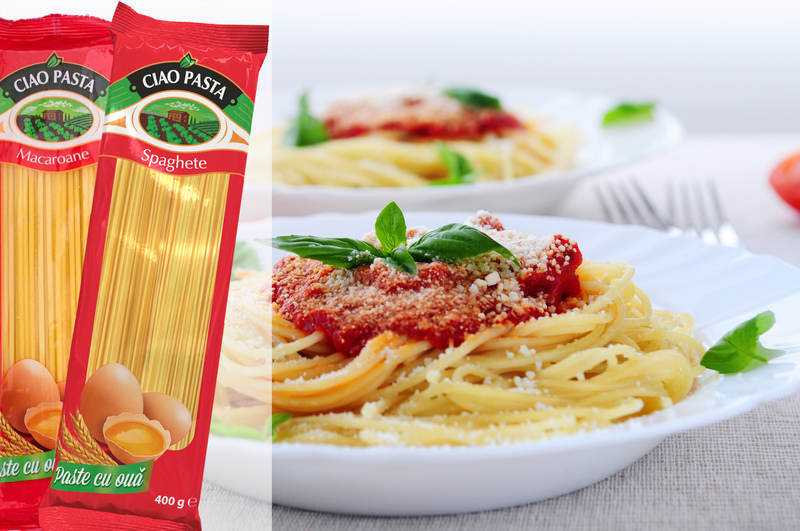 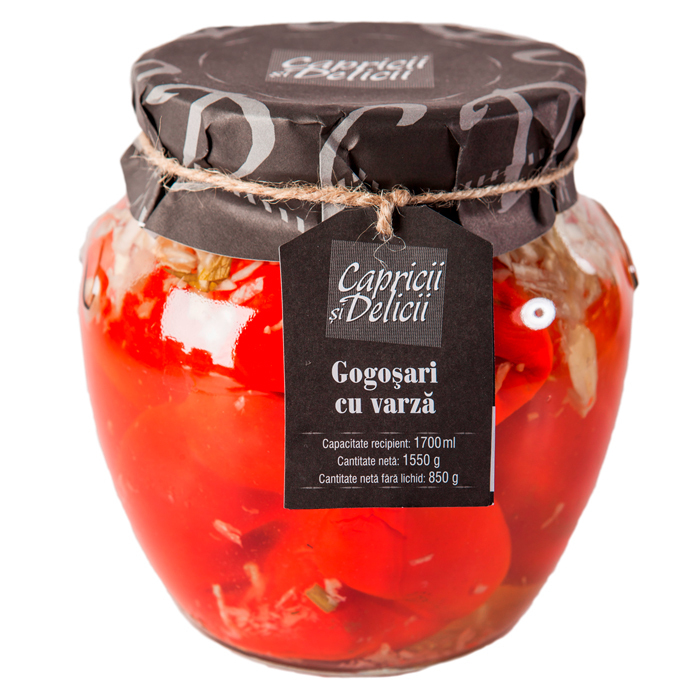 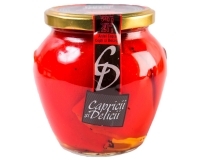 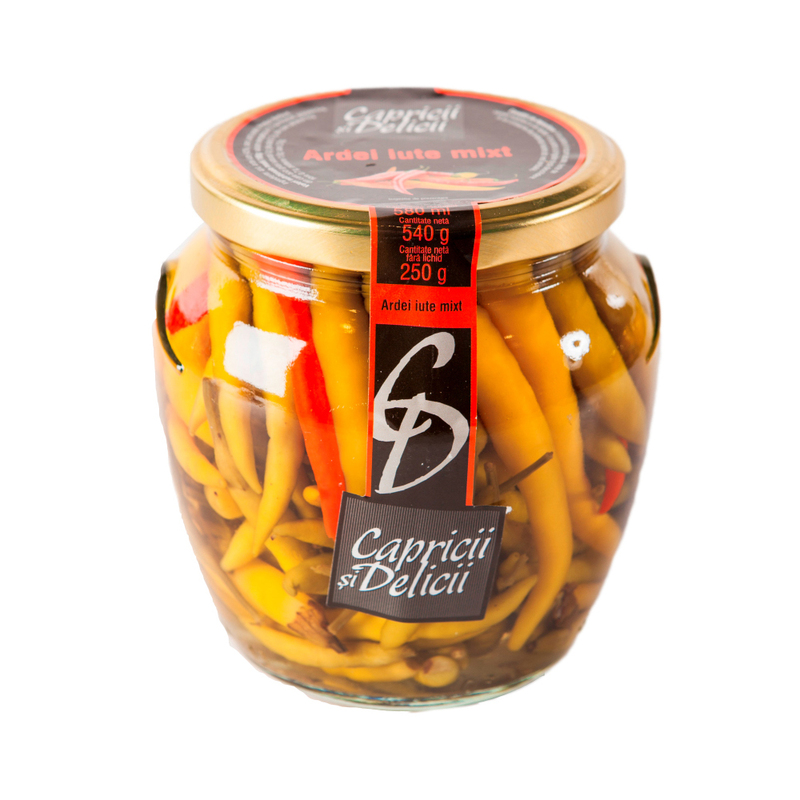 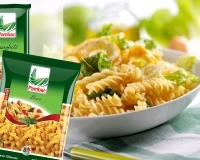 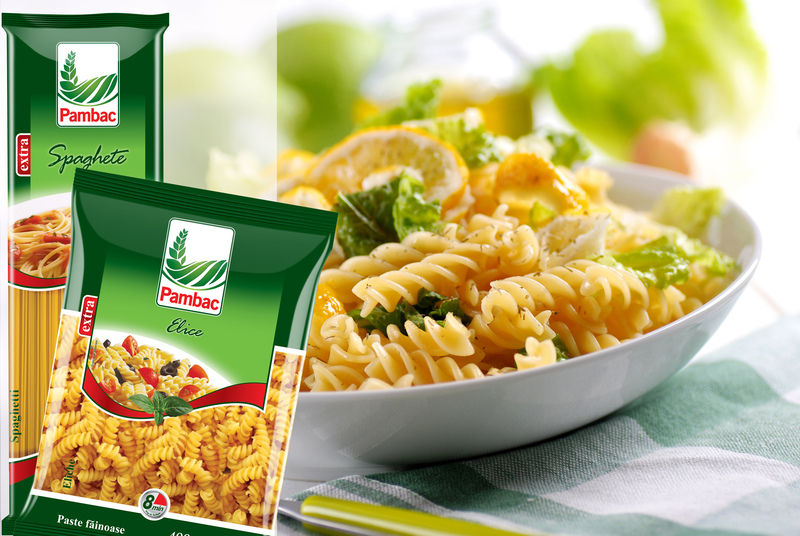 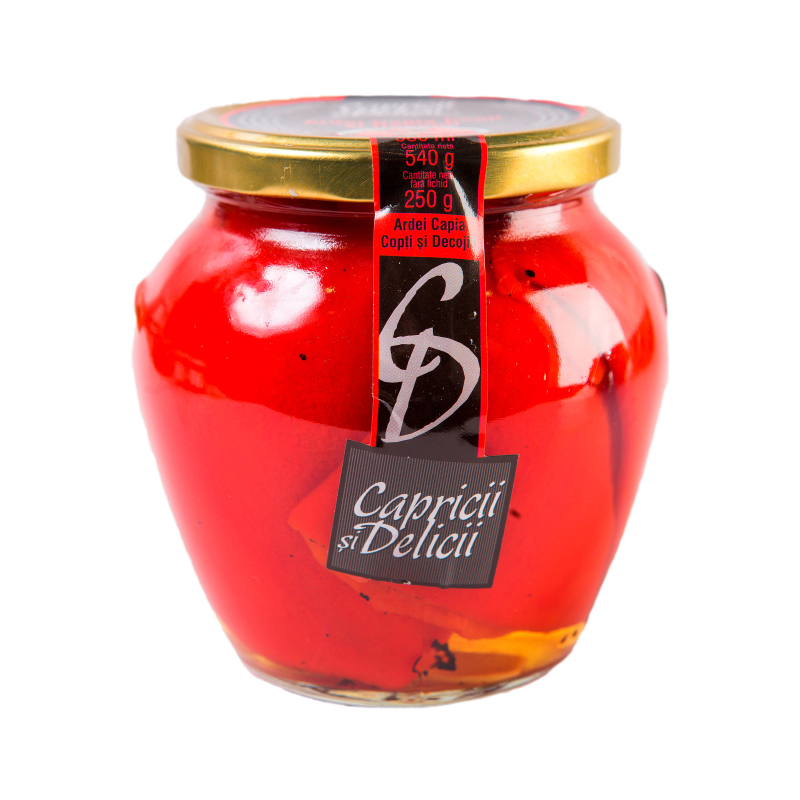 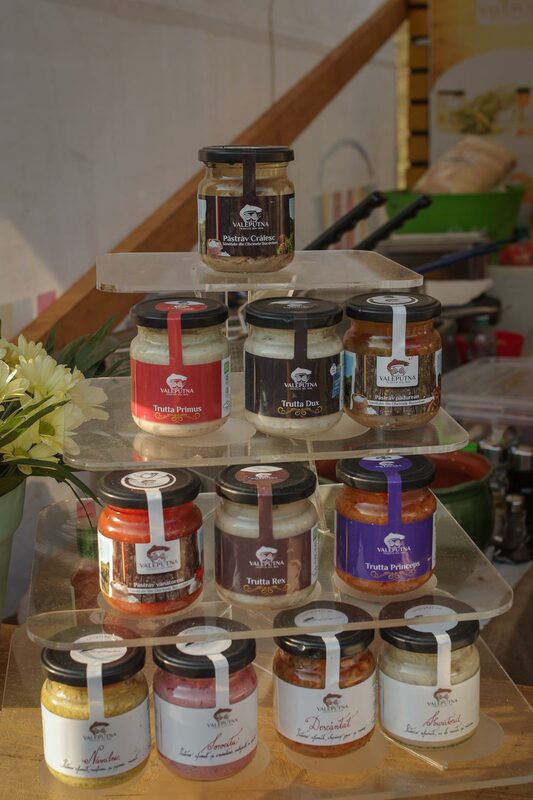 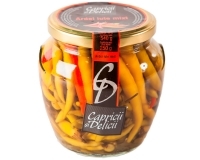 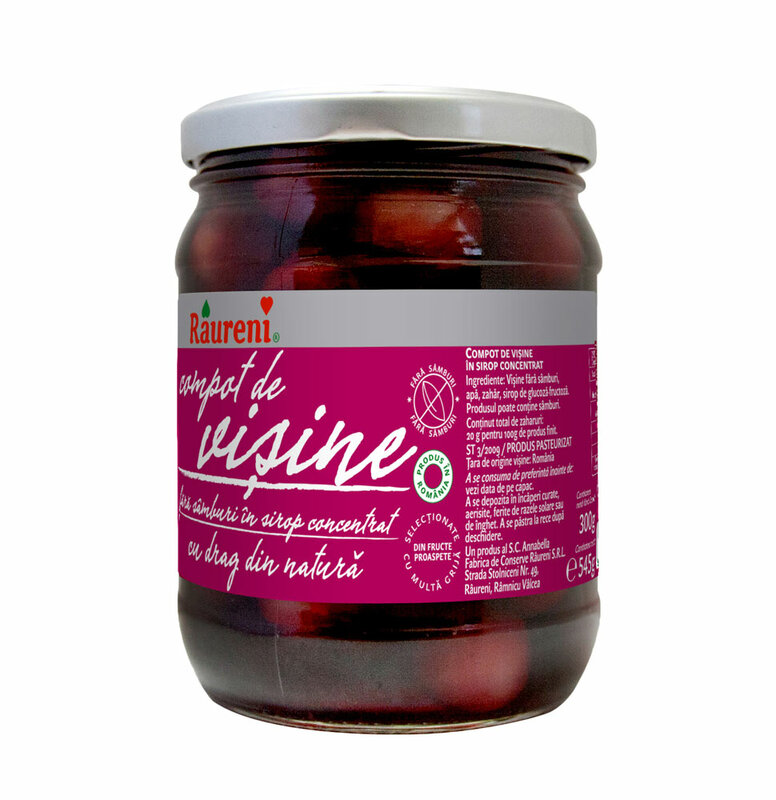 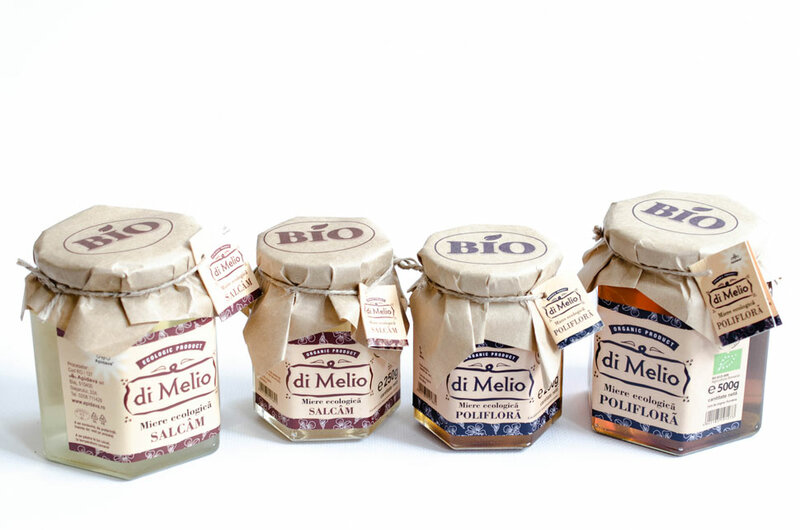 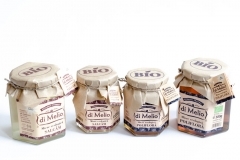 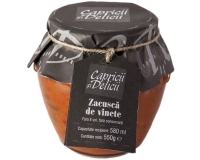 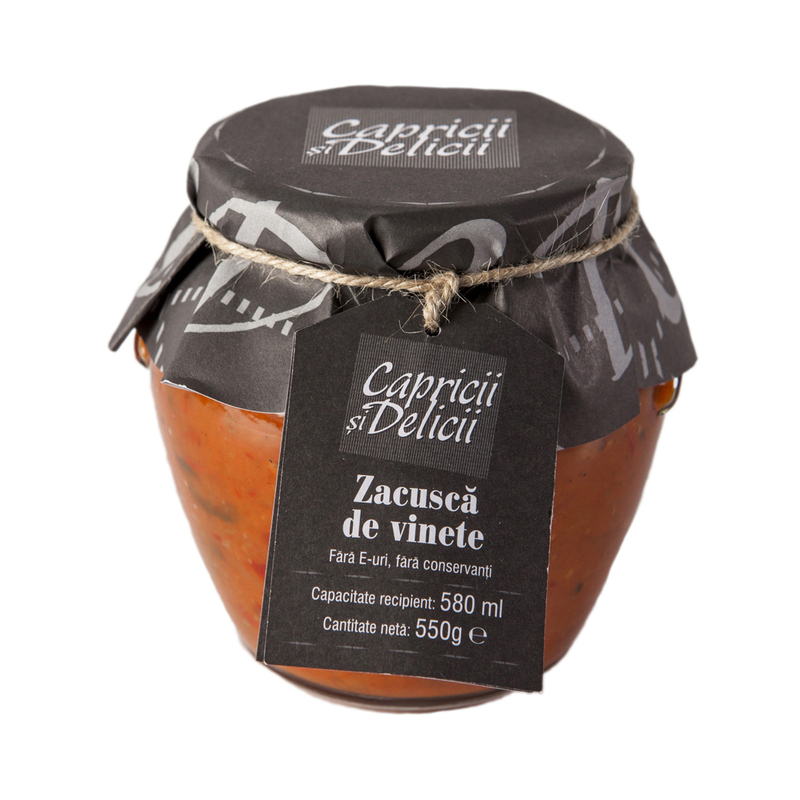 1) Capricii si delicii – where you can find our BIO products and our NO-E and preservatives products. 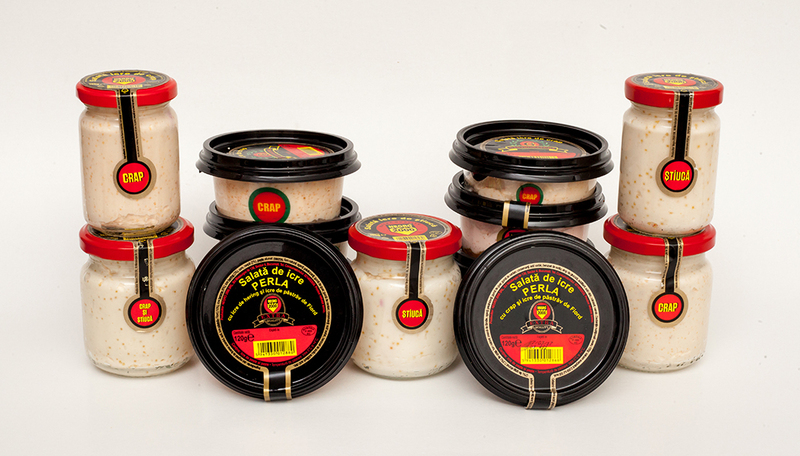 2) Meniu de-a gata – where you can find a large range of ready meal products. 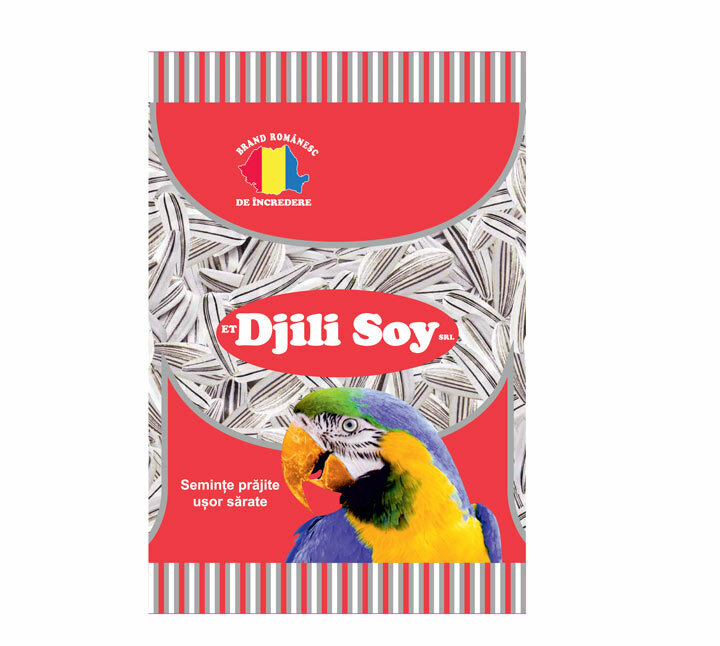 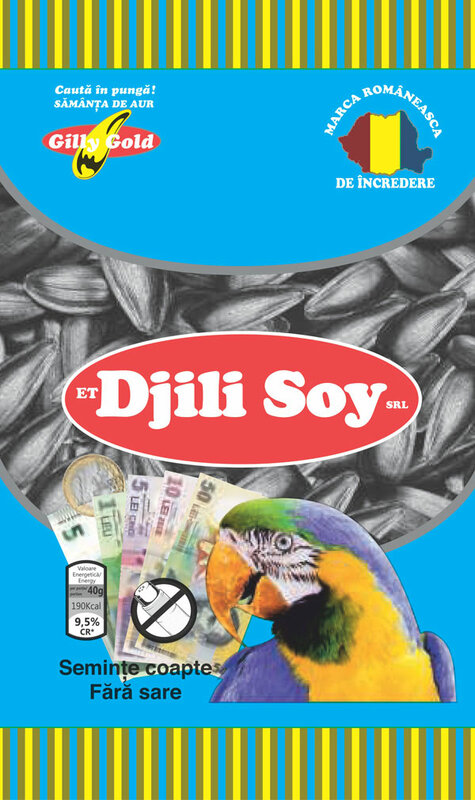 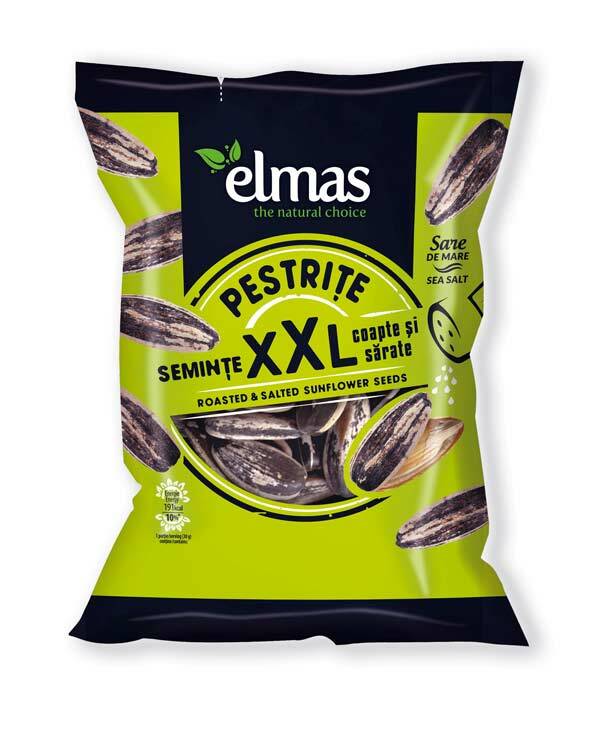 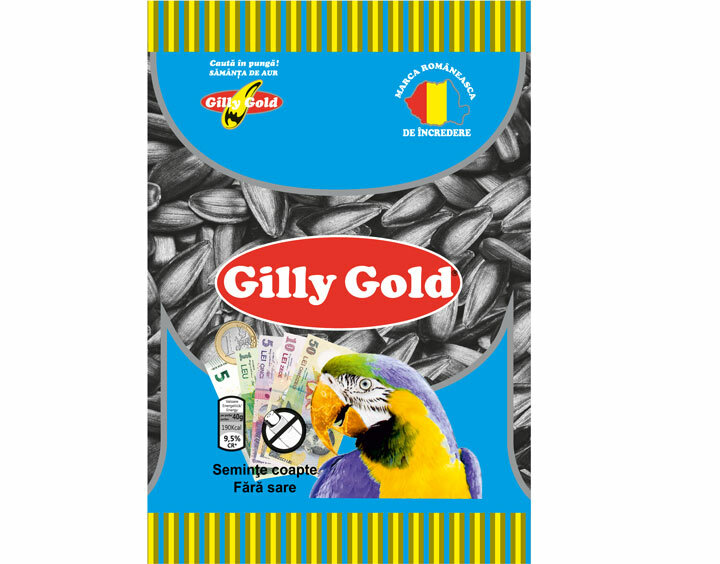 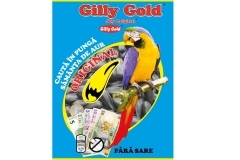 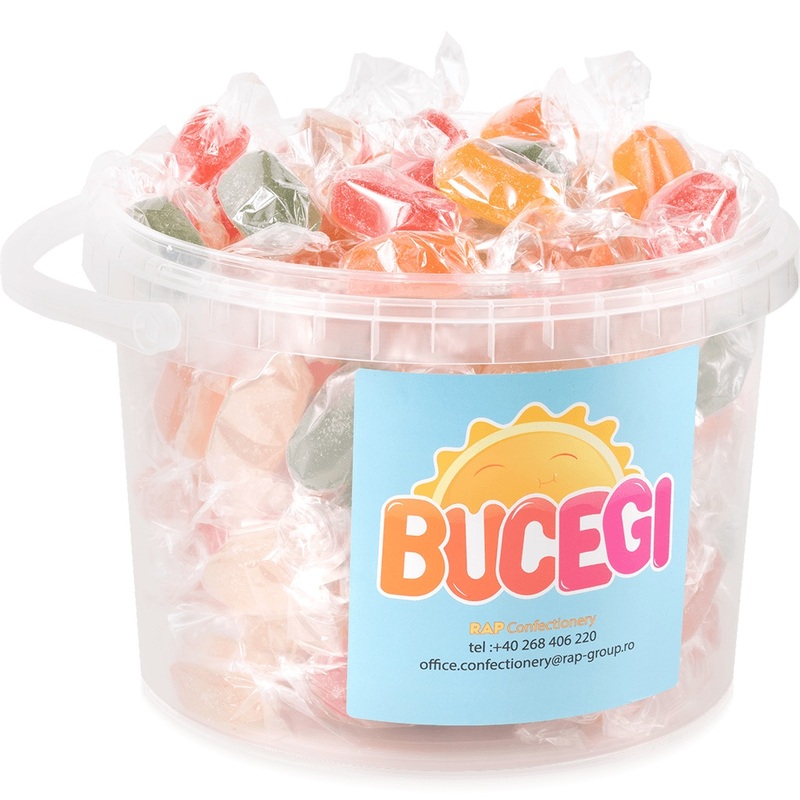 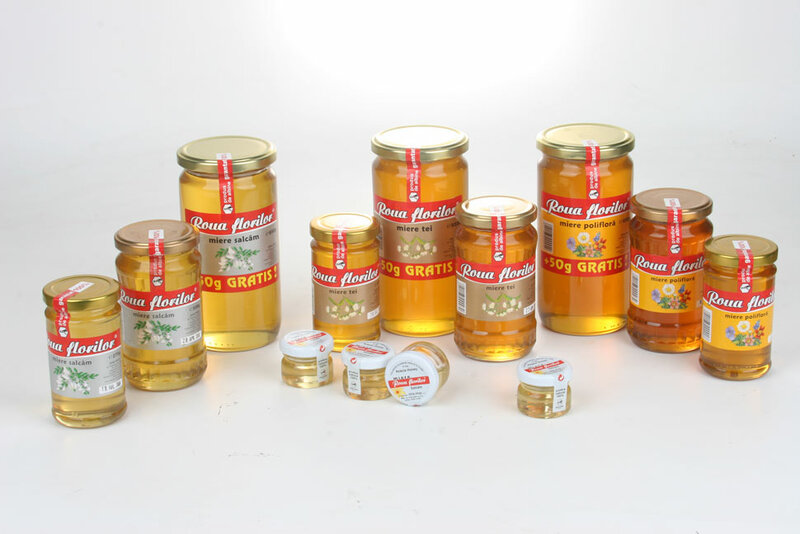 We expand our range of products from the last year also with other products as: a large range of pickles, corn flour, beans and other traditional or international products. 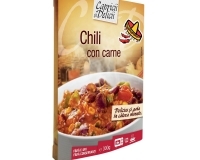 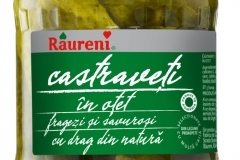 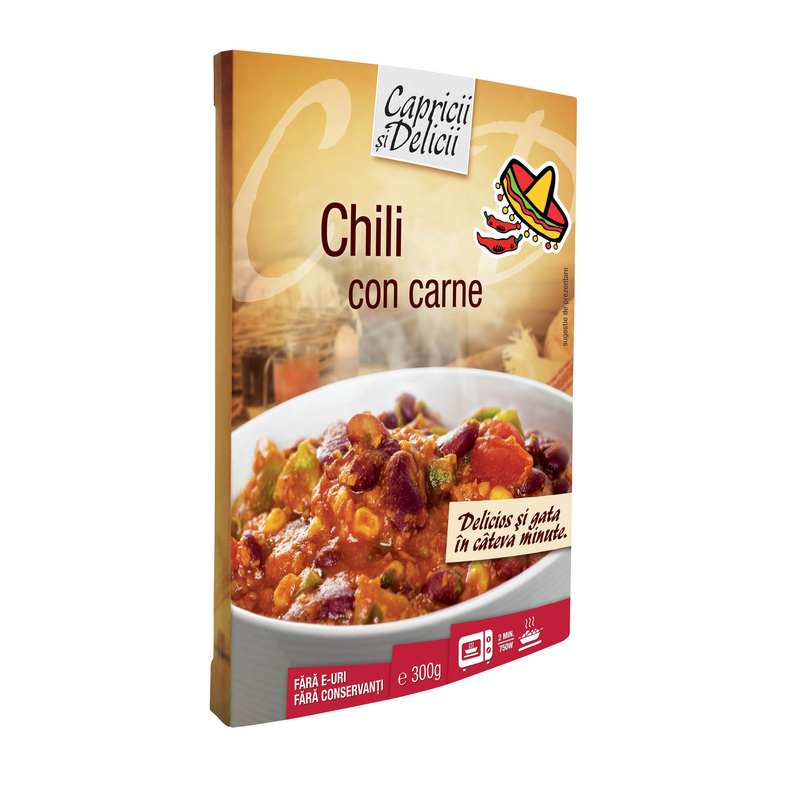 You can choose also form a high range of casseroles products with products made under international cuisine recipe. 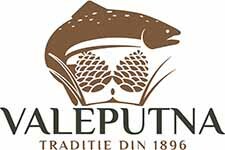 Our company, Quality Natural, based in the Northern part of Romania, ValeaPutnei village, is specialized in trout processing.The factory built through EU grants, with the best moderntechnology, carry on the ancient craft of trout smoking. 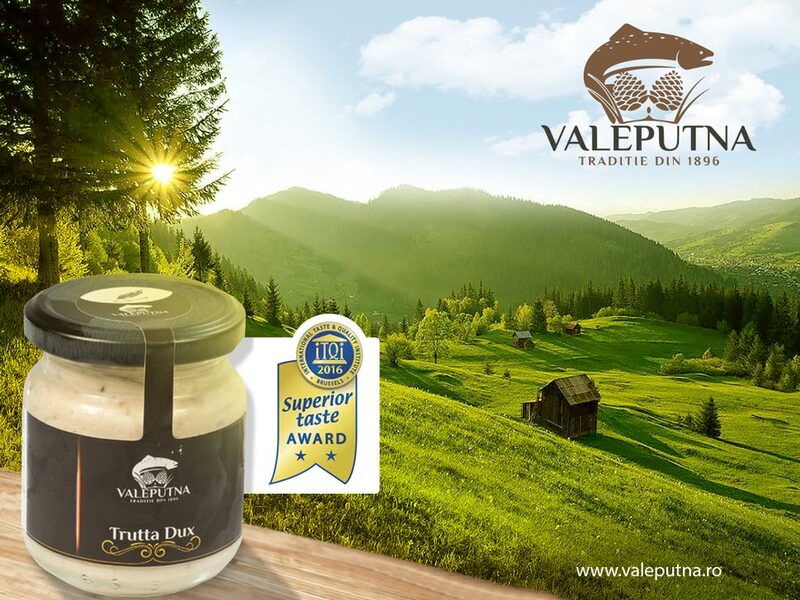 Valeputna, our high end brand, is a tribute to the first trout farm in Romania, established here in 1896. 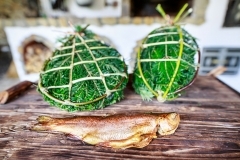 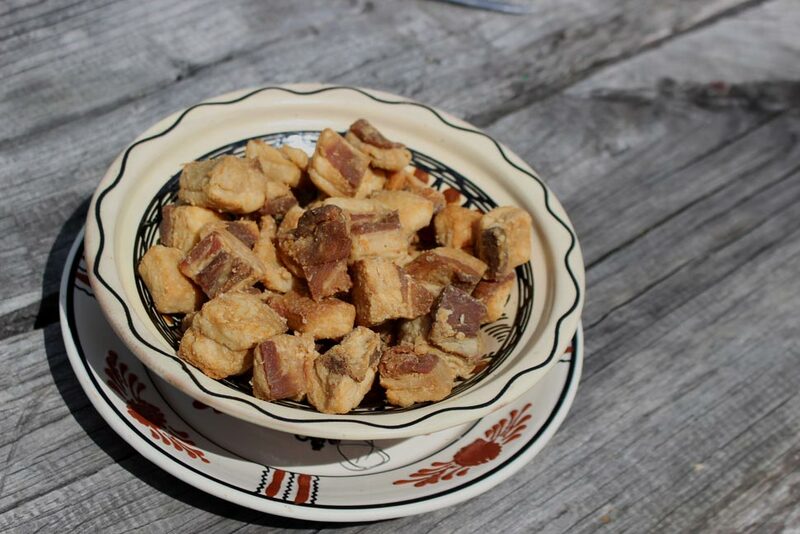 In ValeaPutnei was invented a local delicacy, the trout smoked with fir cones and beech wood, then wrapped in fir needles, sewn together with hazelnut bark. 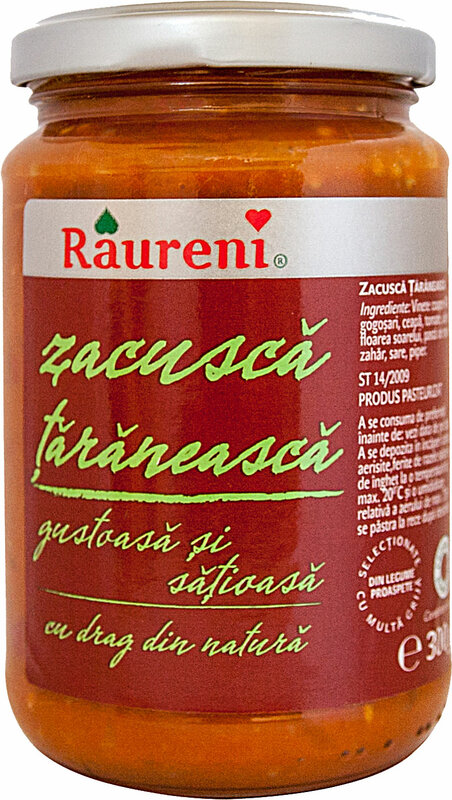 It has the shape of an old mandolin, so it bears the old Romanian name for it: “Cobza”. 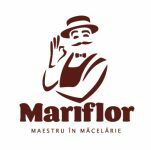 The story goes that this beautiful craft was invented in 1927 for the young Romanian prince Mihai I, which just became the new king. 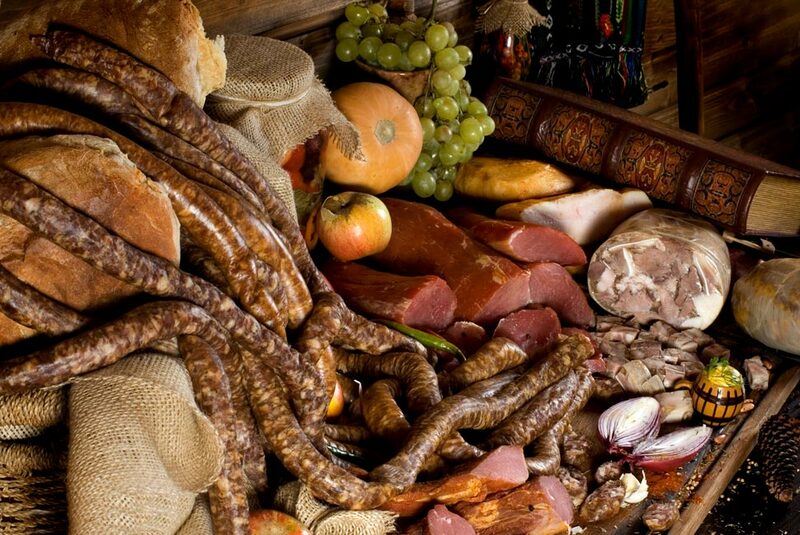 The beautiful Cobza was a gift of the community for the king, since in ValeaPutneiwas the Royal hunting Castle and here the Romanian kings were celebrating the special moments of the Royal House. 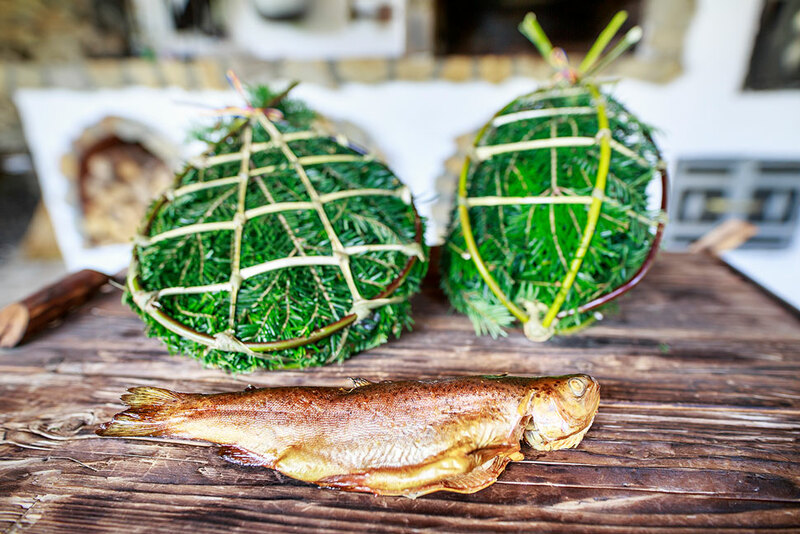 Today, in our modern factory made with a flavor of tradition, since the building is paneled with local wood, we aim to produce the best trout products as our ancestors did. 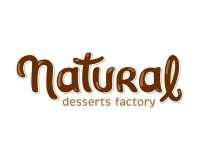 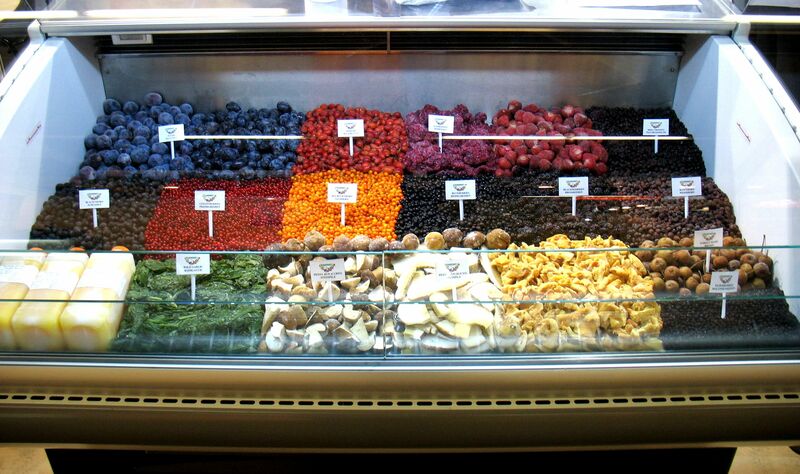 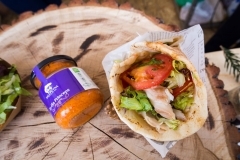 Our policy is to make only natural products, no additives, no preservatives. 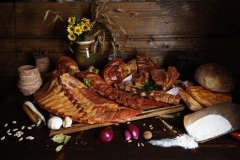 Valeputna specialties: the smoked trout by the old recipe, marinated trout in different sauces, smoked trout in organic oil, several dips and salads with smoked trout, smoked trout soup, smoked trout sausages made with smoked plums, and even the Romanian specialty“sarmale” with smoked trout,comply with our vision. 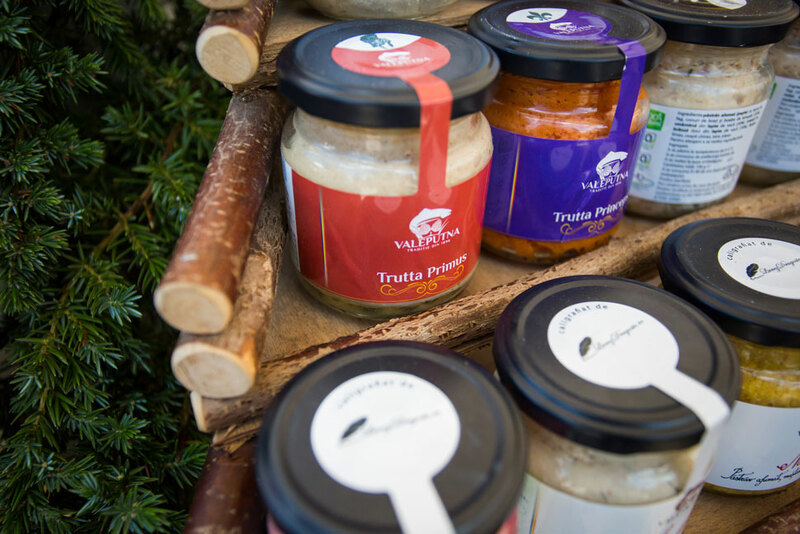 This year, one of our products, named Trutta Dux, aunique dip made from trout smoked with beech and cherry wood, fir cones and juniper berries, then mixed with local organic cheese cream and spices, has won two golden stars at Superior Taste Award in Brussels. 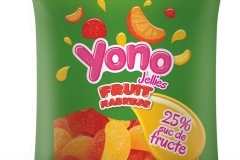 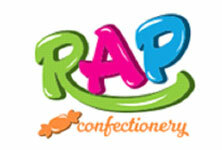 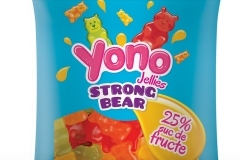 Established in 2009 as a third party manufacturing company for Mondelez, RAP Confectionery is a producer of confectionery, such as chocolate bars, soft candies and small bites. 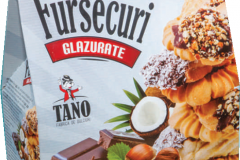 Its field of activity covers the production of cocoa, chocolate, caramel and sugar goods, mainly extruded chocolate countlines and starch molded products (CAEN reference 1082). 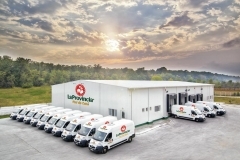 It is part of the RAP Group, specialized in developing and manufacturing equipment and process technologies for food, chemical and pharmaceutical industries and other industrial activities. 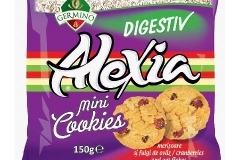 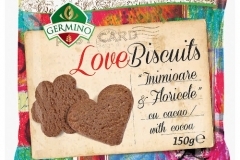 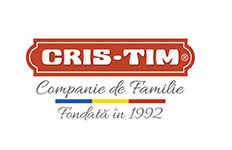 Recunostina Prodcom Impex was founded in 2000, part of Cris-Tim – main factory of the group after the company was established, in 1992. 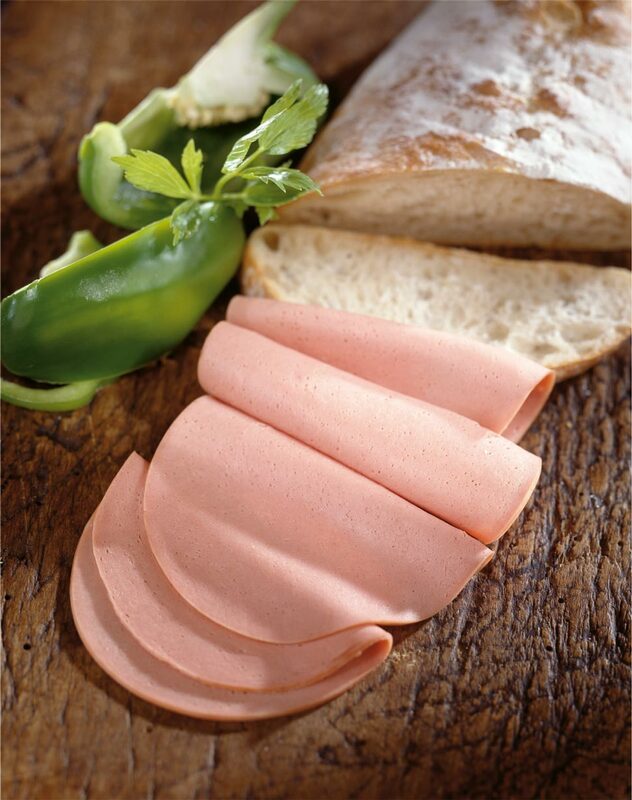 The production unit was expanded by developing a cured-dried processing unit only 2 years after opening. 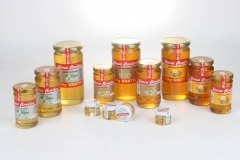 In 2011 the factory acquired High Pressure Processing equipment, thus getting closer to the aim of having the healthiest products in the industry. 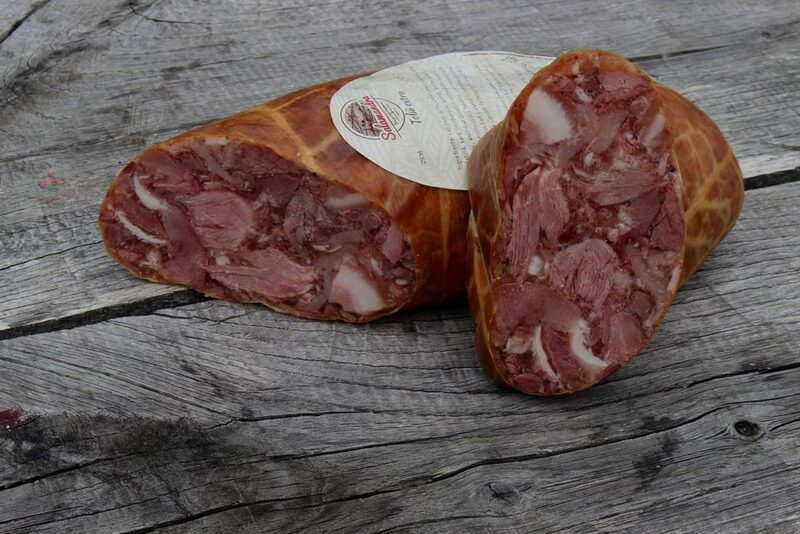 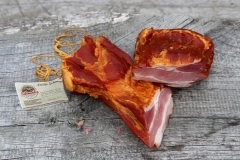 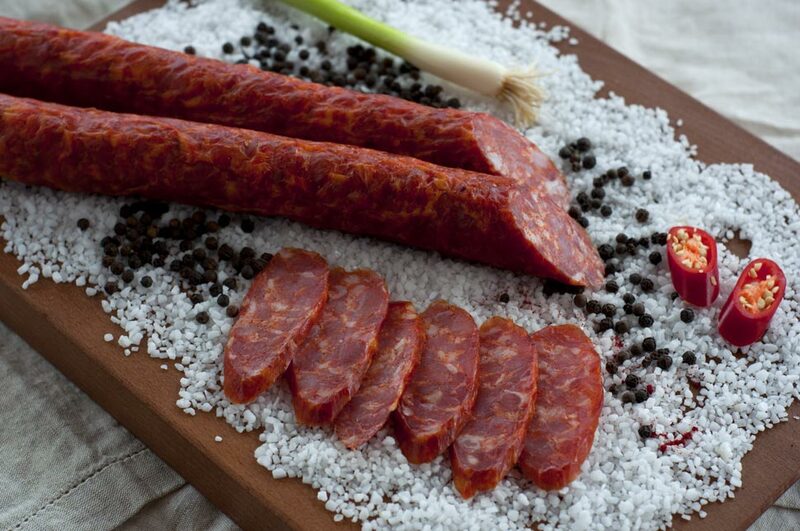 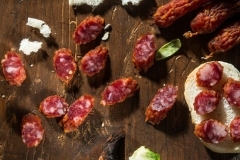 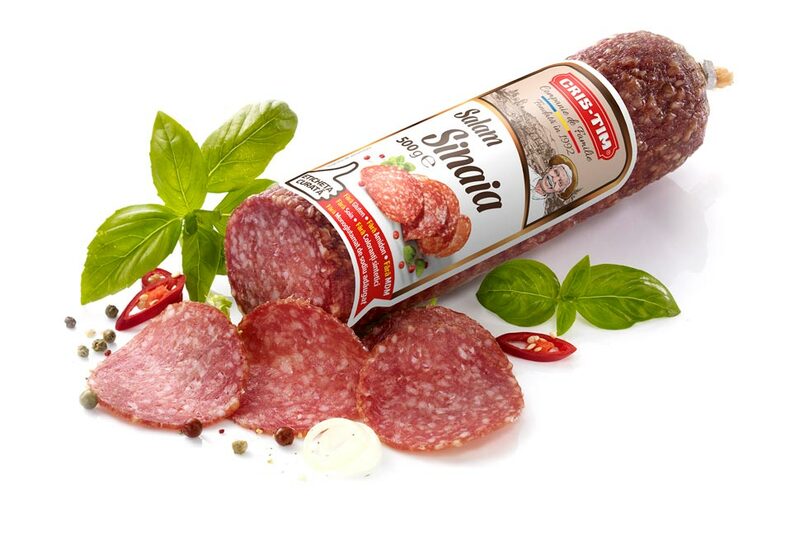 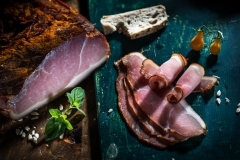 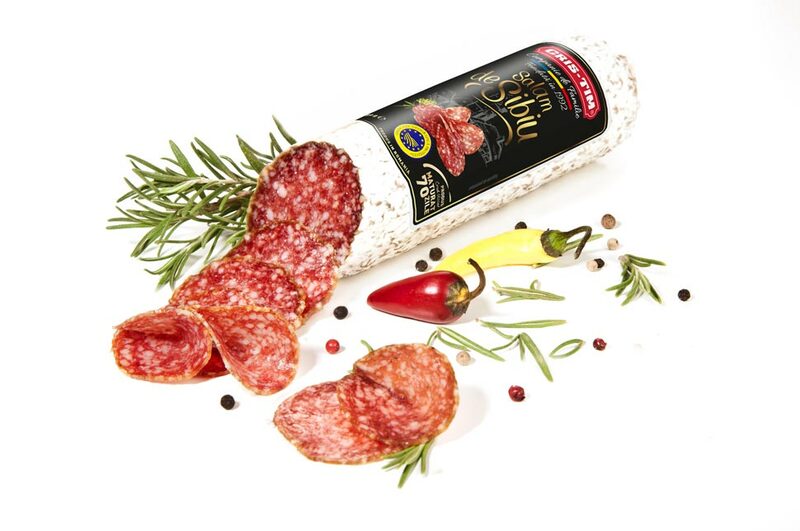 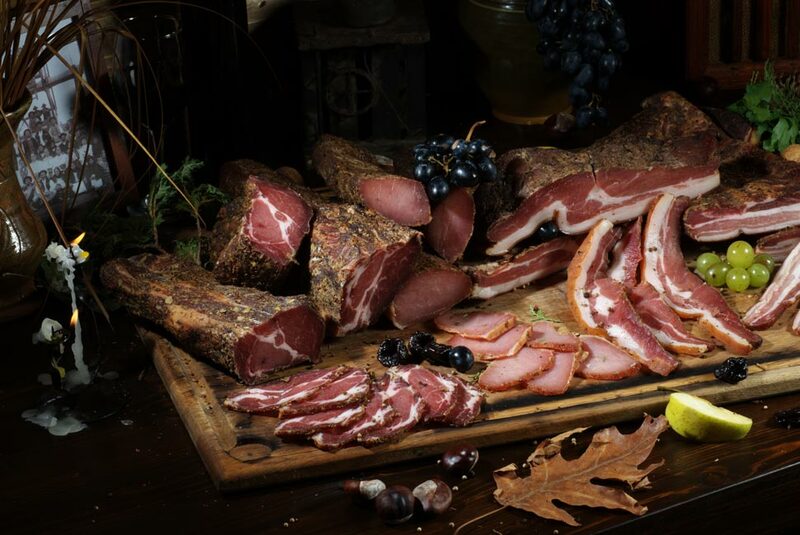 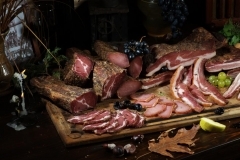 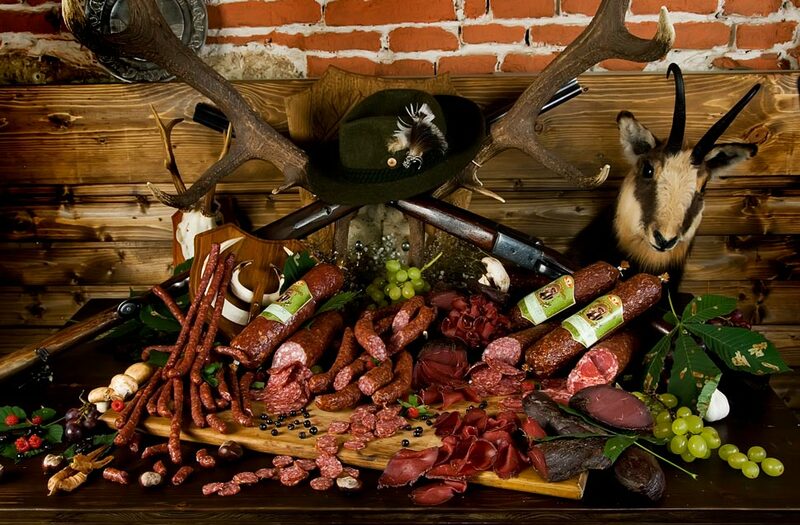 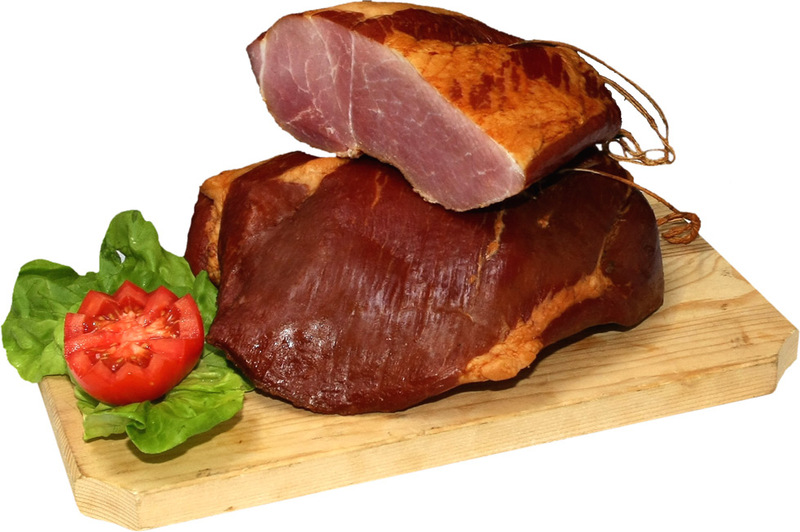 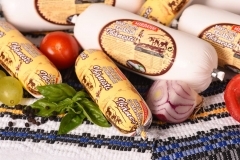 At the moment Recunostinta factory produces 150tons/day, and the ranges include boiled-smoked, cured, as well as specialty products like traditional cold-cuts and Sibiu Salami – the last one requiring a particular production certificate. 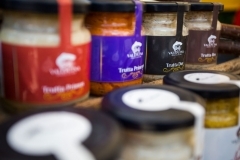 The ranges are developed so that they would satisfy the pickiest of eaters, the shopping savvy, as well as the traditionalist. 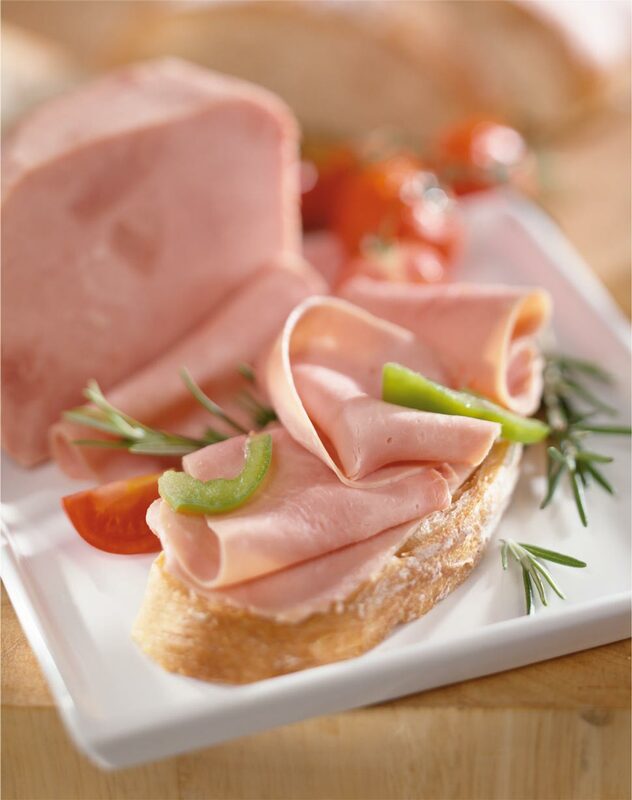 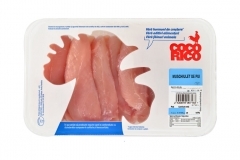 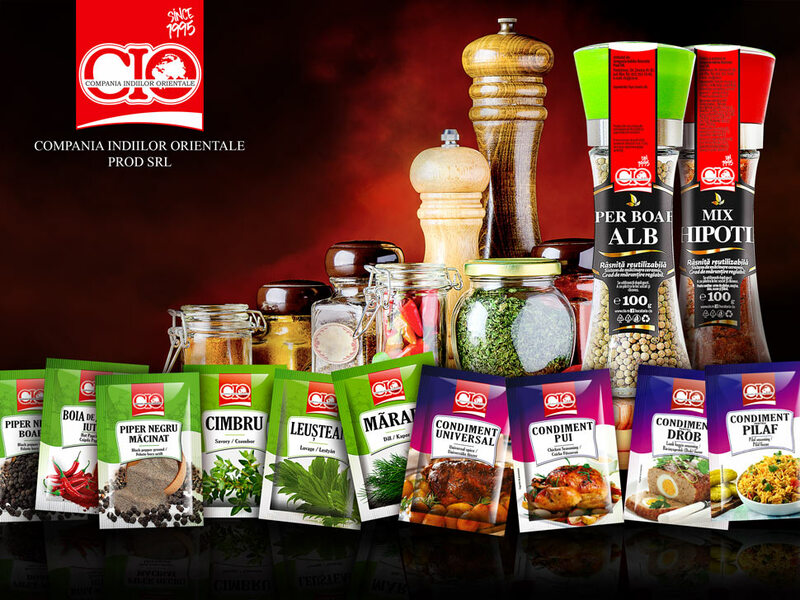 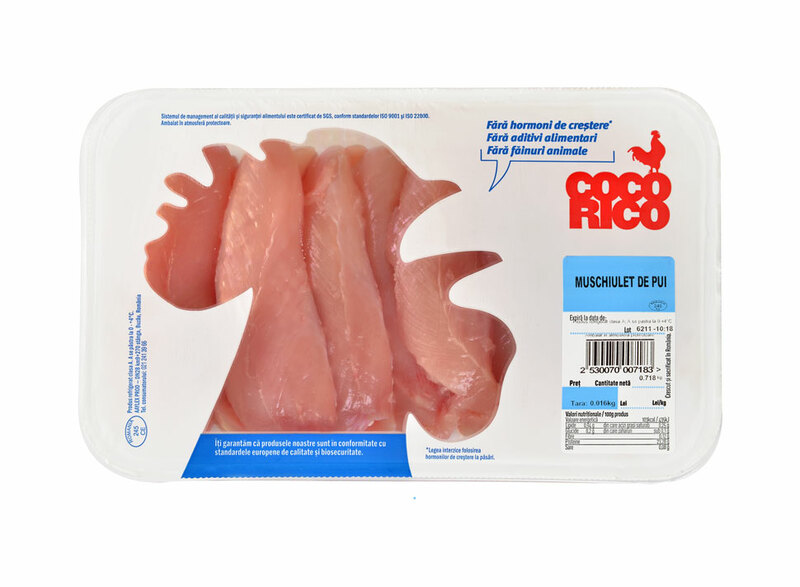 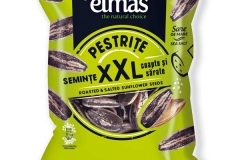 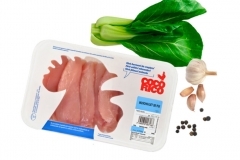 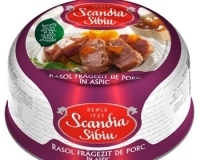 Recunostinta Prodcom Impex processes and packages all the Cris-Tim ranges: Cris-Tim – long-loved line of varied meat products, Matache Macelaru’ – premium selection, Alpinia – low cost range, Gostat – for the nostalgic, Bunea Haiducul – the select cold-cuts. 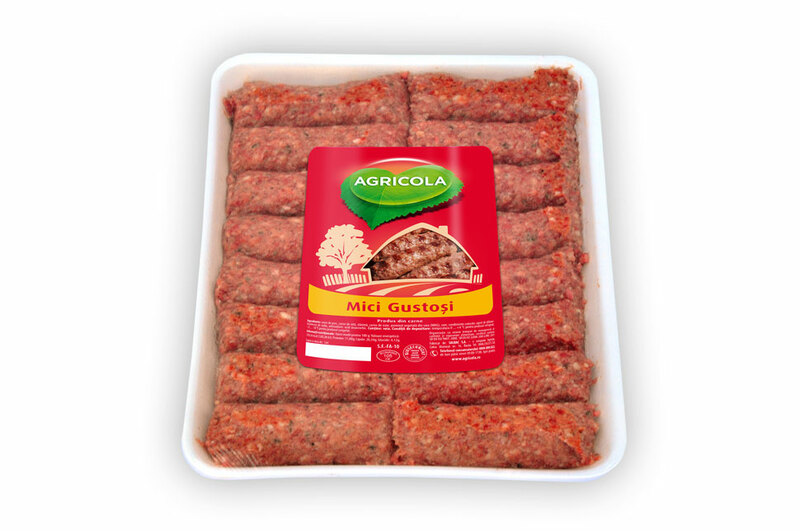 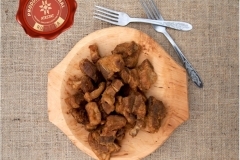 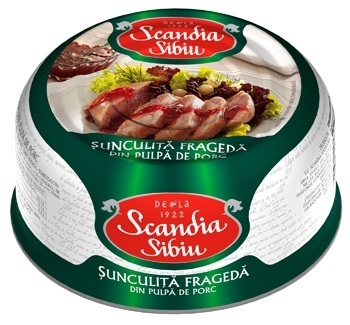 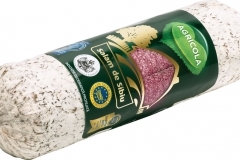 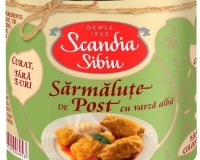 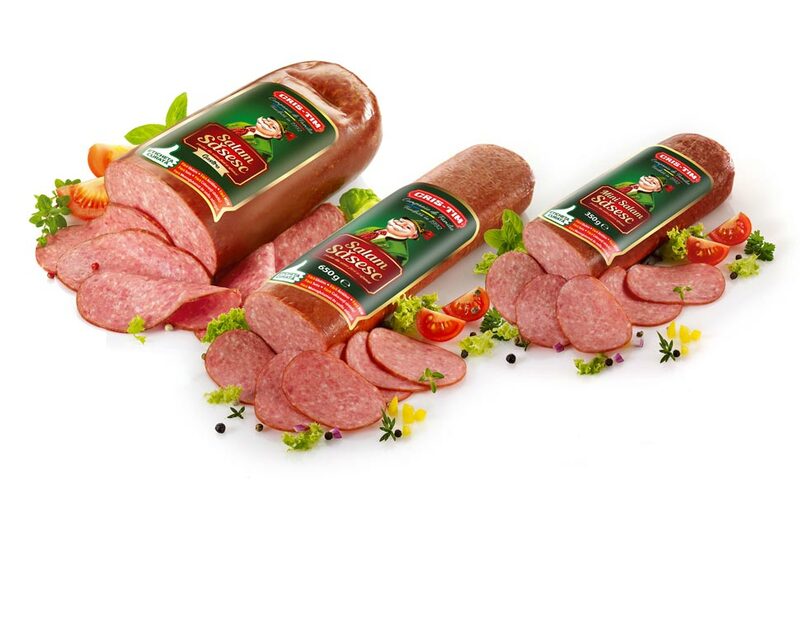 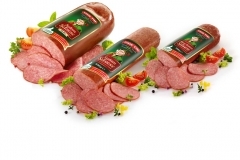 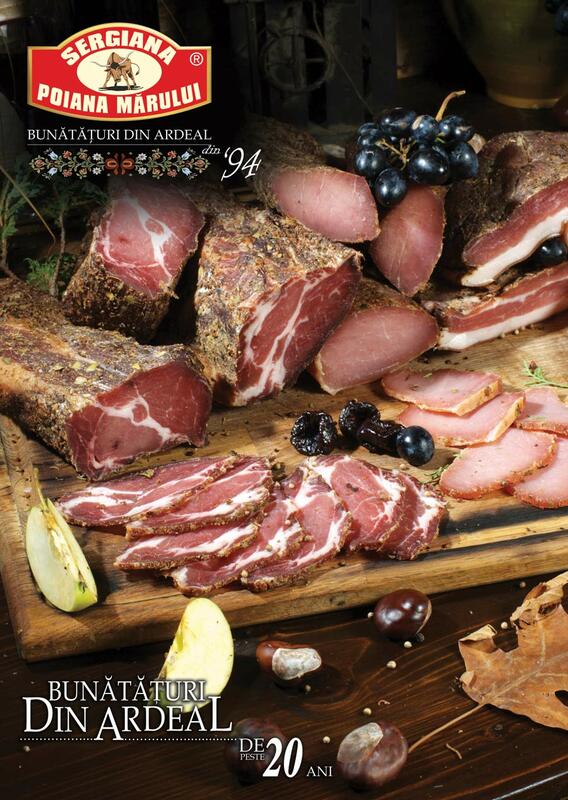 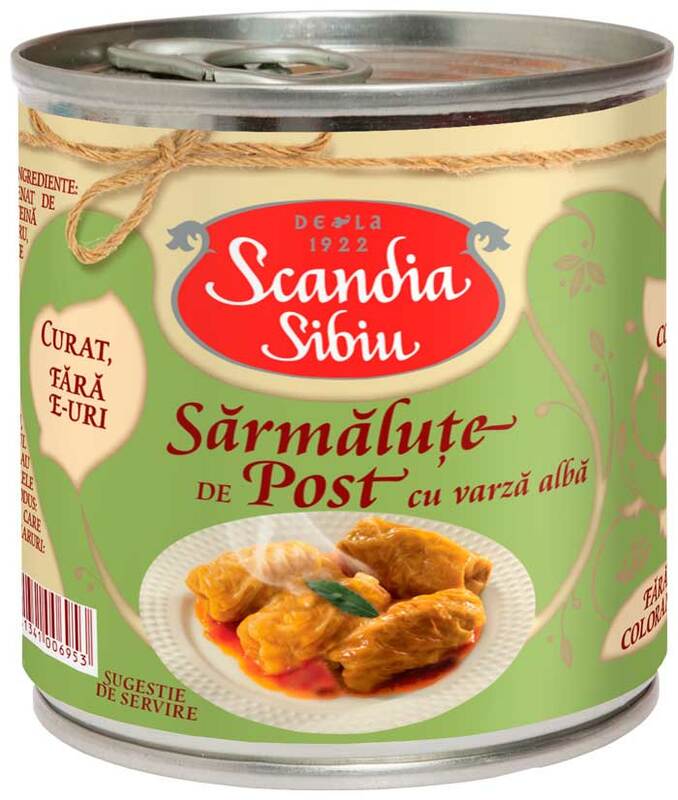 Salamandra is a meat processing brand,present on the Romanian market since 1992. 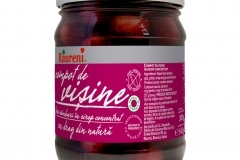 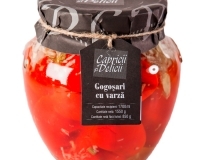 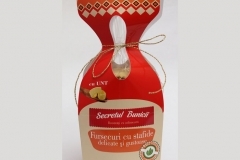 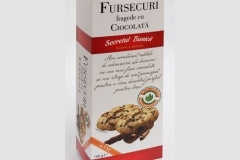 Our wish to rediscover variations to speci_c foodfrom Maramures County has resulted in a large variety of products that are available for our clients and partners, countrywide and abroad. 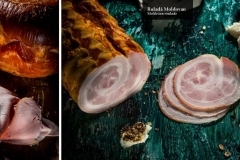 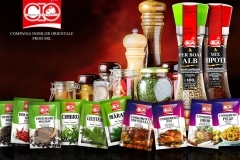 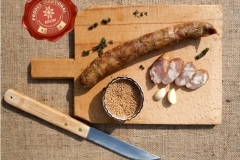 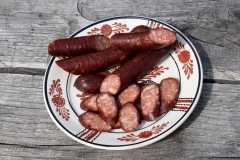 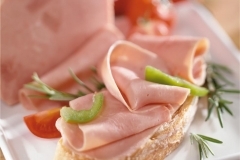 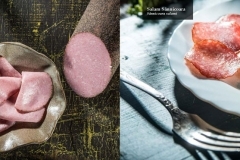 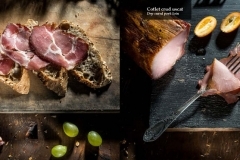 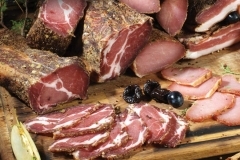 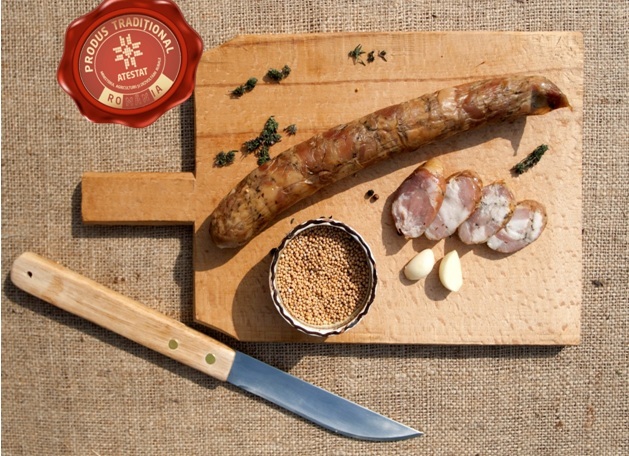 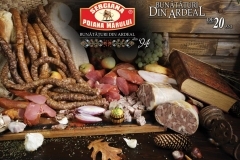 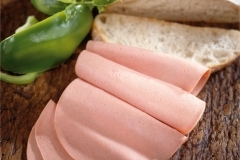 Holding HACCP and ISO 9001 certi_cations,Salamandra Plus o_ers a diversi_ed productportfolio: Romanian specialities, smoked products,sausages, salamis, raw dried products and hams. 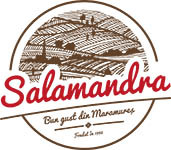 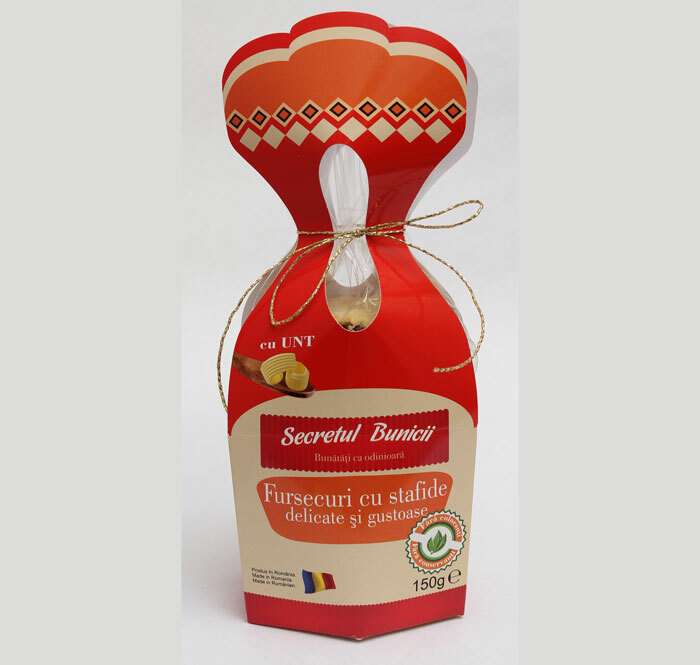 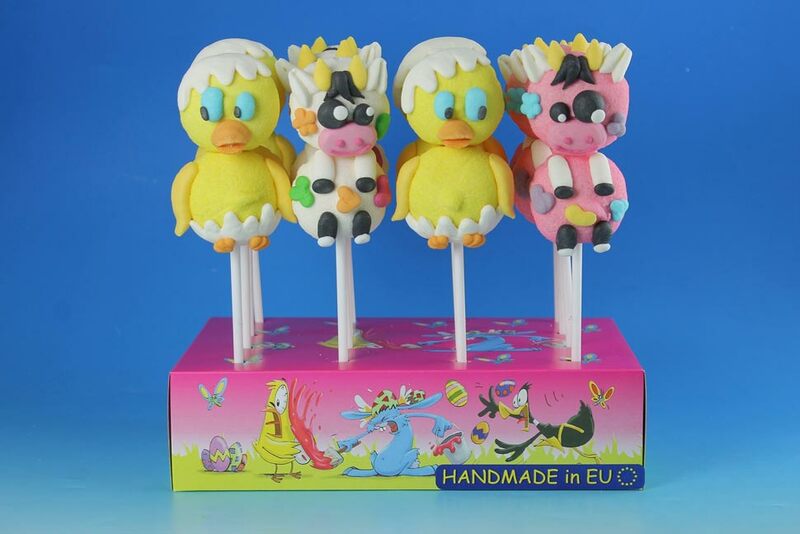 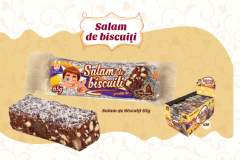 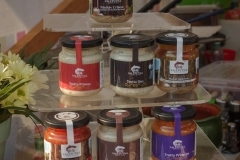 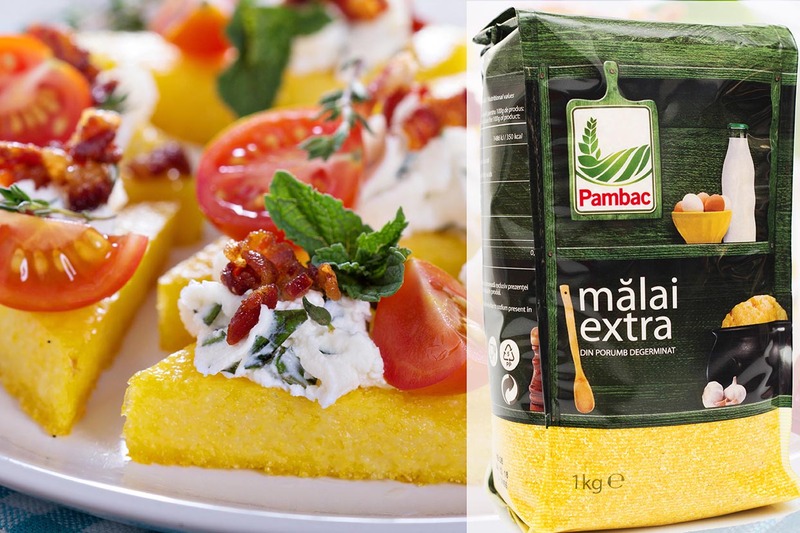 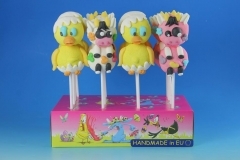 Salamandra products are delivered in Romania –Maramures and Transylvania, as well as in Italy, France, Spain. 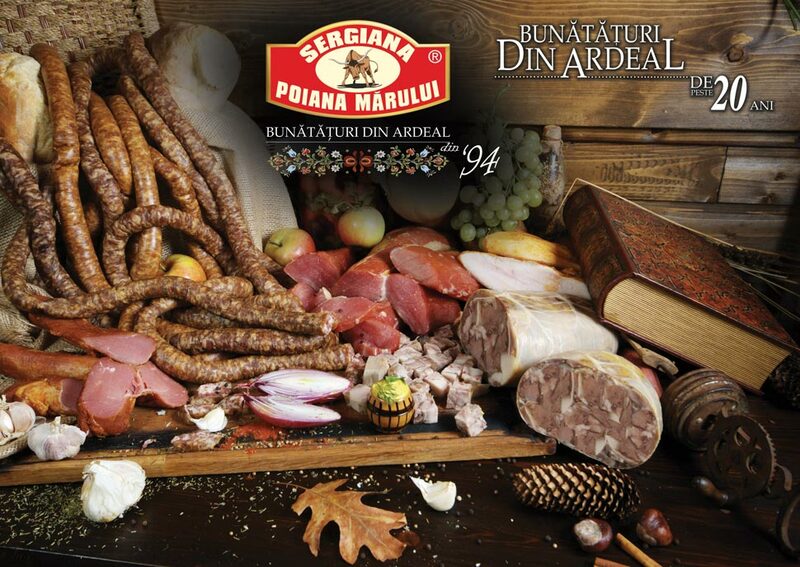 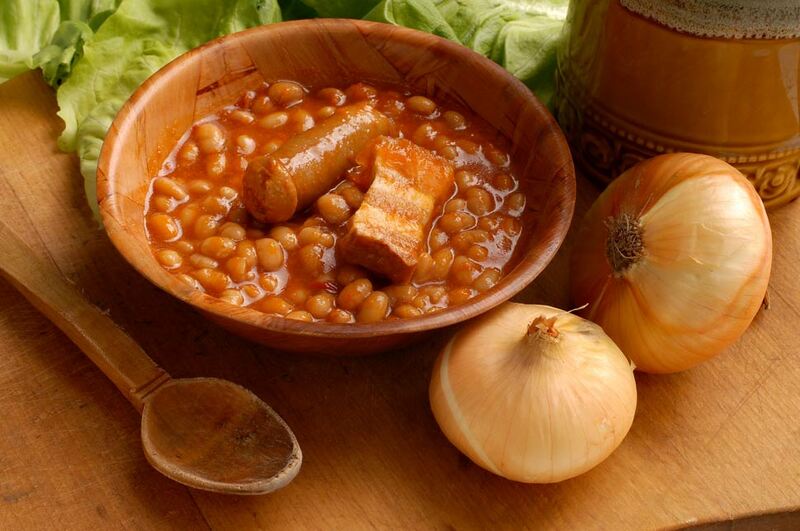 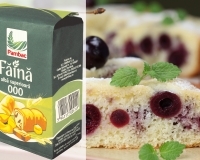 Scandia Food company, the market leader in its business category, represents the benchmark of the Romanian tradition of providing tasty and nutritious food. The quality of our products, our team of experts and the care for the consumer and all that surrounds us ensures the success of this brand for nearly a century. 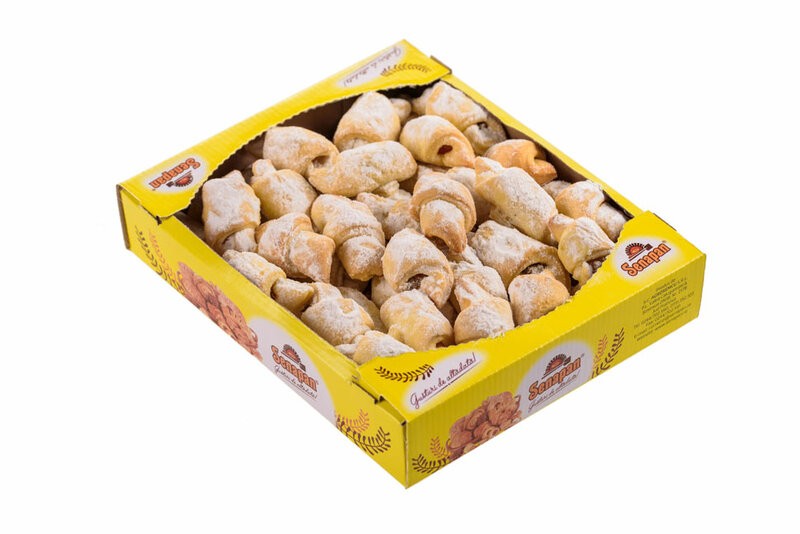 Scandia has proven to be a reliable name as evolving continuously since its founding in 1922. 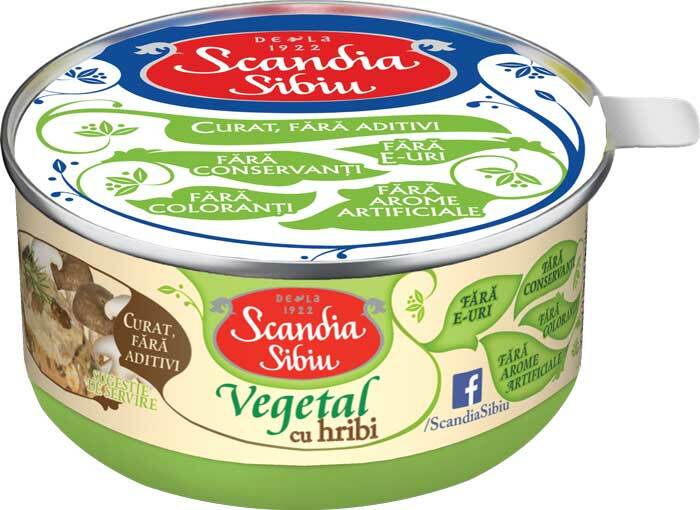 Now the reputation of the company is carried on by a new set of values, based on innovation and our vision to transform Scandia in the largest food company in Romania and a prominent leader in nutrition and balanced lifestyle: experience & competence, passion & pride, care, innovation. 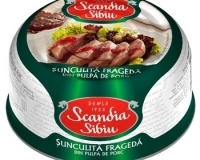 1994 is the founding year of SC SERGIANA PRODIMPEX SRL [Co. Ltd.], with its main object of activity meat processing. 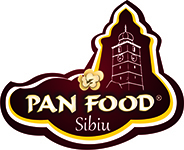 The company’s headquarters and development base for the current structure is the village of Poiana Mărului, situated at about 35 km from the city of Braşov. 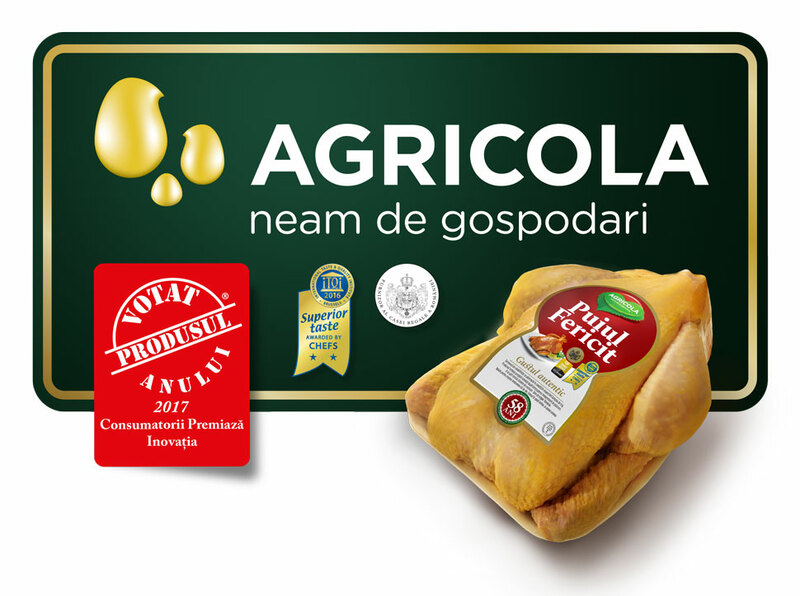 The company sales network includes 54 food stores and the distribution network includes over 1700 clients in 21 counties of Romania. 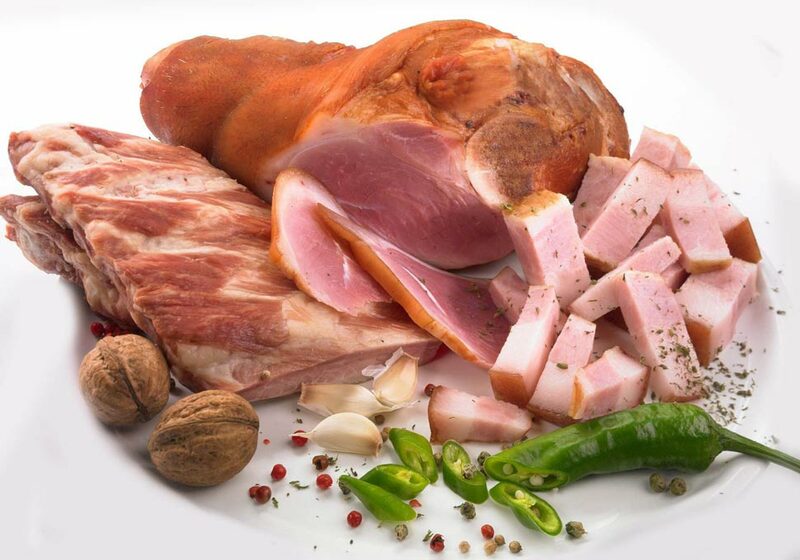 The raw material source for the Sergiana Group units is its own pig breeding and fattening complex, represented by EUROPIG S.A. located at 55 km from the city of Braşov, in the village of Şercaia. The complex occupies a surface of 22 ha, including 32 breeding halls which hold a total capacity exceeding 50,000 animals/ year. 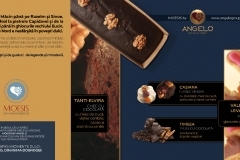 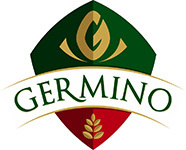 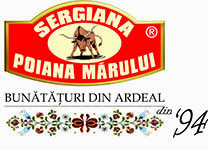 Sergiana Group is also present in the local restaurant business with several restaurants: Ceasu Rău, Casa Tudor and Sergiana represented by local traditional cuisine, Trattoria Restaurant with specific italian food an Nec’s with its specific menus for pizzas and bistros and also fast-food products. 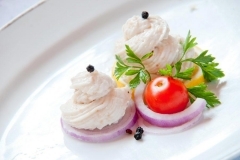 The restaurants have a traditional offer that proves that the Romanian kitchen with Transilvanian specific accents is competing evenly with imported gastronomy. 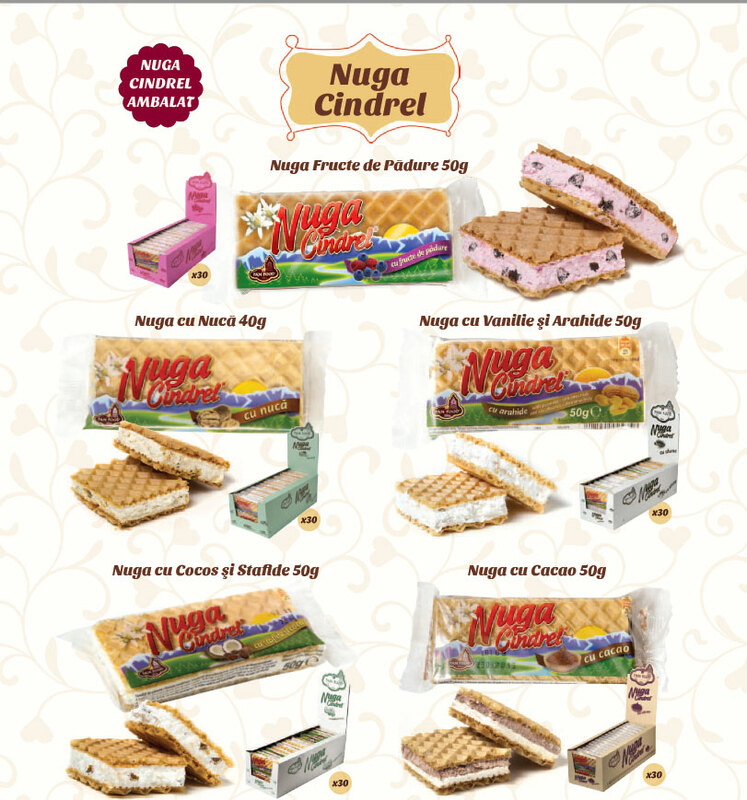 Also in May 2009 the company inaugurated Sergiana Center which is a complex of four event halls. 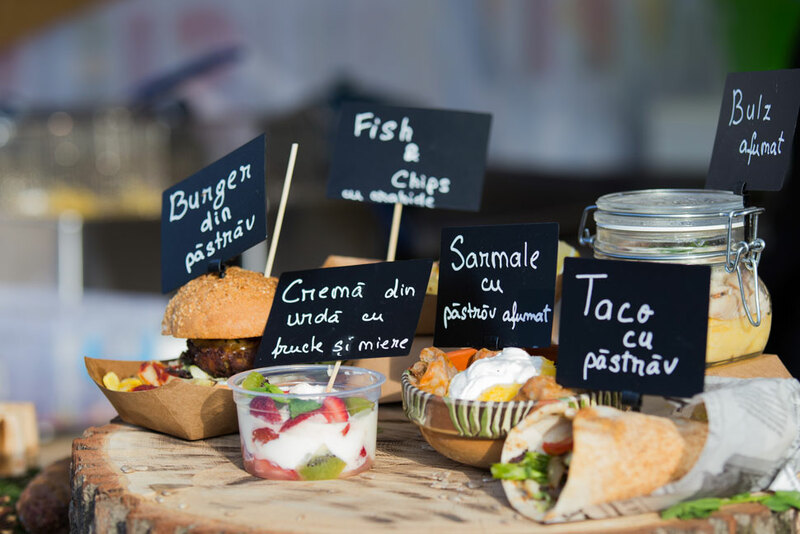 The restaurants are all succesful and are proving that we have the resources and the necessary expertise to develop new HoReCa projects. 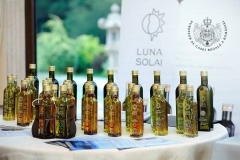 Luna Solai. 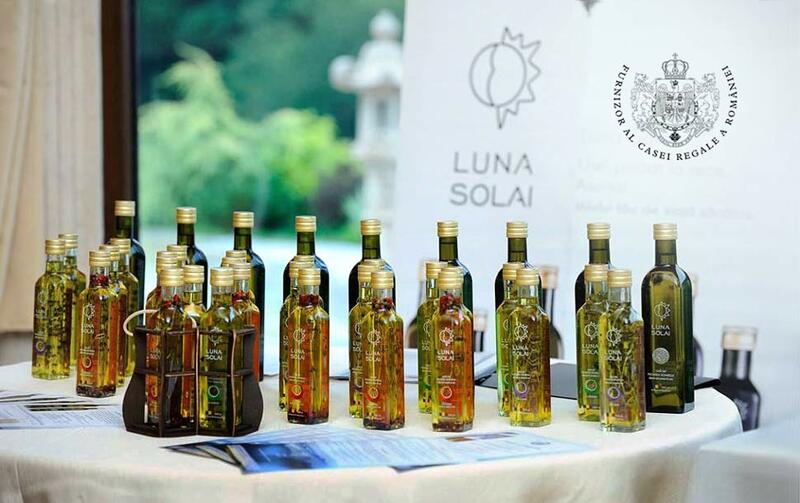 A luxury collection of cold pressed oils combining exquisite taste and healthy properties together with a modern image and a long experience and tradition in cold pressing processes. 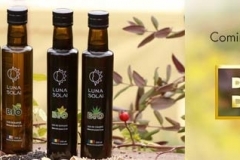 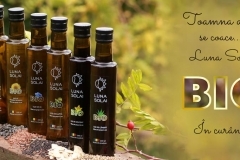 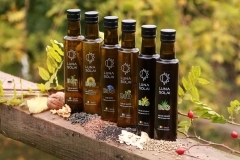 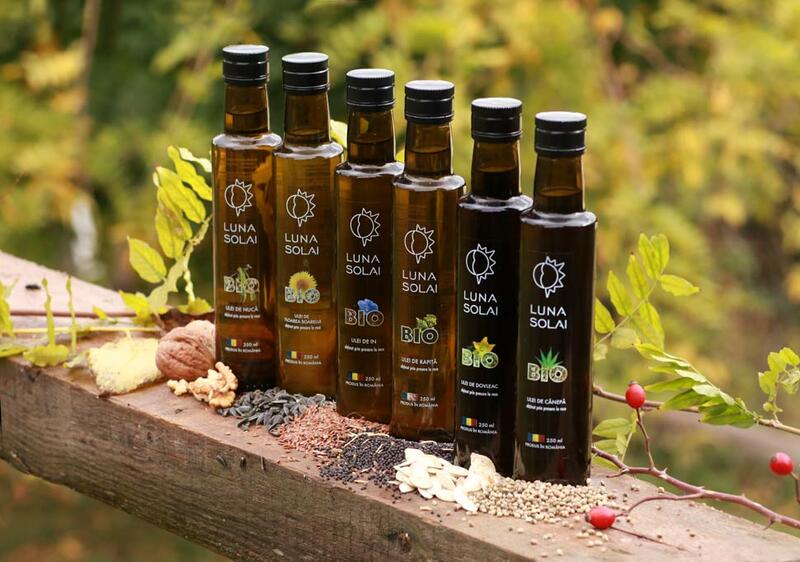 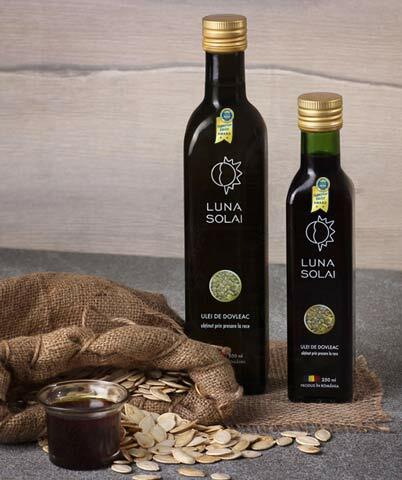 Perfect for a healthy and balanced lifestyle, Luna Solai cold pressed oils provide you with all the natural richness of the seeds thanks to a pure processing method which helps maintain a natural taste and all the nutrients of the seeds. 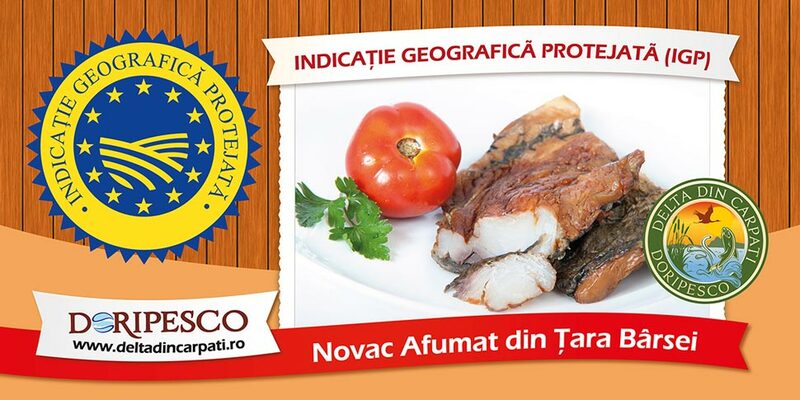 TANO PROD IMPEX Ltd is a limited liability company, founded in 2005, with 100% Romanian private social capital. 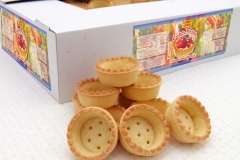 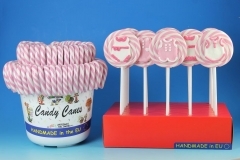 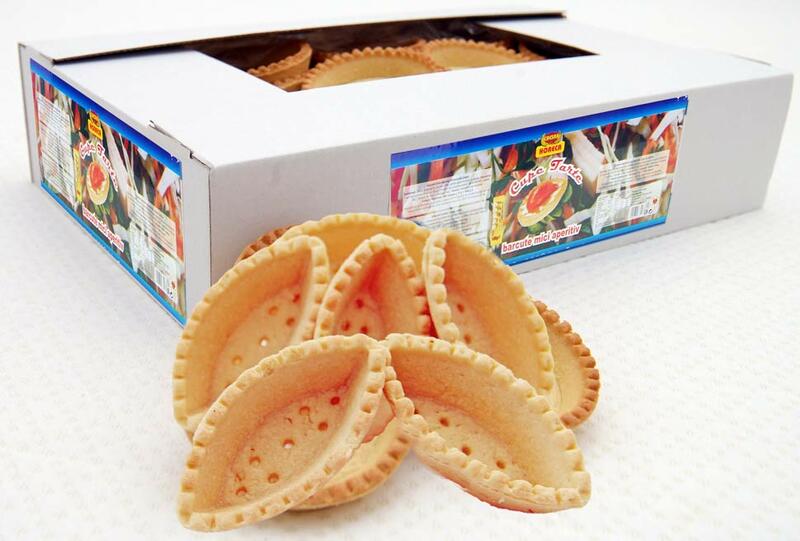 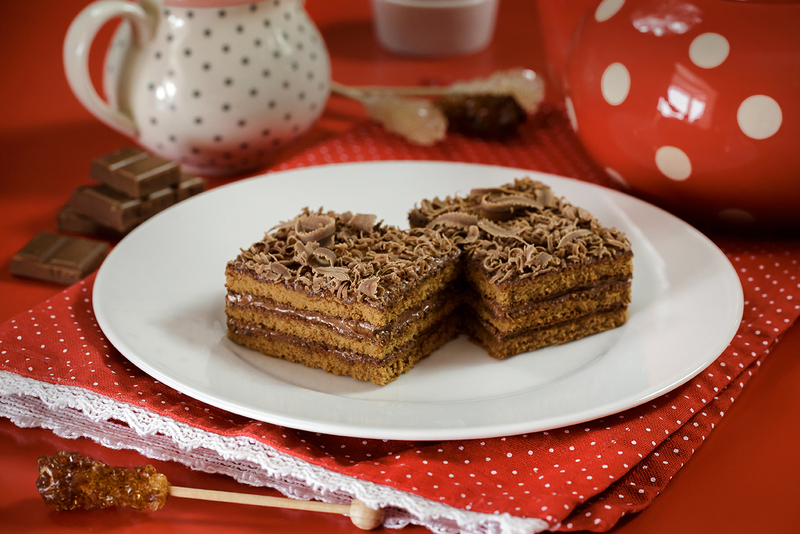 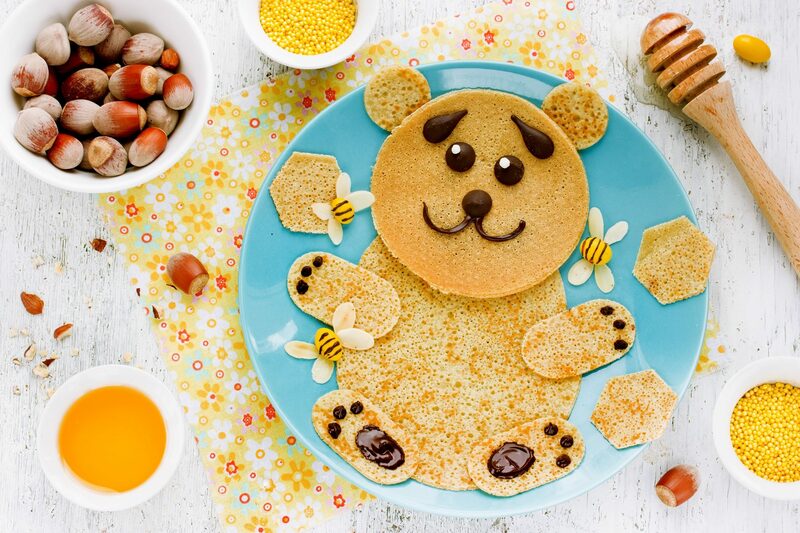 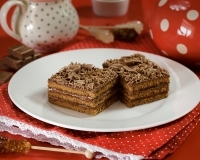 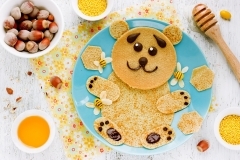 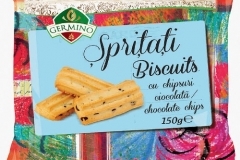 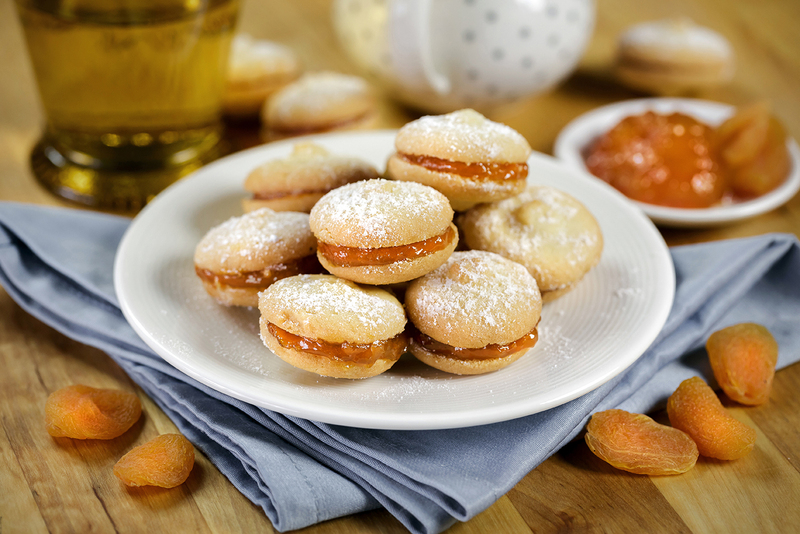 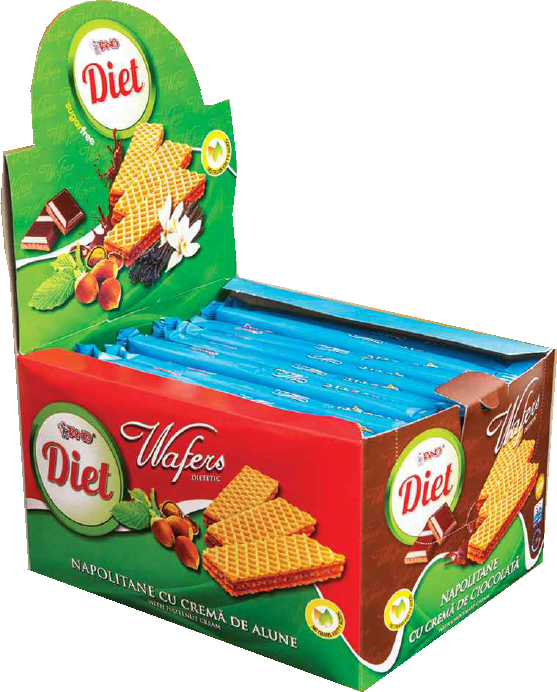 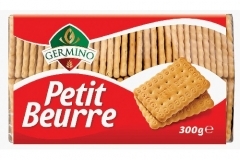 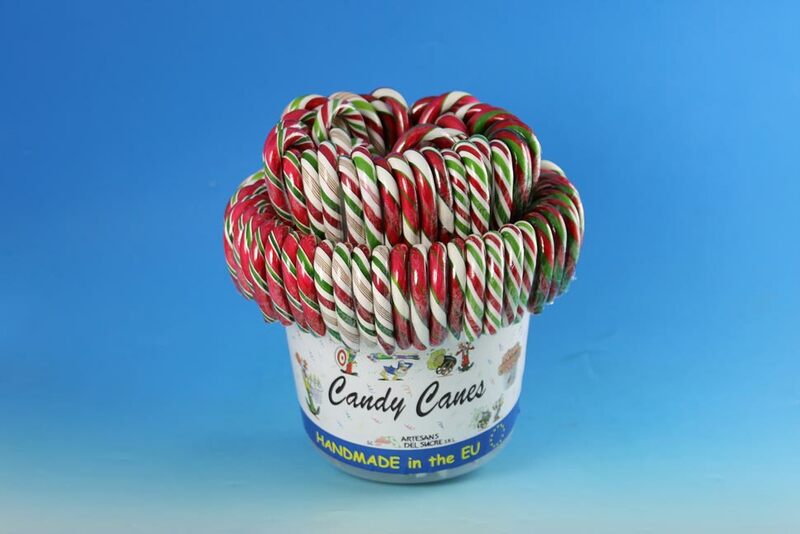 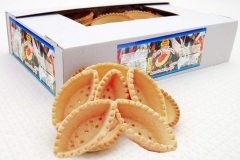 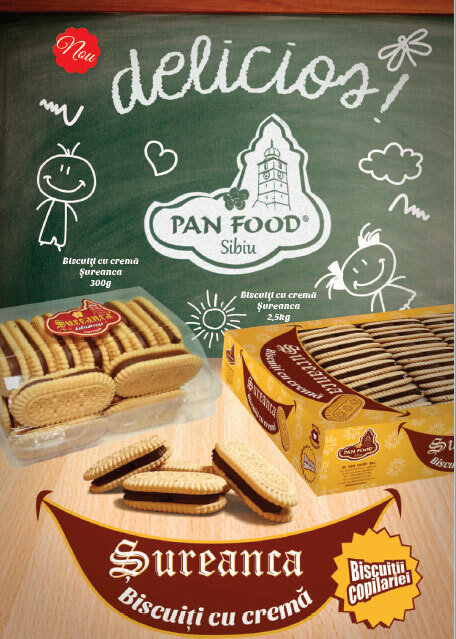 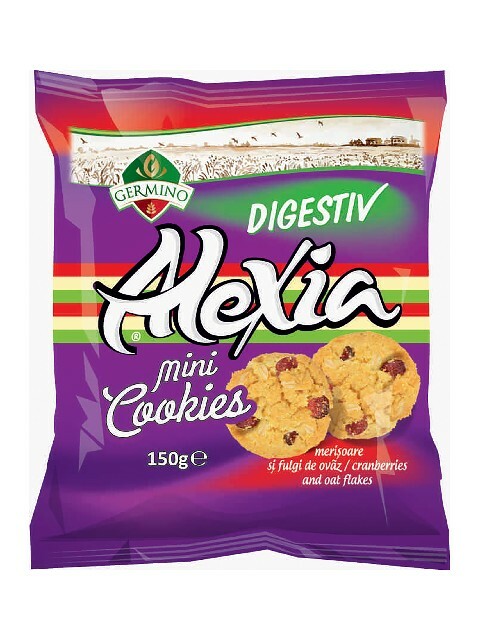 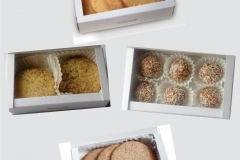 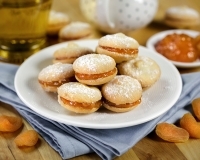 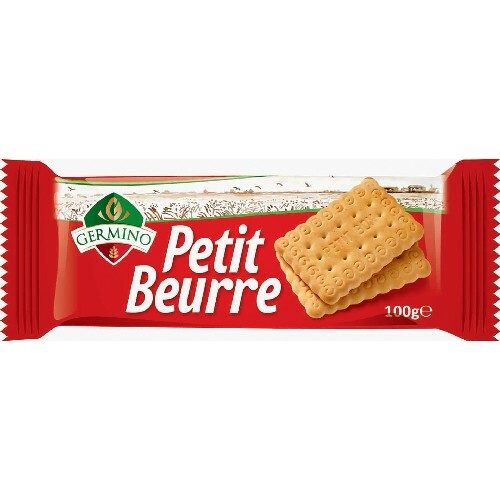 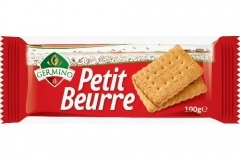 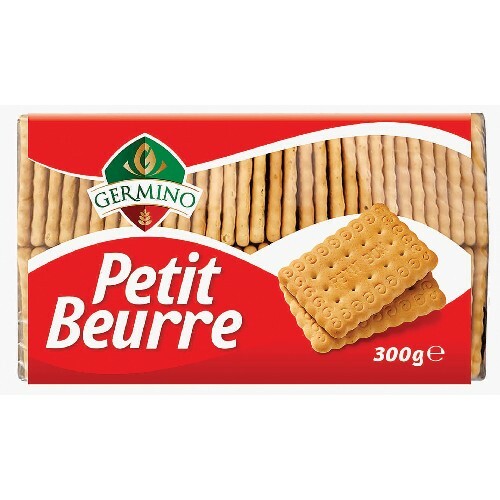 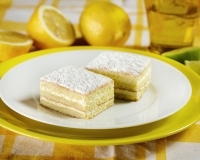 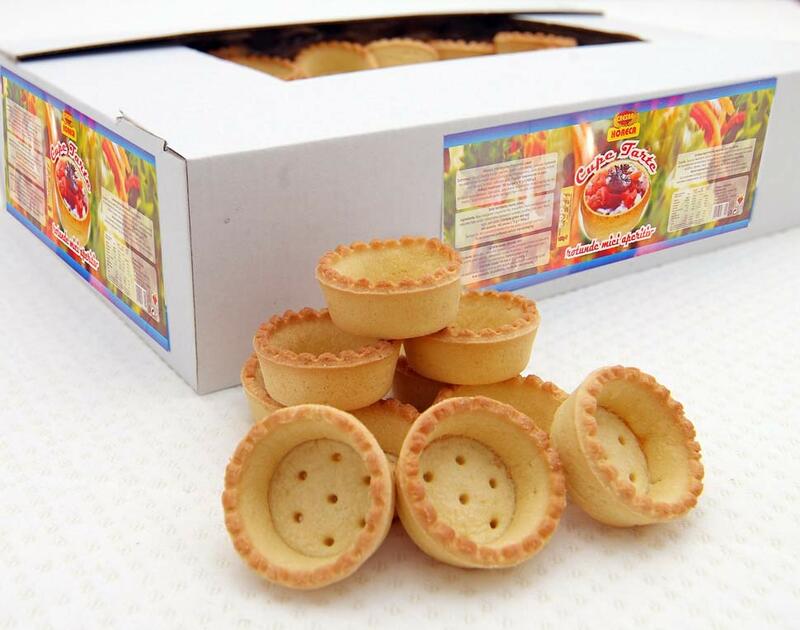 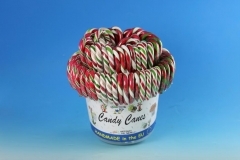 The company’s main activity is manufacture of wafers and biscuits, cakes, preserved pastry and diet products. 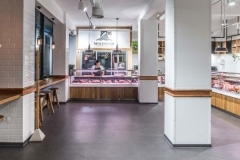 and the extended area is 3020 sqm. 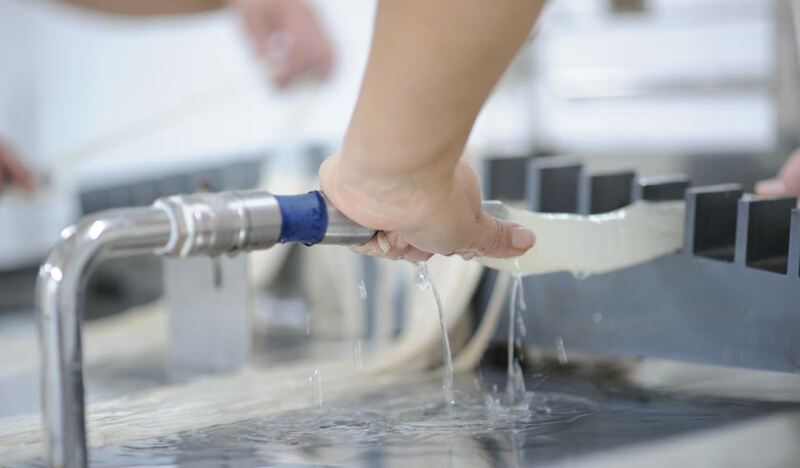 mechanical workshop, the household of water, lockers, toilets and offices. ISO22000:2005 quality systems, all assuring the implementation and maintenance of a food safety and quality system. 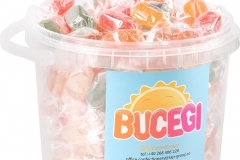 Address: com. 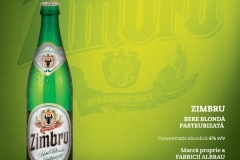 FRATESTI, sat REMUS, sos. 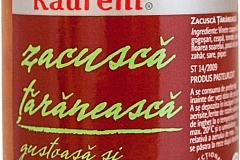 BUCURESTI, km. 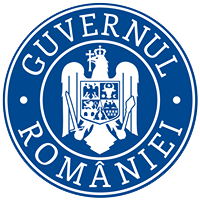 5 Judet GIURGIU. 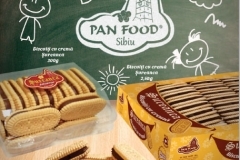 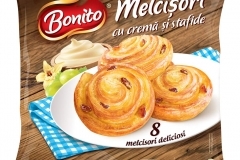 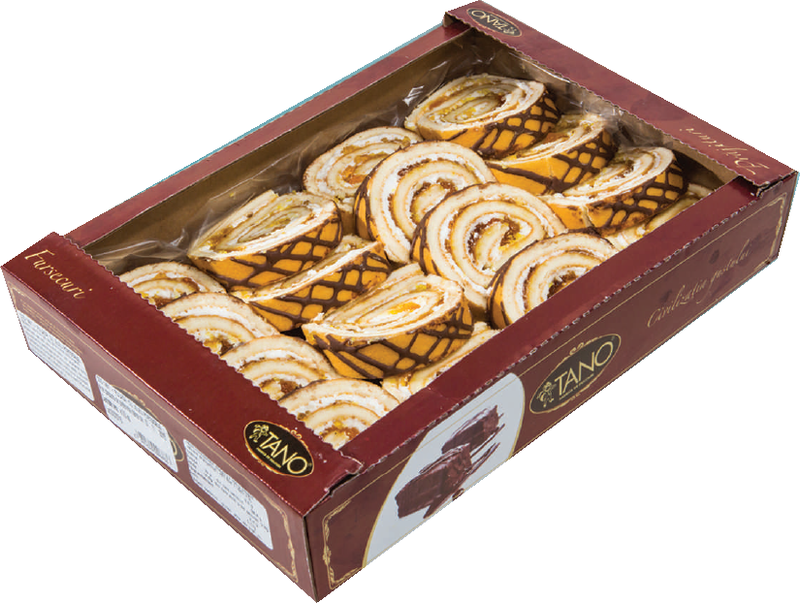 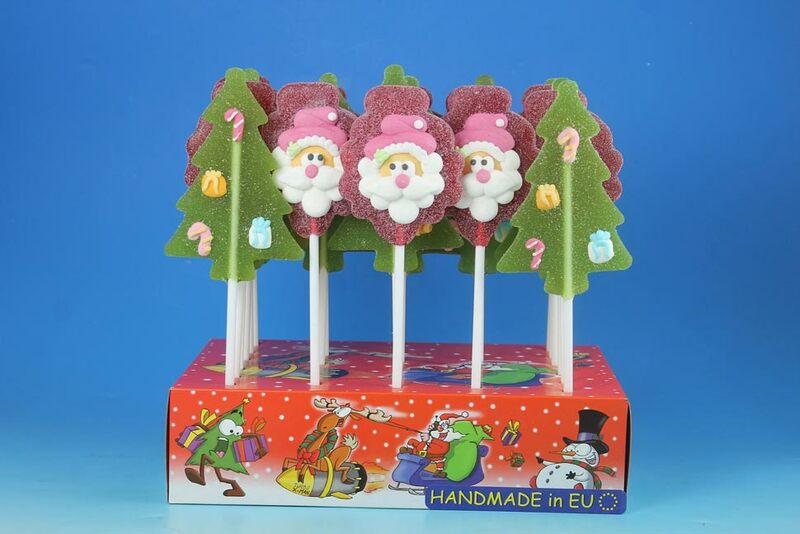 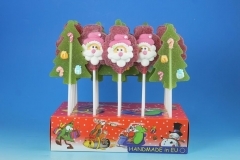 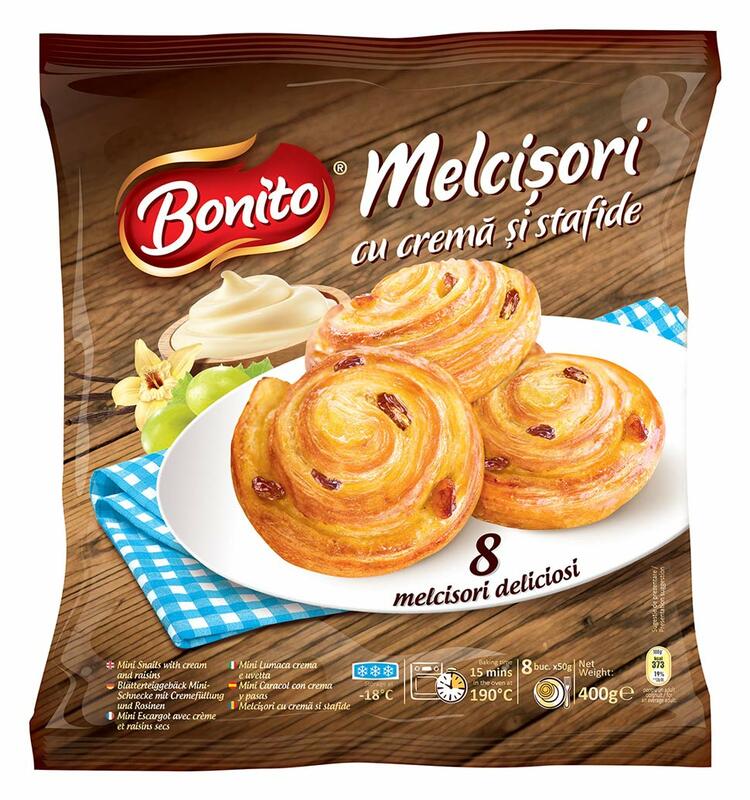 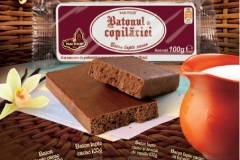 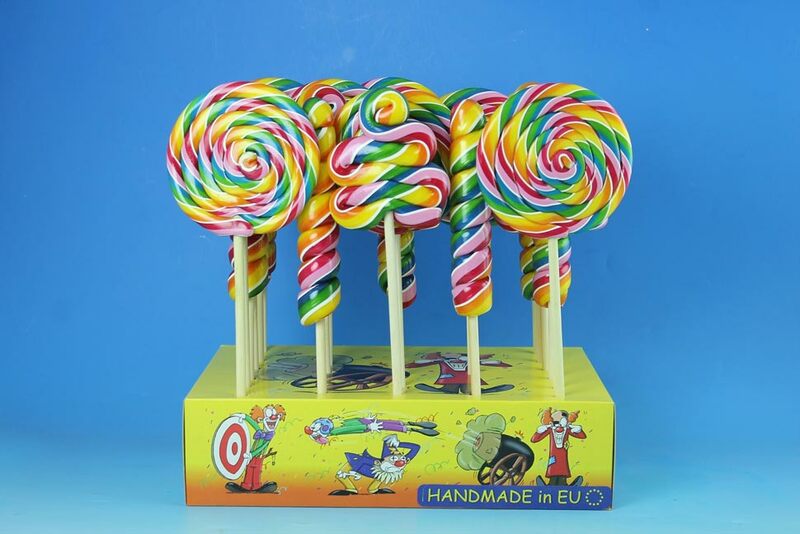 Tip Top Food Industry SRL, was founded in 1993 and is one of the prominent producer of Frozen Pastry, Frozen Confectionery and Catering in Romania and one of the market leaders in many categories. 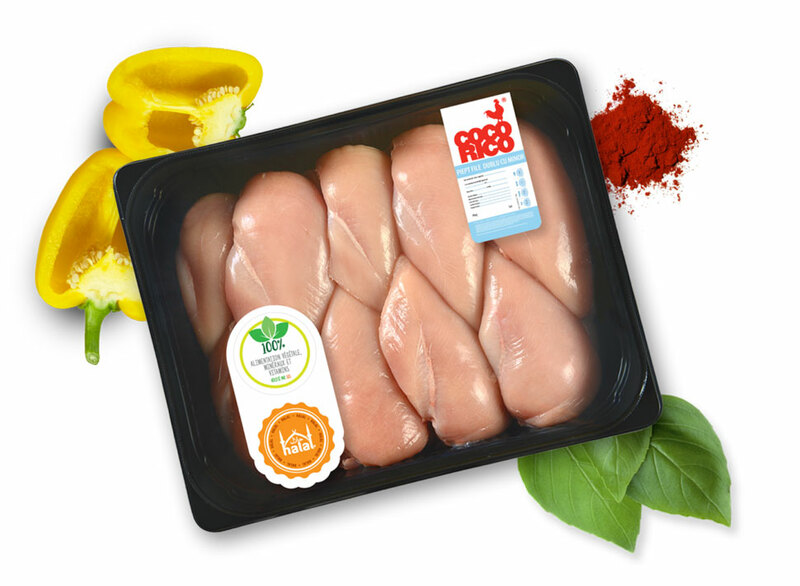 All production is directed to the most important retail chains: Lidl, Auchan, Carrefour, Delhaize, Kaufland, Real, Metro, Selgros and also exported to many countries in Europe. 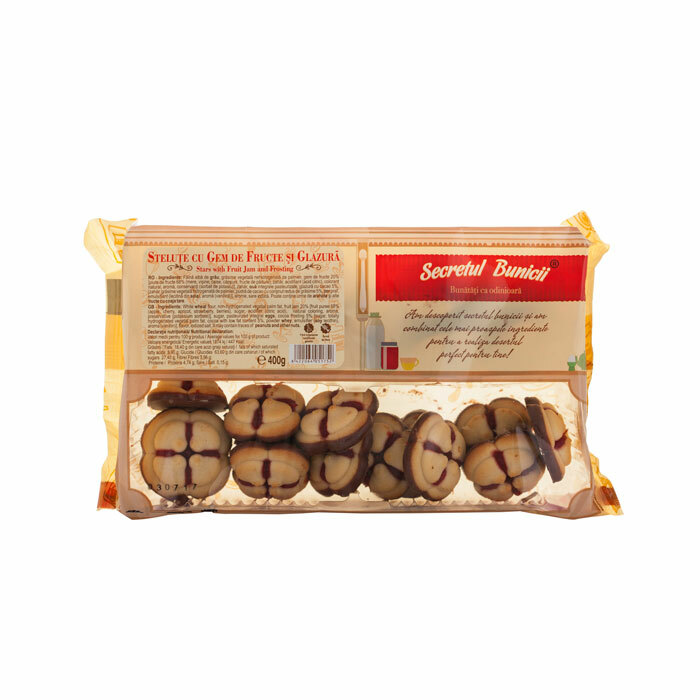 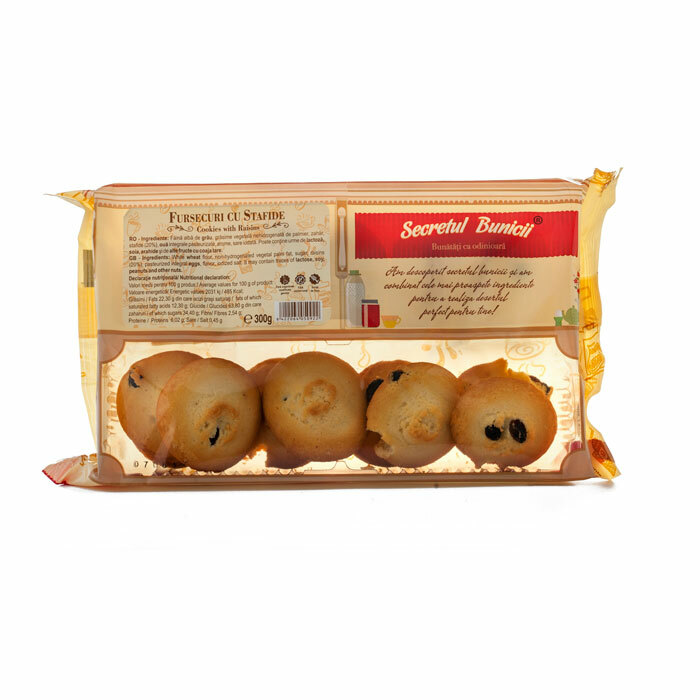 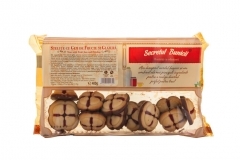 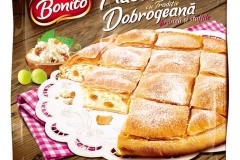 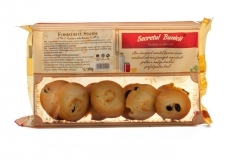 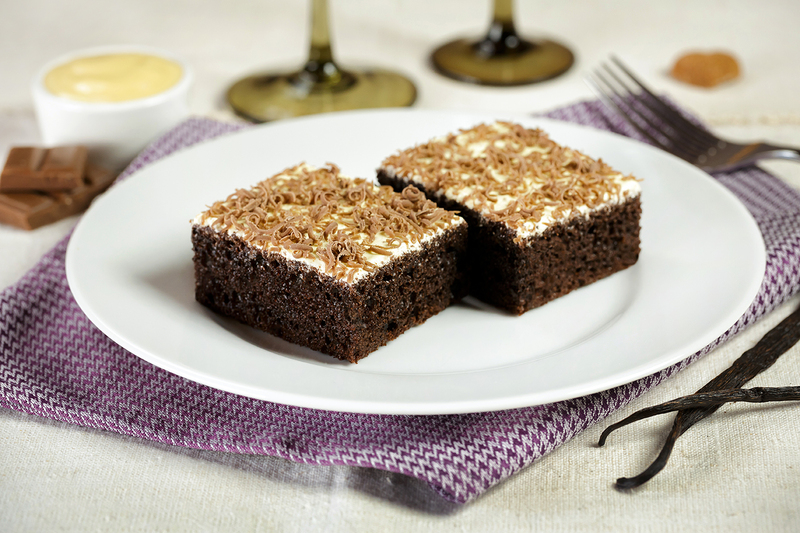 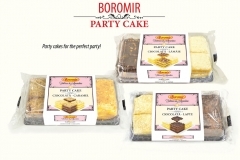 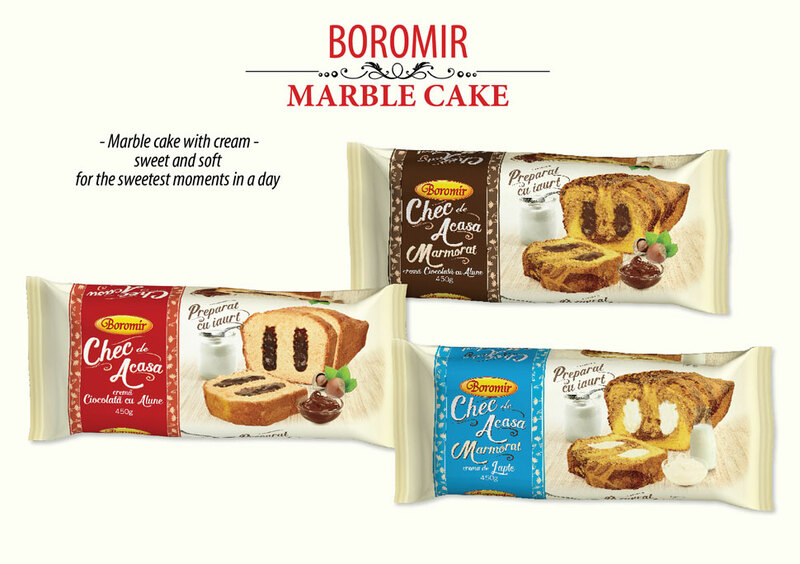 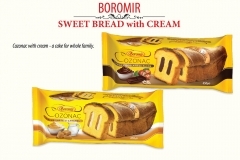 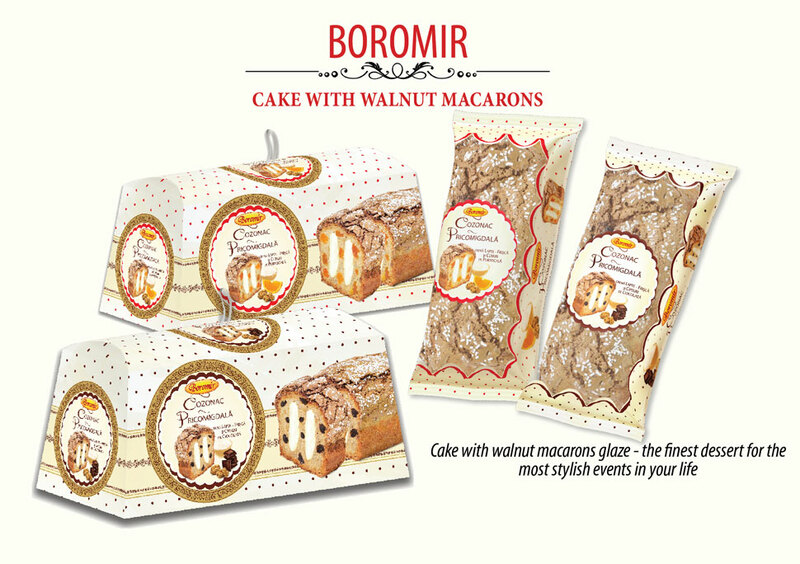 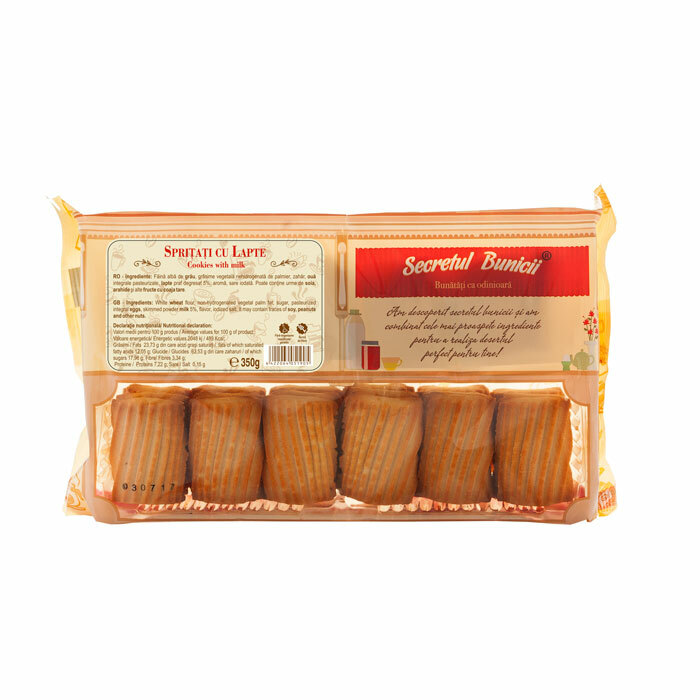 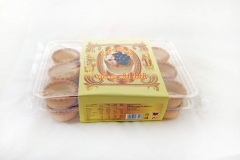 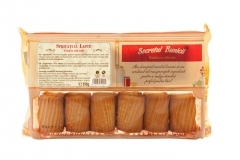 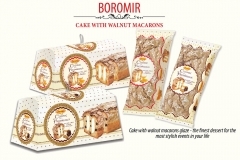 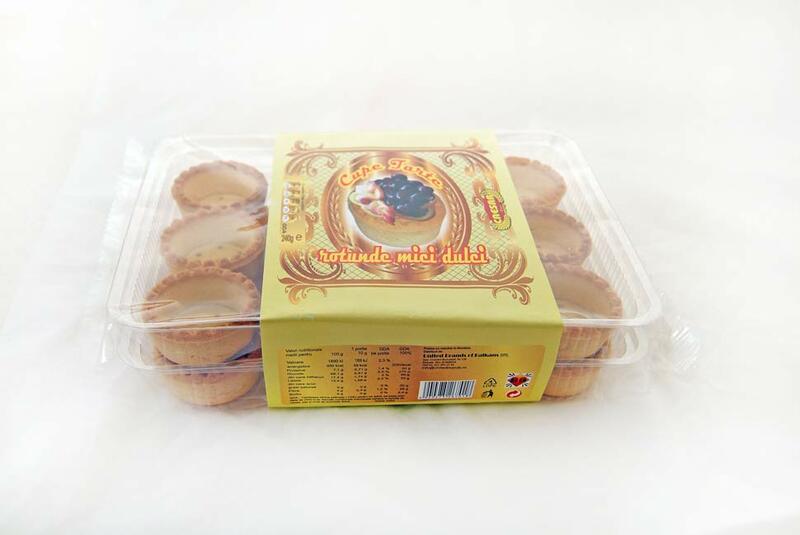 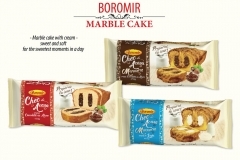 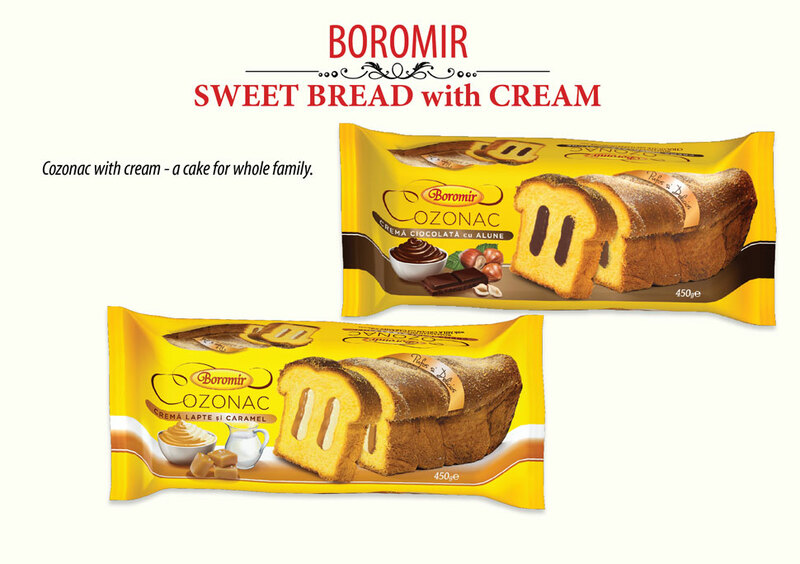 • contains frozen pastries sweet or savoury, with different fillings (apple, cheese, pumpkin, berries, etc.). 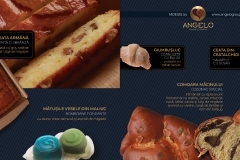 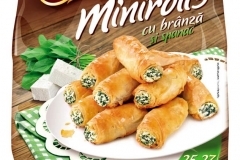 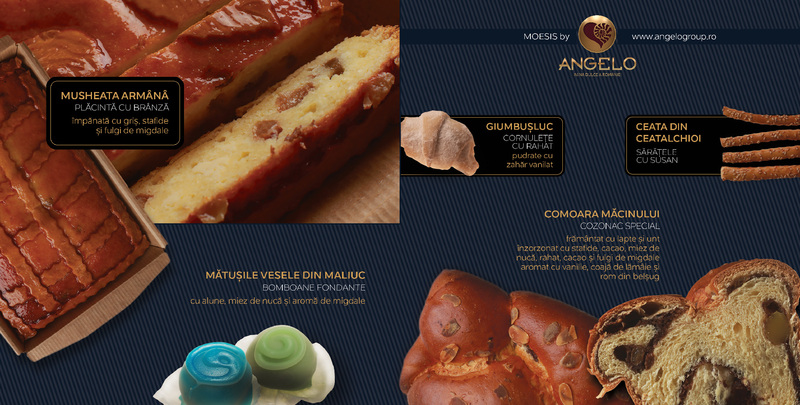 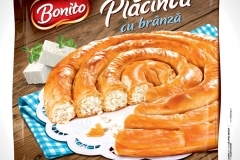 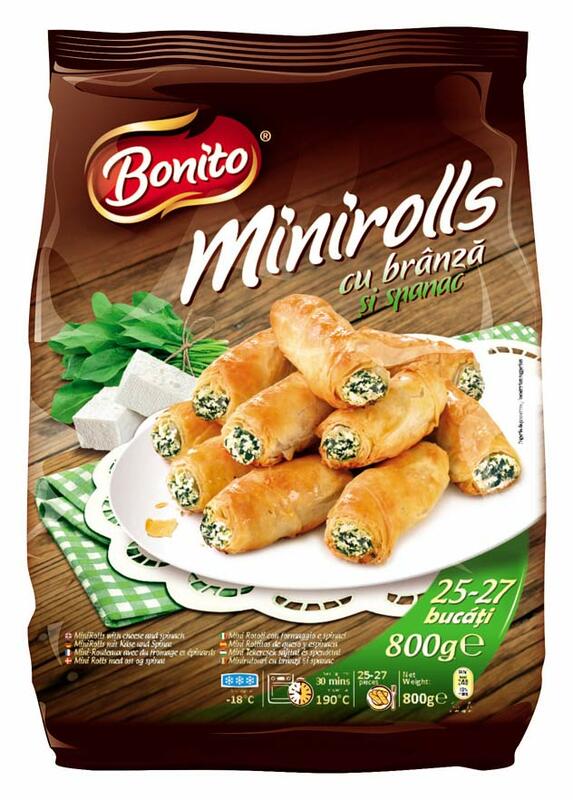 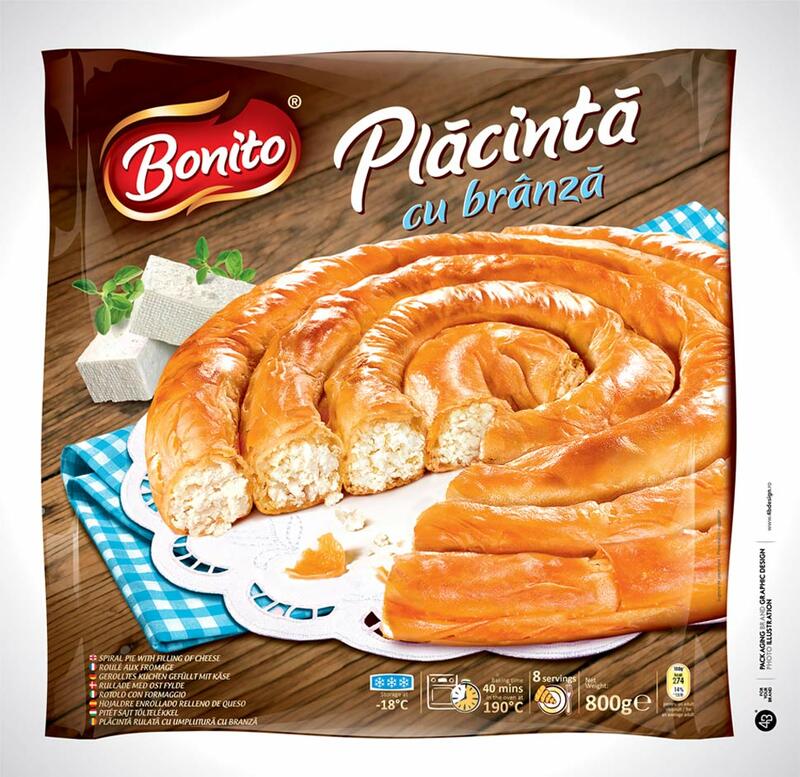 United Brands of Balkans srl are specialized and have a very good range for Horeca as well for Retail (with a gourmet quality and very competitive price ) of products like minitarts shells ,croustades, choux& mini eclaires , savarines ,baba , vole au vent , colored savoury flan base , pastry rolls ready to be filled with savoury or sweet contents and a line of frozen products like bavarian brezel , brasovian brezel ,frozen tarts in aluminium tray with different dimensions and shapes. 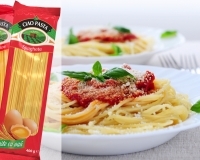 Our products can be found in almost all modern trade chains as well in distribution portofolio of traditional distributors ,under our brand CAESAR or under private label. 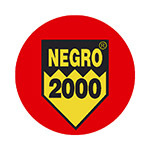 Our main target is to offer to our clients improved products and also to satisfy the needs of our distributors as well as the needs of our final costumers regarding quality,resonable prices ,trends ,novelties and inovation . 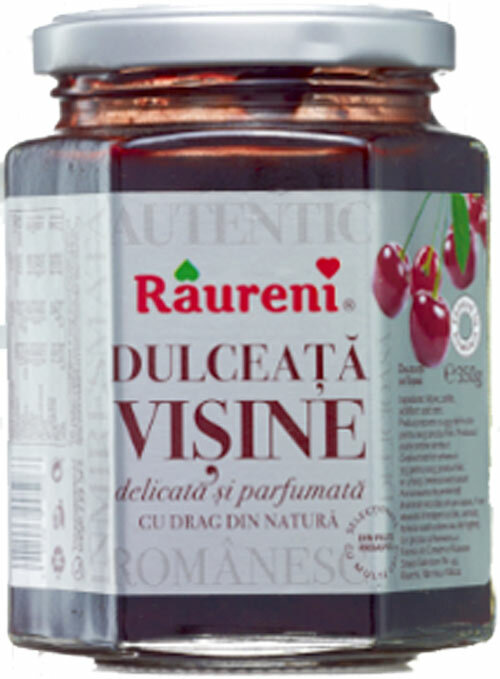 Unilact Transilvania was established in 1994, under the name of Unichim SRL. 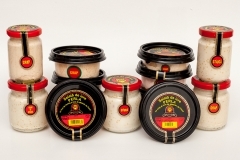 It is a privately owned company, a family business. 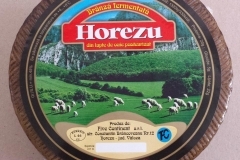 In the next years, investments followed in agriculture, zootechnics and then milk industrialization. 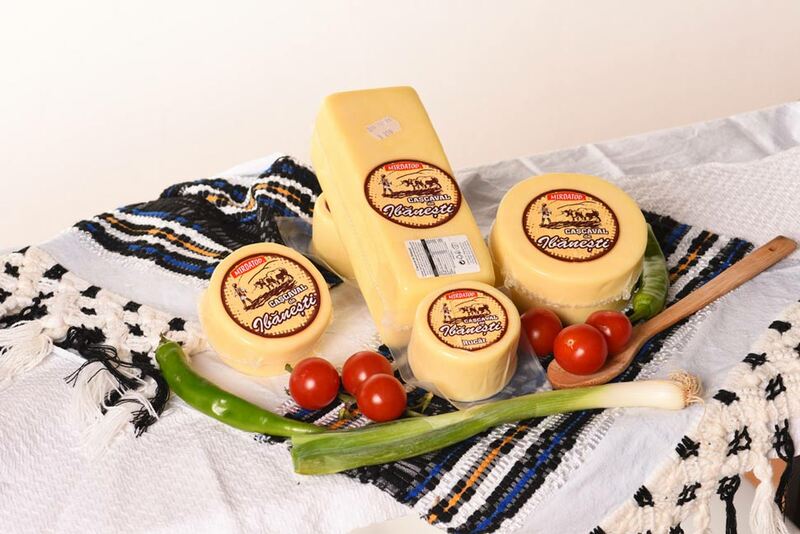 The dairy began its activity in May 2004 with about 10 employees and 3000 liters of milk processed per day. 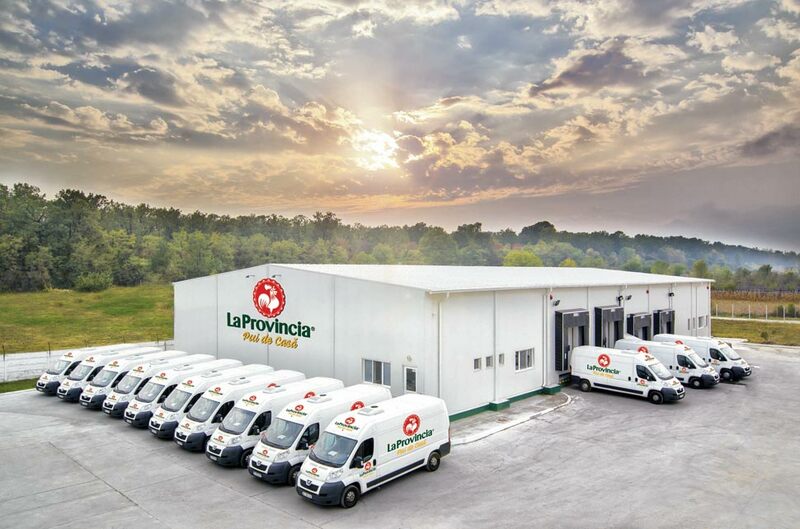 Since 2006, we have implemented a food safety management system and the answer came immediately in improving the quality of our products and the factory organizational changes. 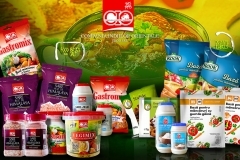 This was the means to be able to focus on quality and customer satisfaction. 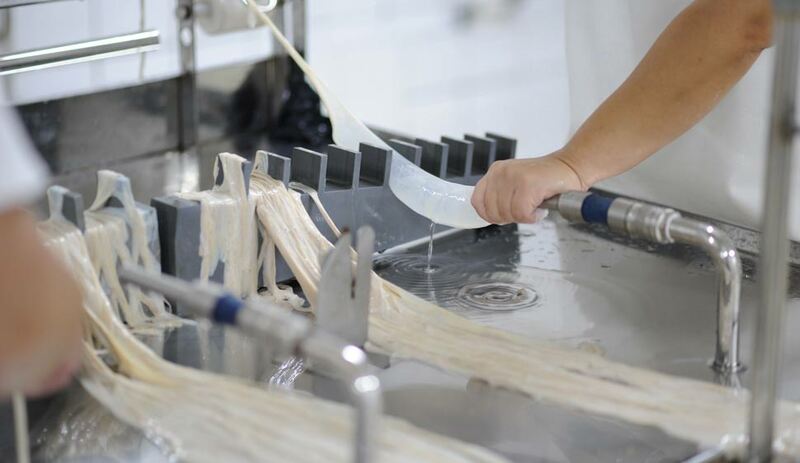 Soon, the milk processing activity has become one of the most important within the company. 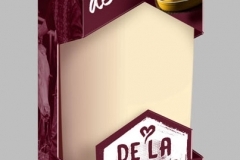 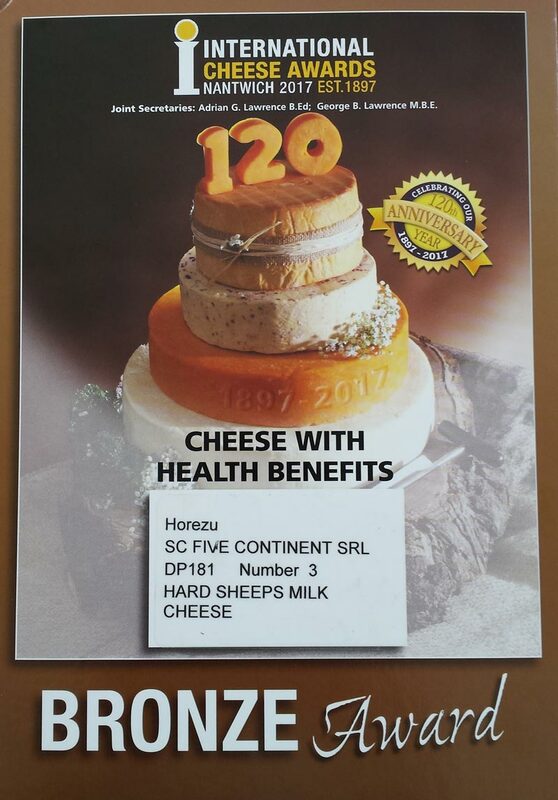 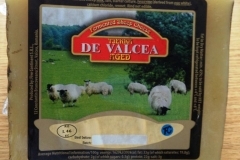 In 2008, in the dairy, there were being processed about 10000 liters of milk per day, therefore improving the quality of the products, we managed to widen the range of cheeses Unilact. 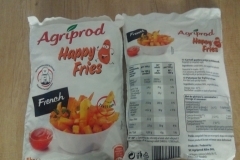 Now, we produce aprox. 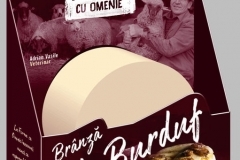 2 tons of cheese every day and we are proud to have become specialists in making Bellows cheese (Branza de burduf). 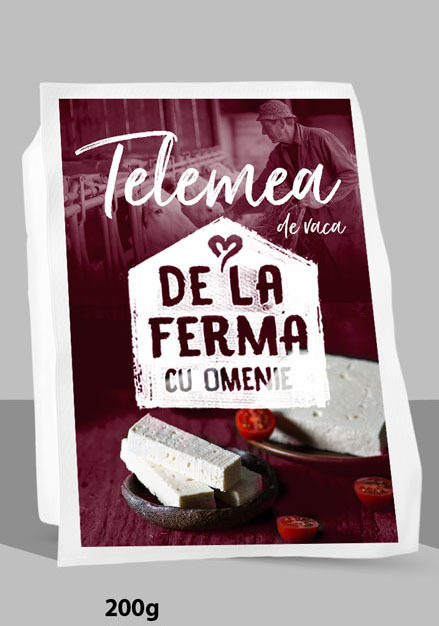 Thus, Unilact Transilvania has four activities defined and managed separately: the dairy, growing animals (cows and sheep), vegetable farming and commerce, distribution. 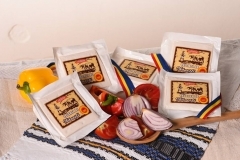 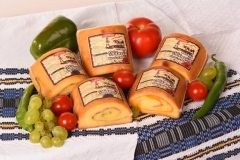 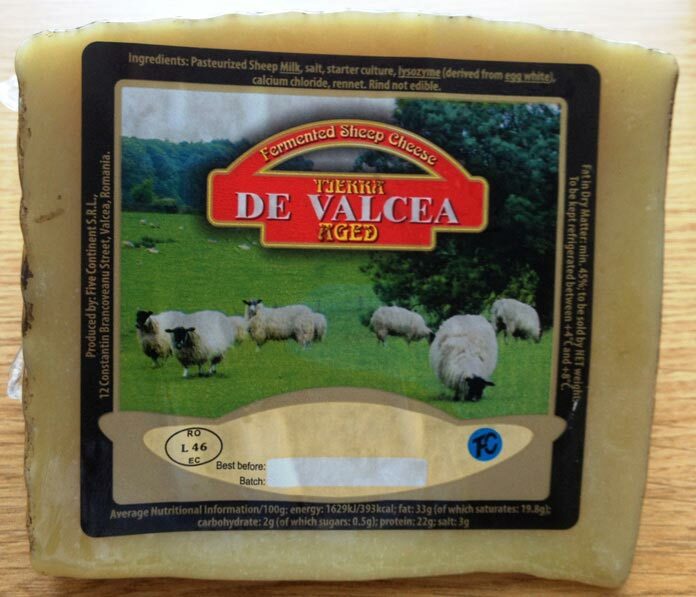 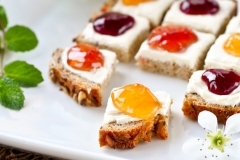 We produce various types of cheese: Bellows Cheese, White Cheese in Brine and Cottage Cheese. 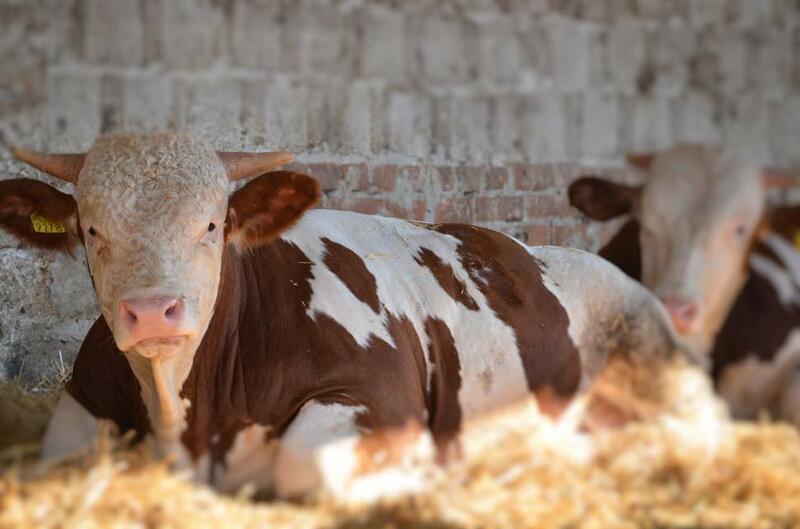 Unilact Transilvania manages two farms consisted of cows and sheep – ~380 cows and ~1000 sheep. 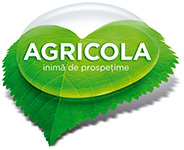 Another field of activity is agriculture – we work ~1000ha of land – part of the land is owned and another part is leased. 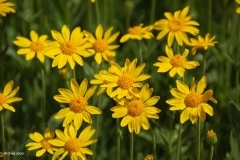 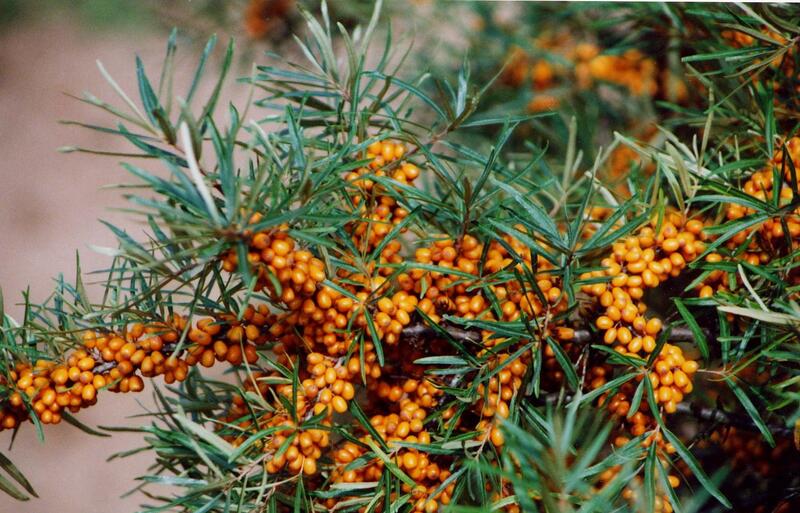 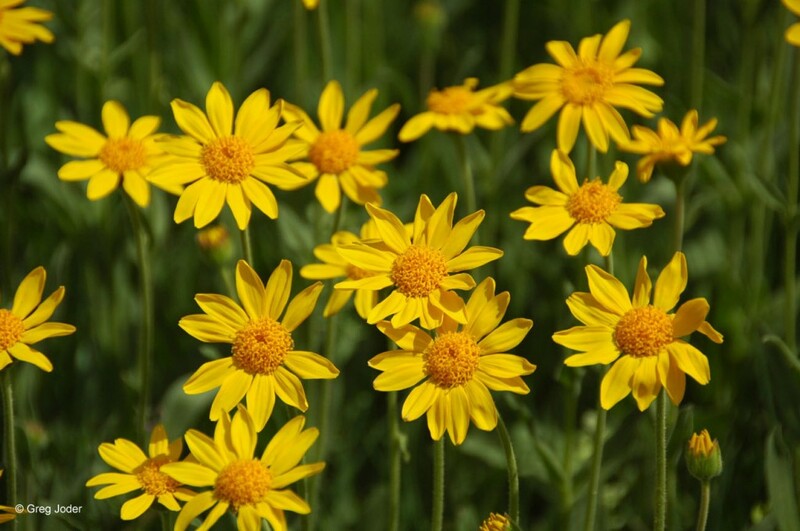 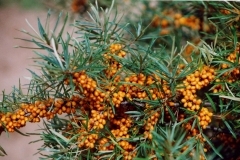 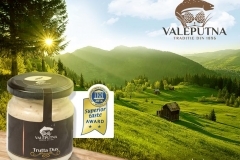 Vladalex Impex company was founded with the purpose of contributing to the enhancement and promotion of the ecological potential of Romania. 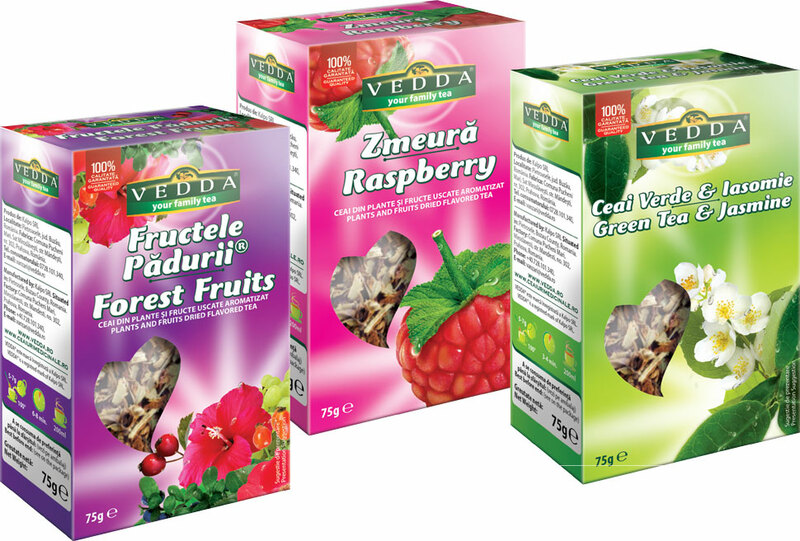 Vladalex is a company with a tradition of 15 years in the food sector, starting its activity in the Organic products market in 2010. 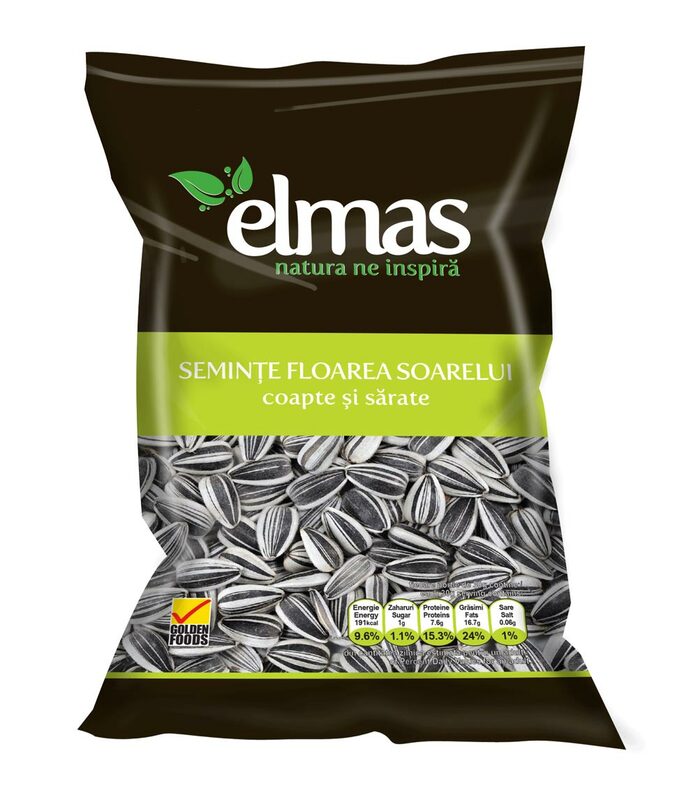 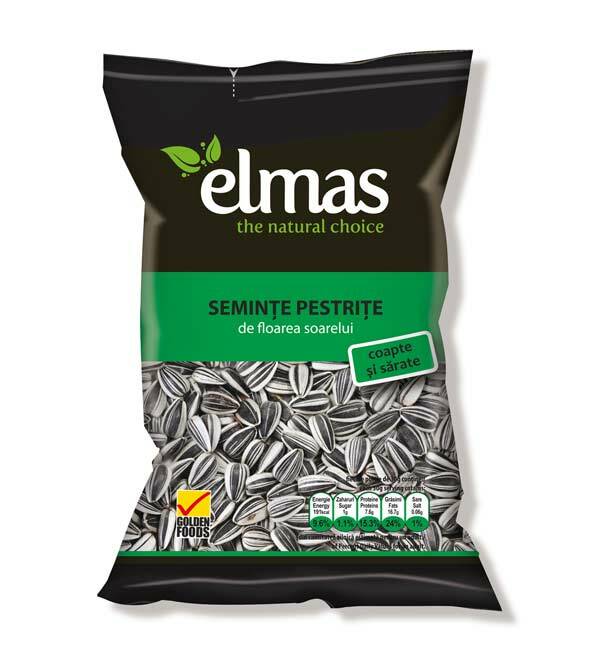 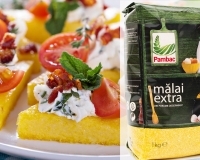 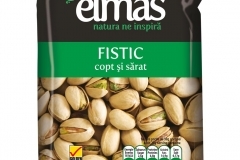 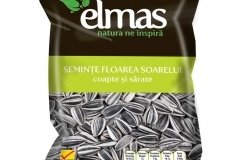 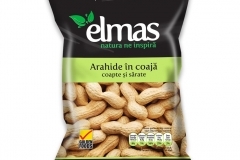 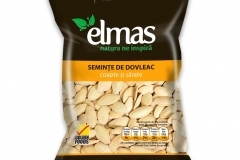 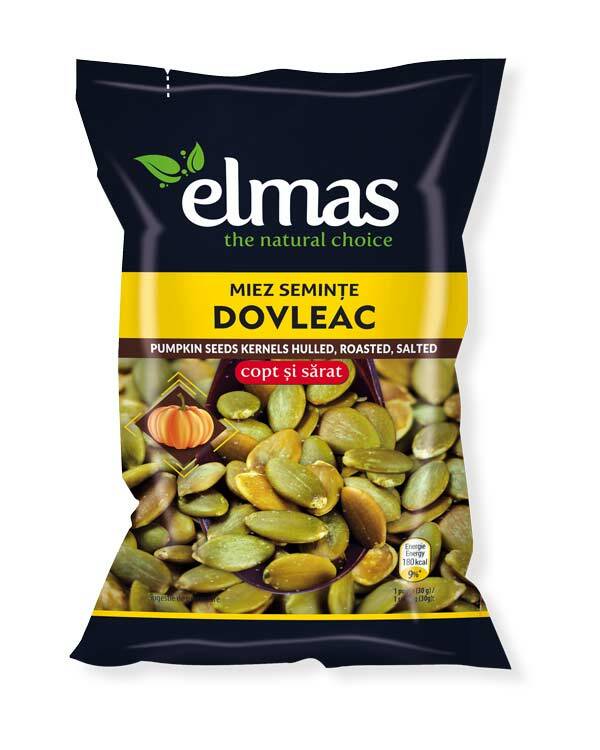 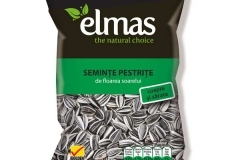 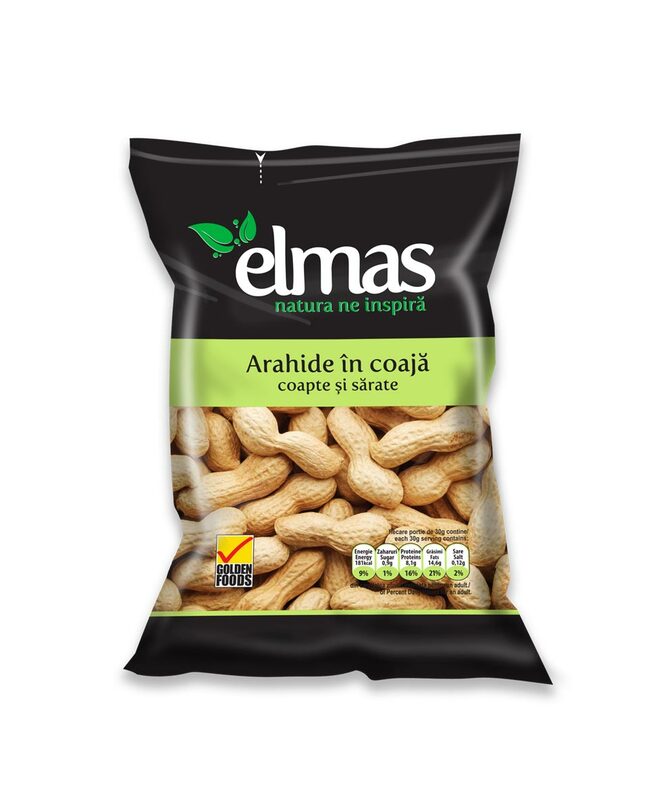 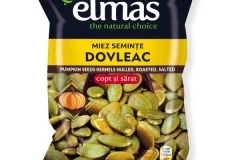 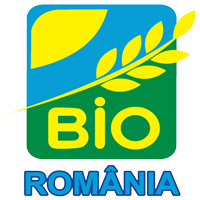 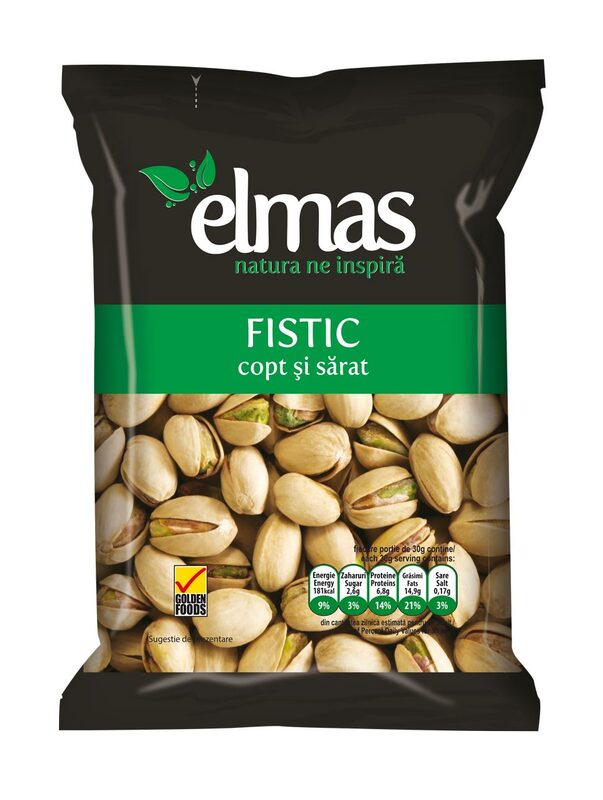 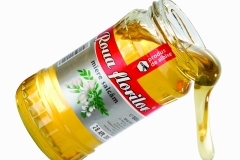 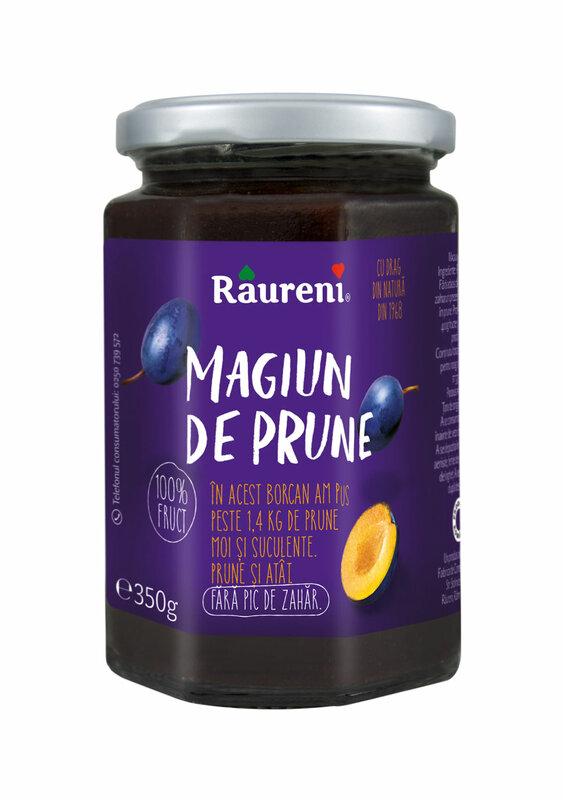 The targeted objective of this firm is to develop, to improve the Organic products, obtained from various certified manufacturers and processors from Romania. 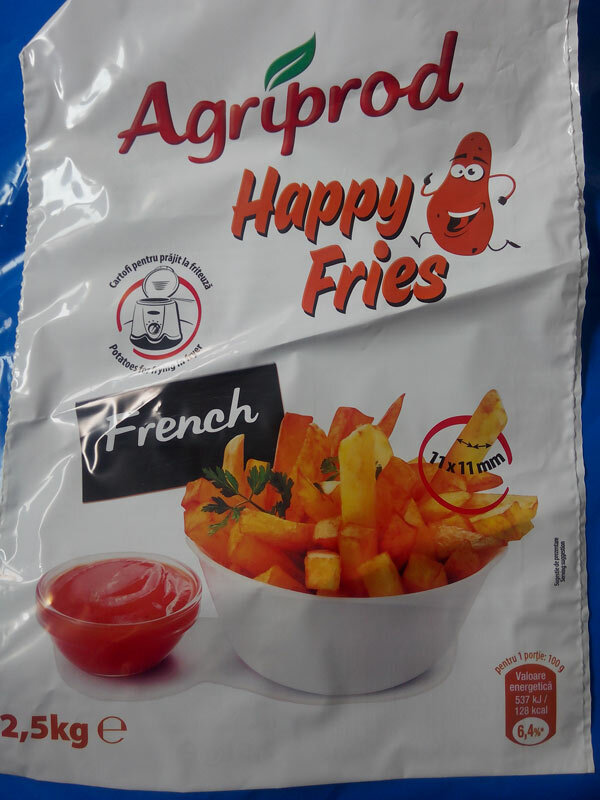 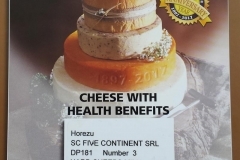 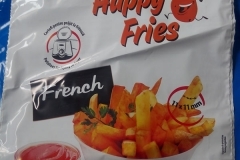 The products offered for sale come from organic areas, being certified in accordance with the following regulations: EC 834/2007 for the EU market, USDA-NOP norms for USA and Bio-Suisse standards for products with the destination of Switzerland. 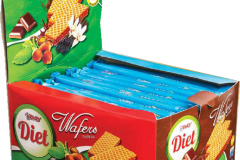 Certification of products is ensured by the inspection and certification body – CERES GmbH. 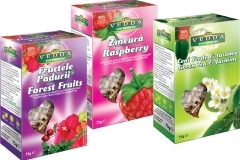 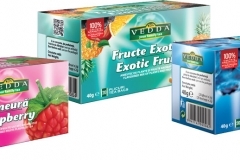 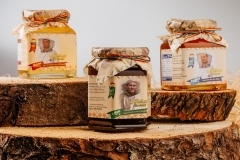 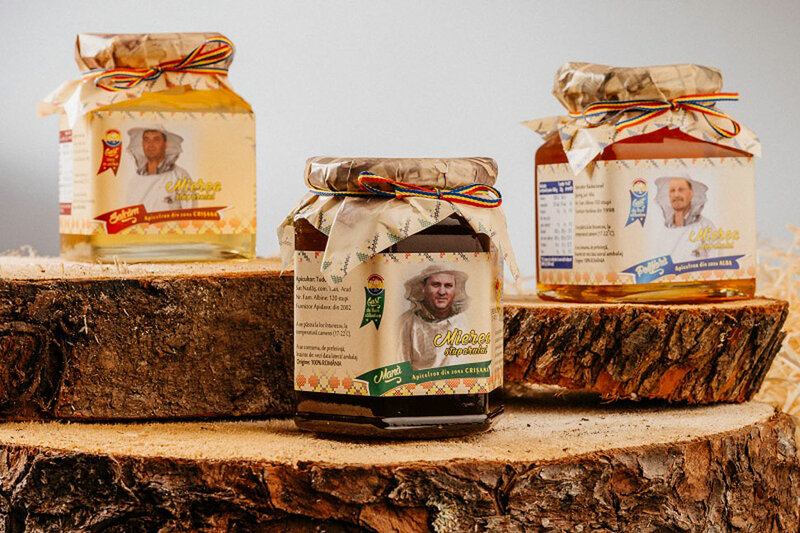 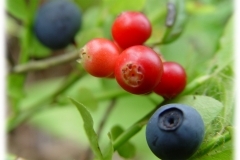 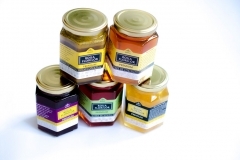 Vladalex range of organic products consists of: dried or frozen forest fruits (berries), herbs and medicinal plants, different types of honey and apiary products, fresh fruits for the industry, mushrooms, walnuts and hazelnuts. 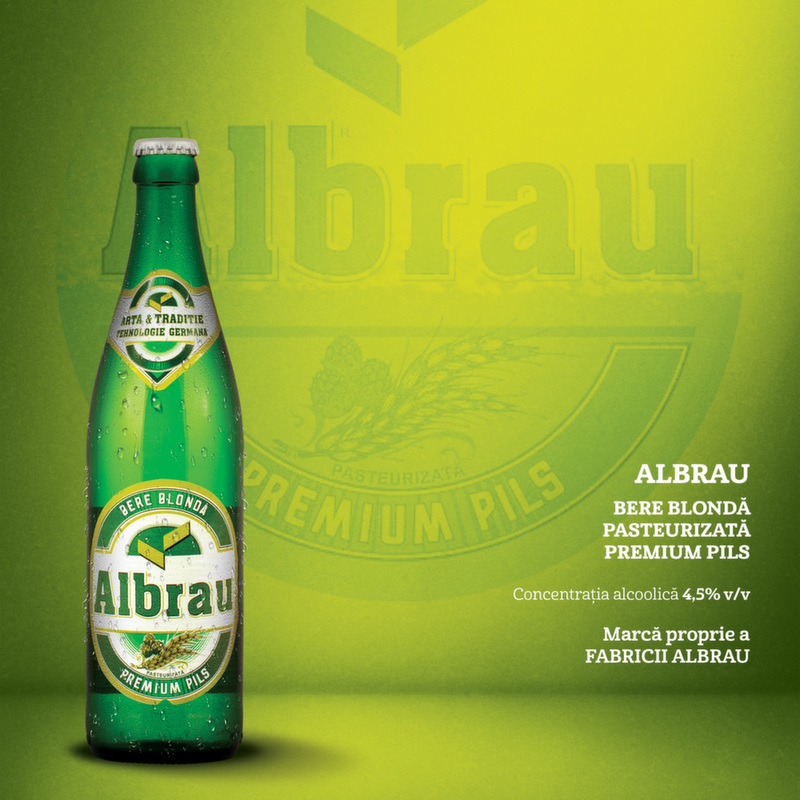 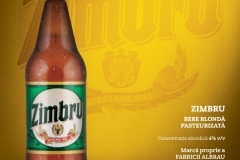 Address:TARGU MURES, str Lucernei, nr. 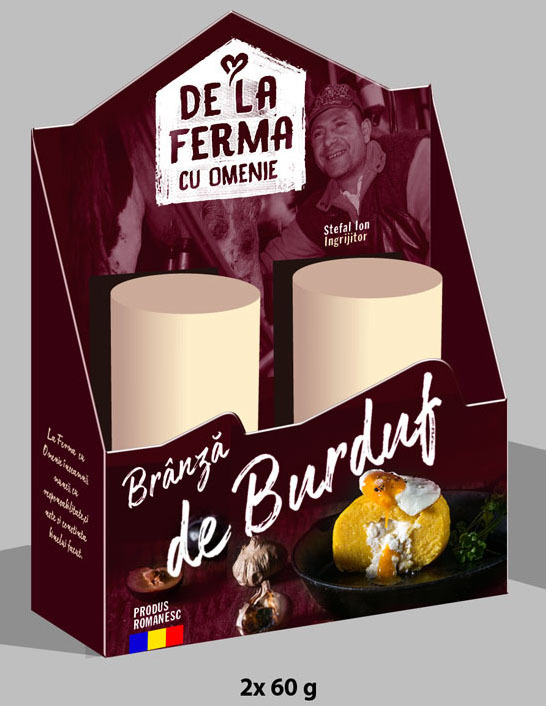 2 Judet Mures.